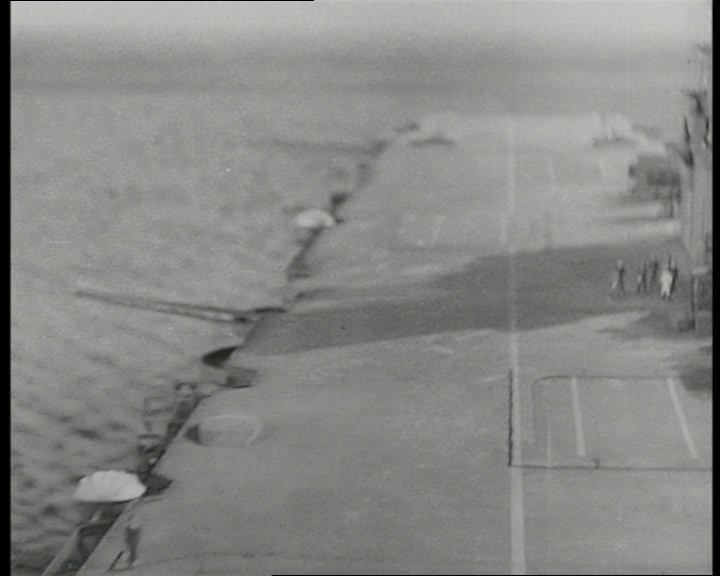 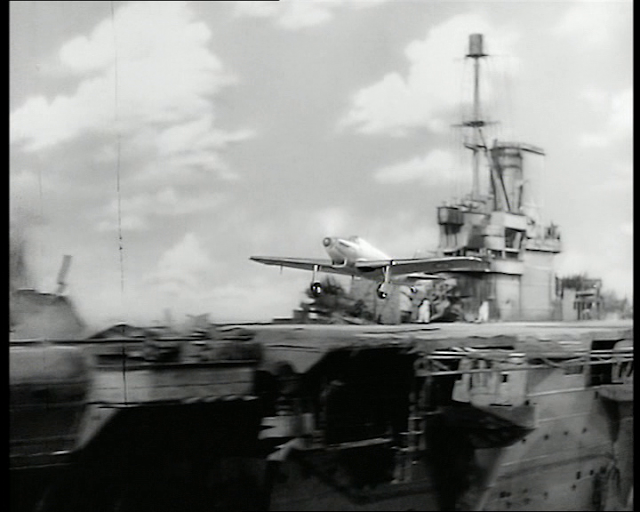 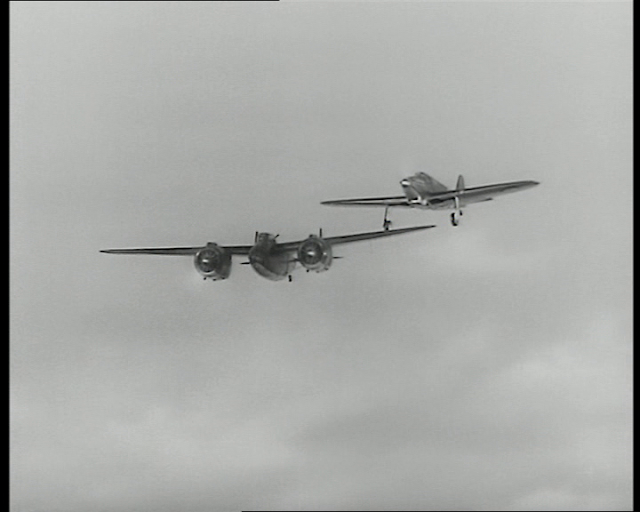 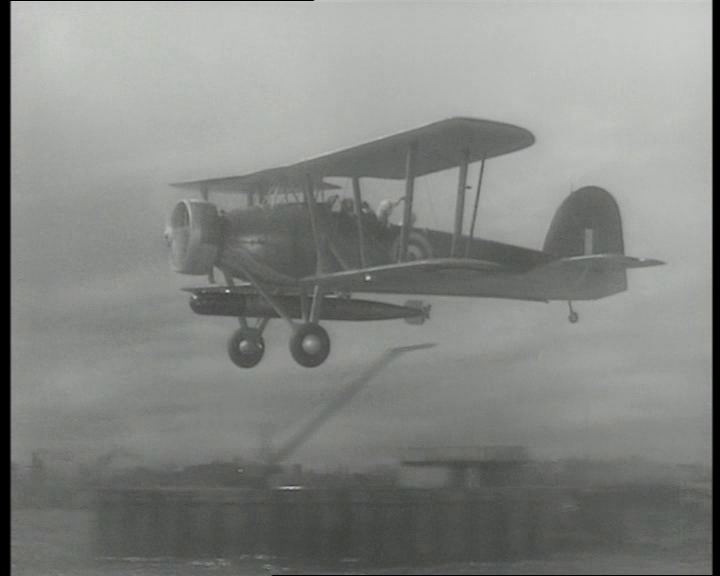 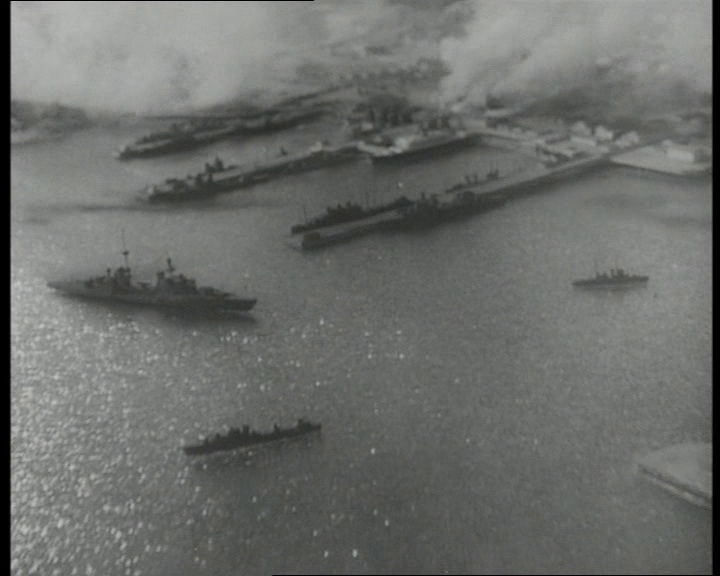 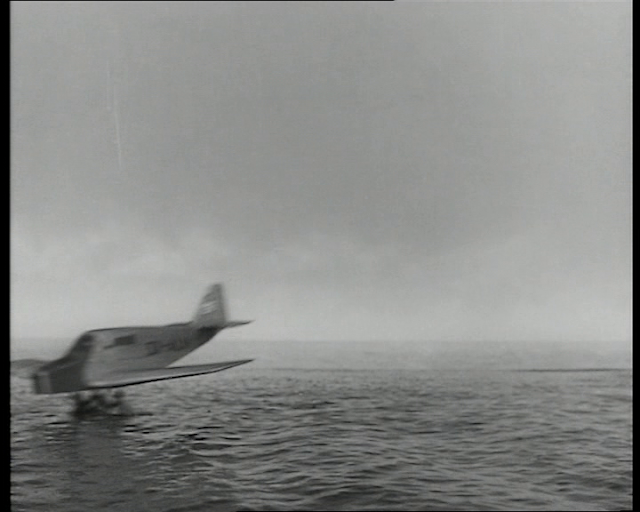 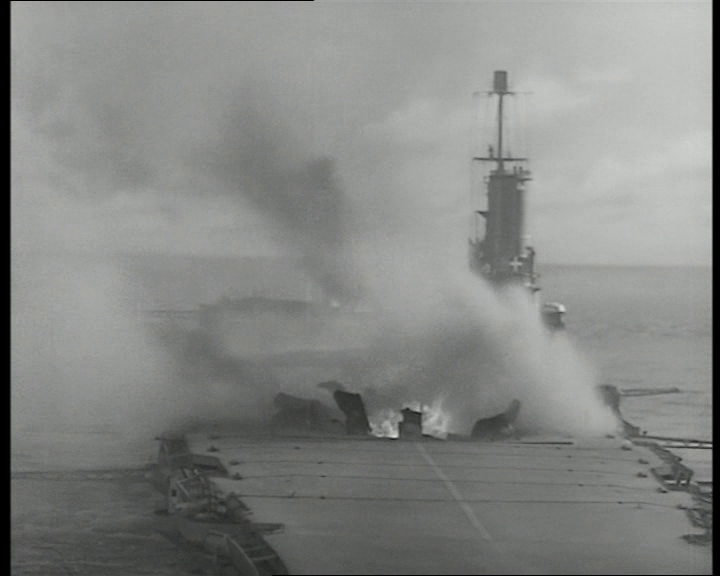 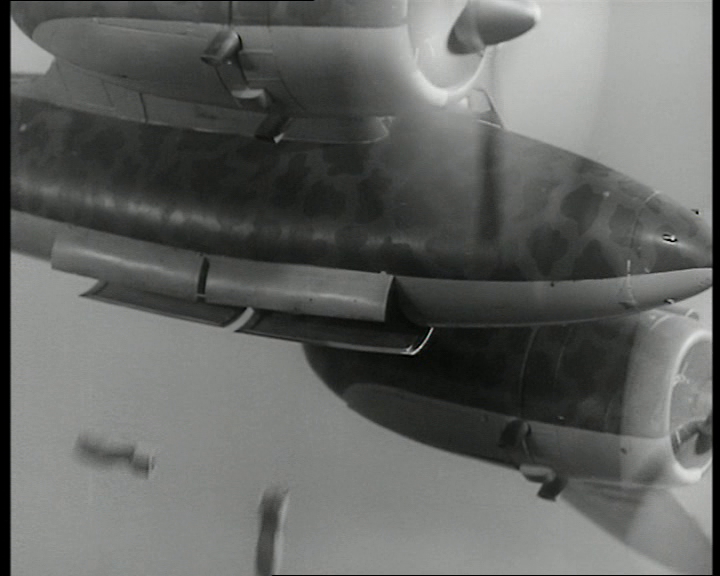 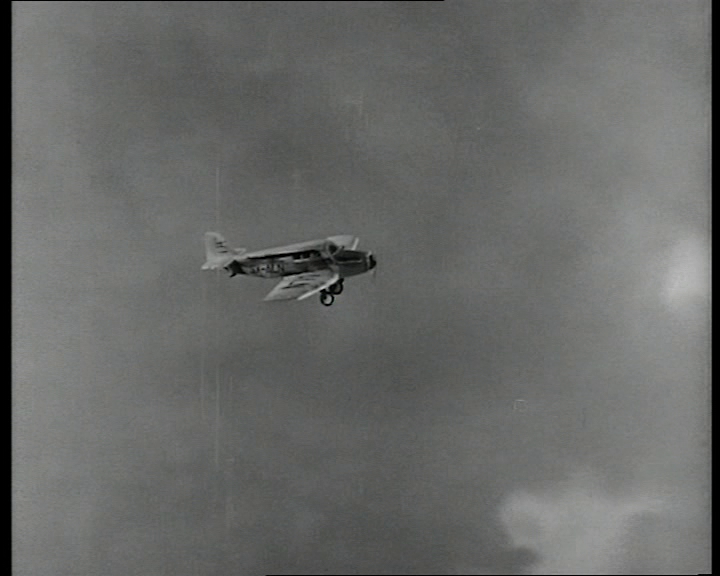 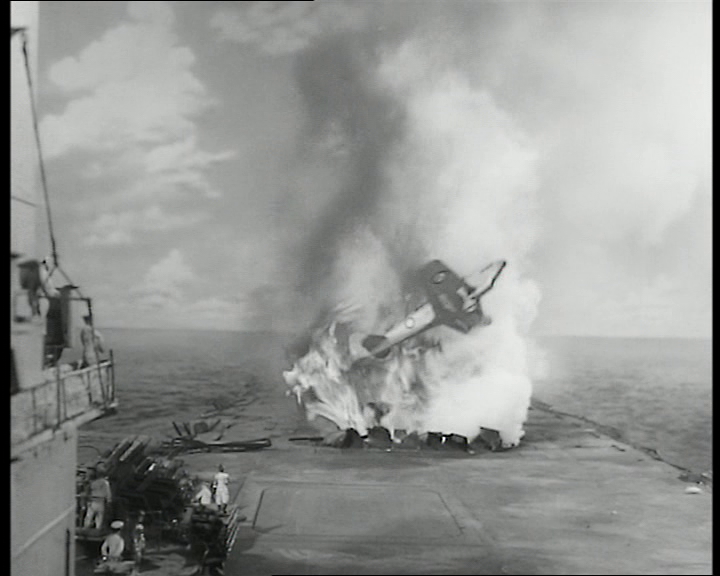 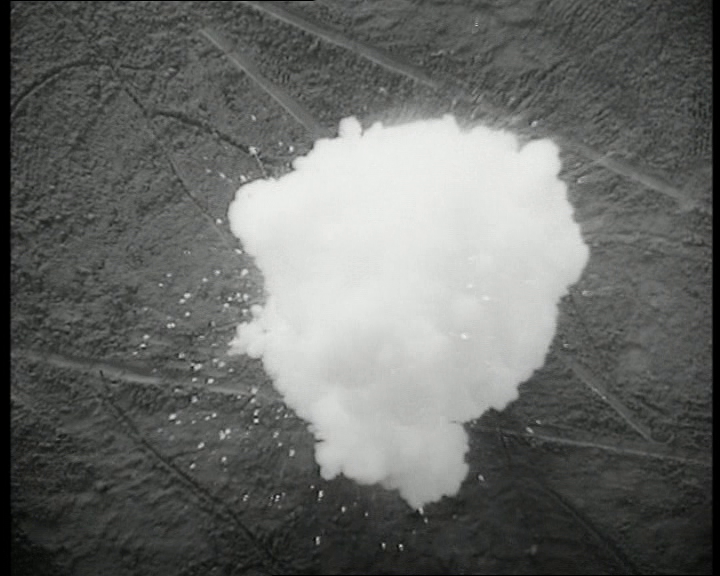 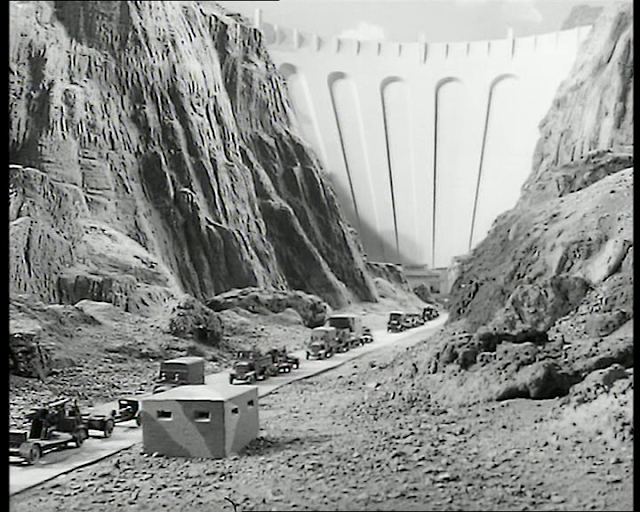 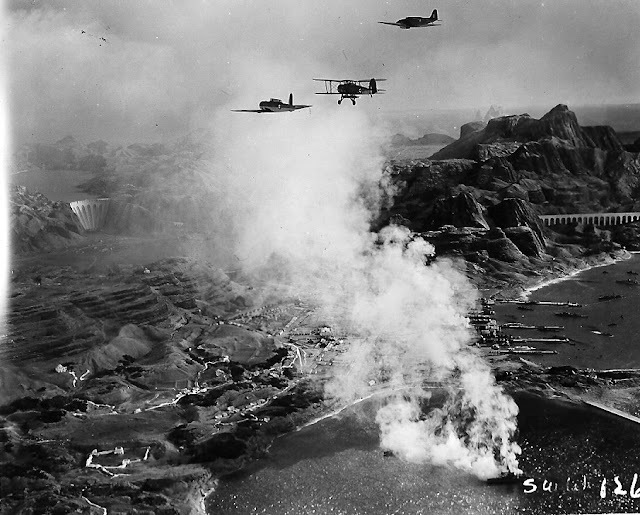 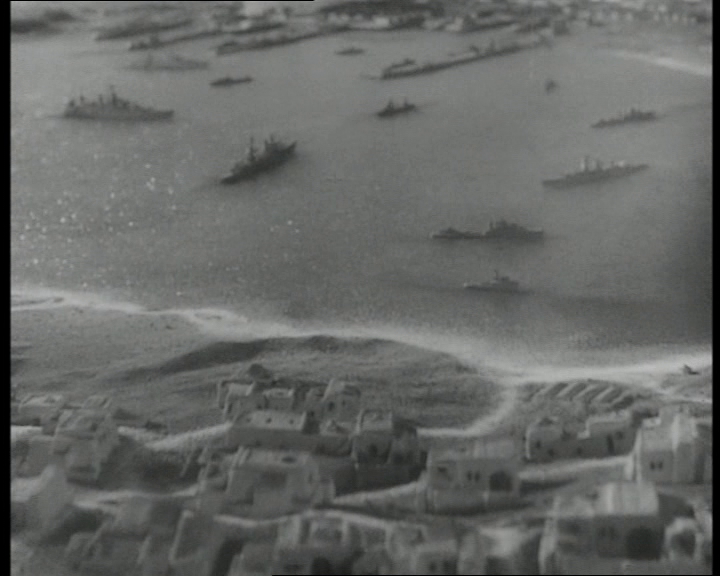 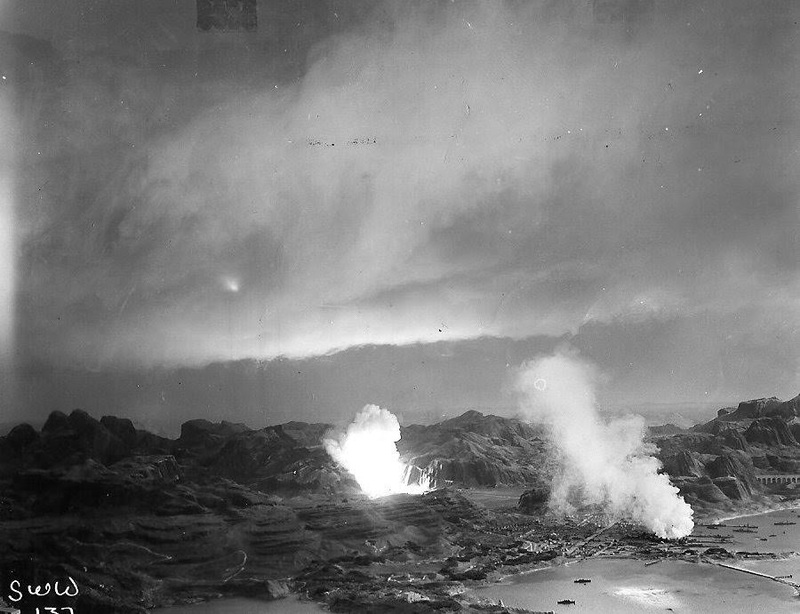 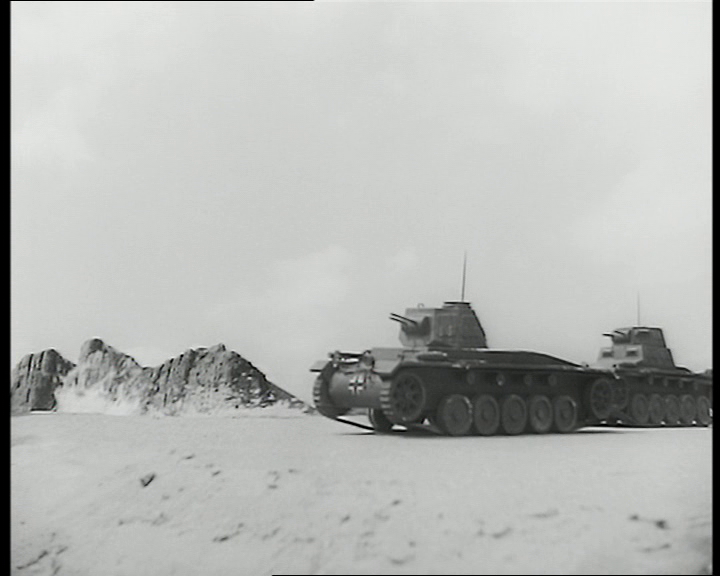 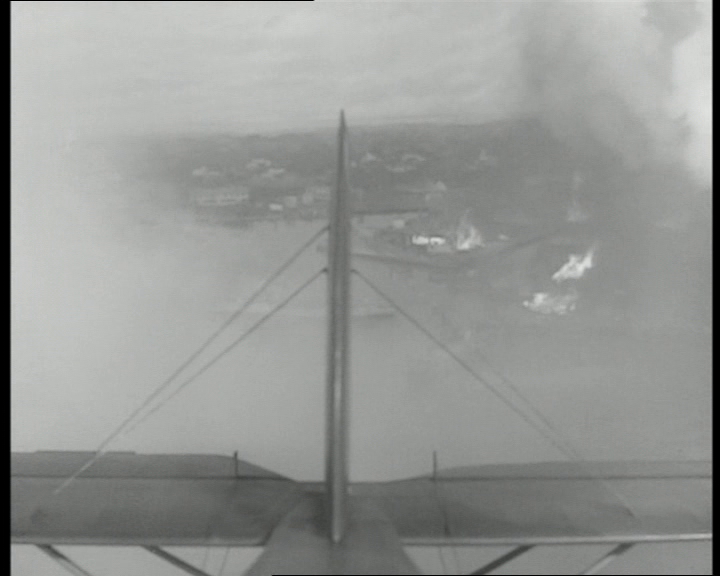 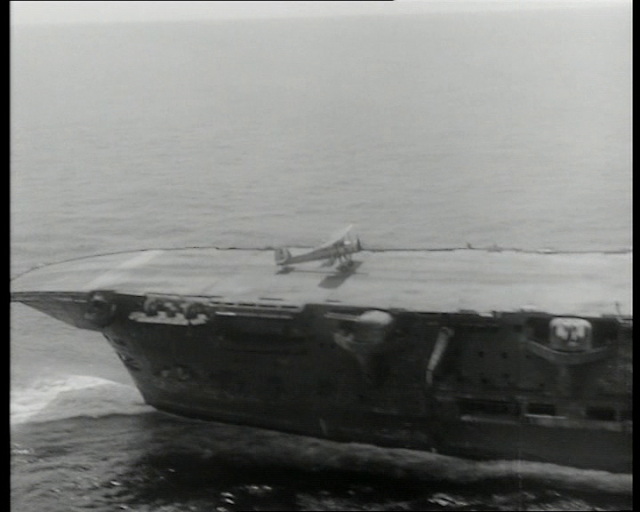 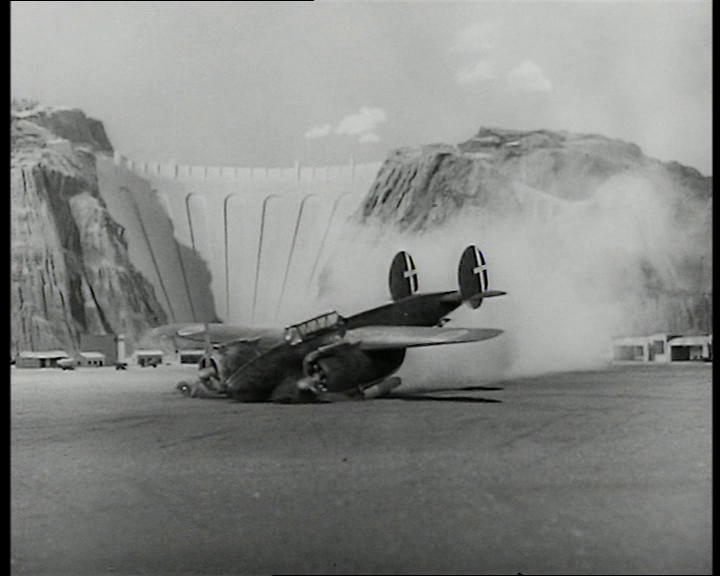 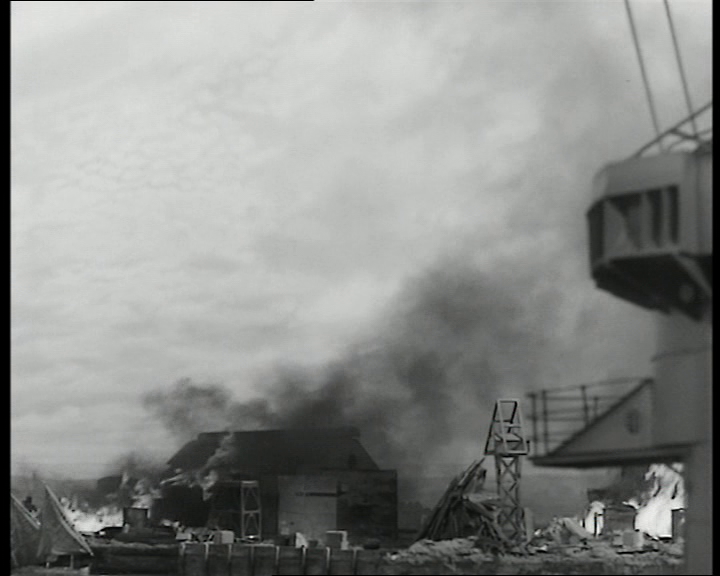 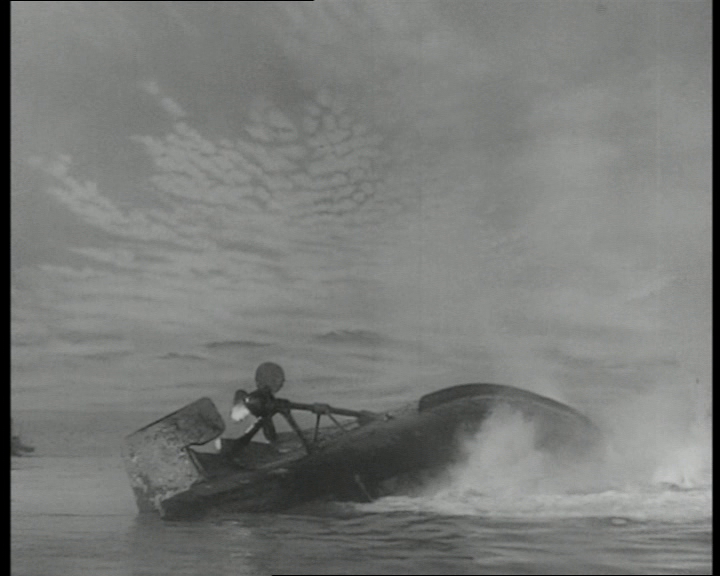 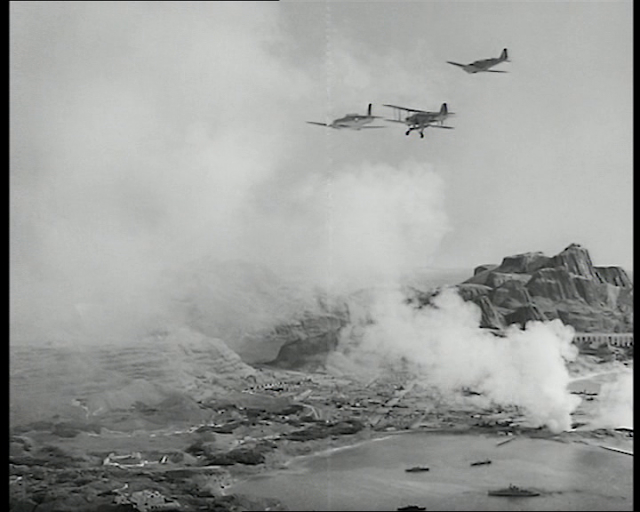 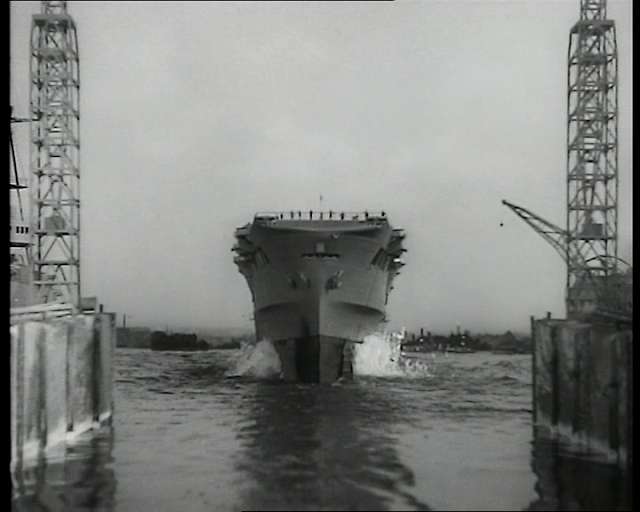 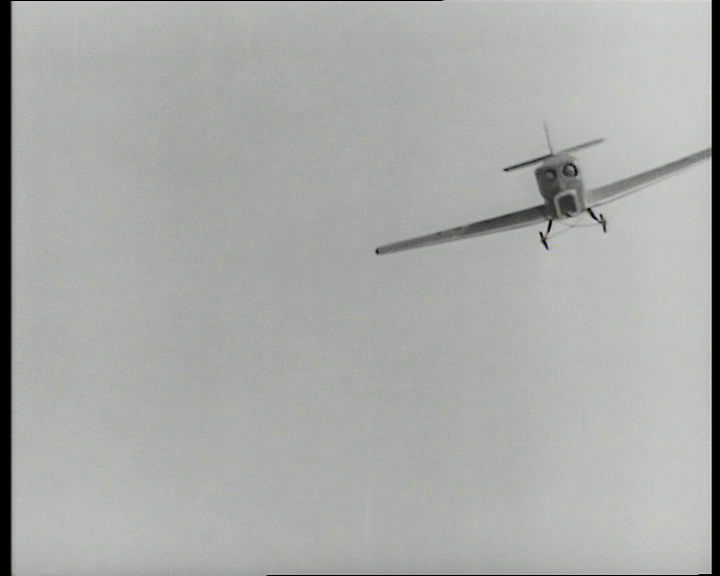 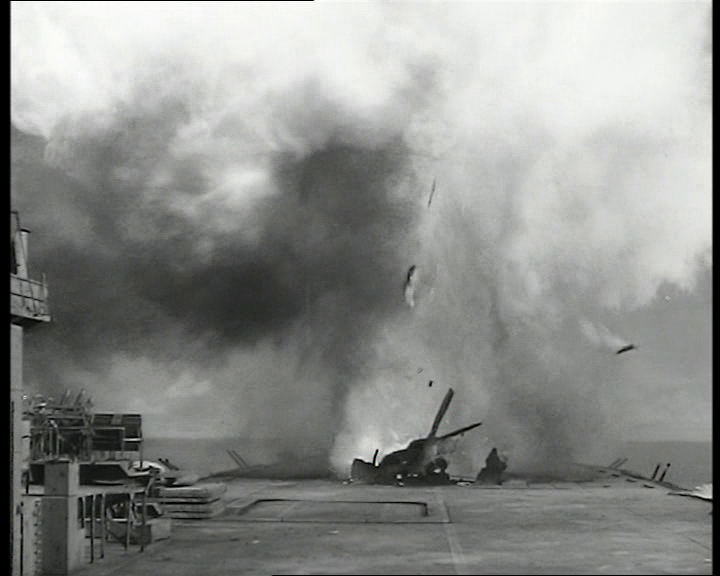 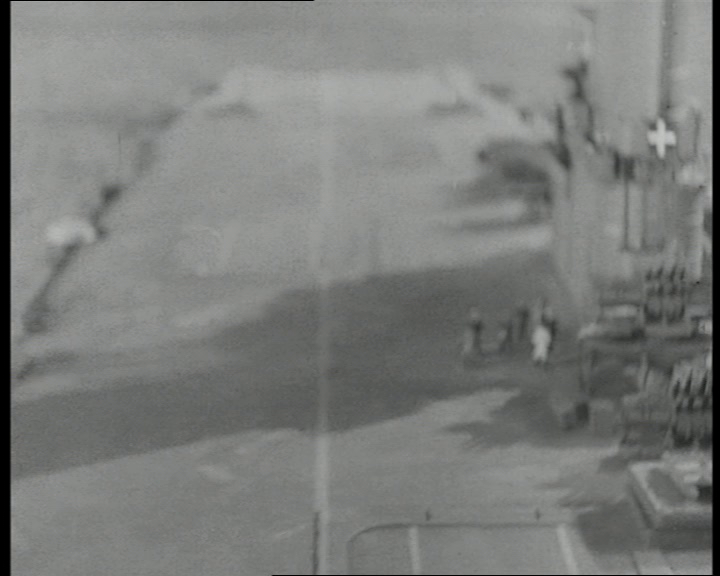 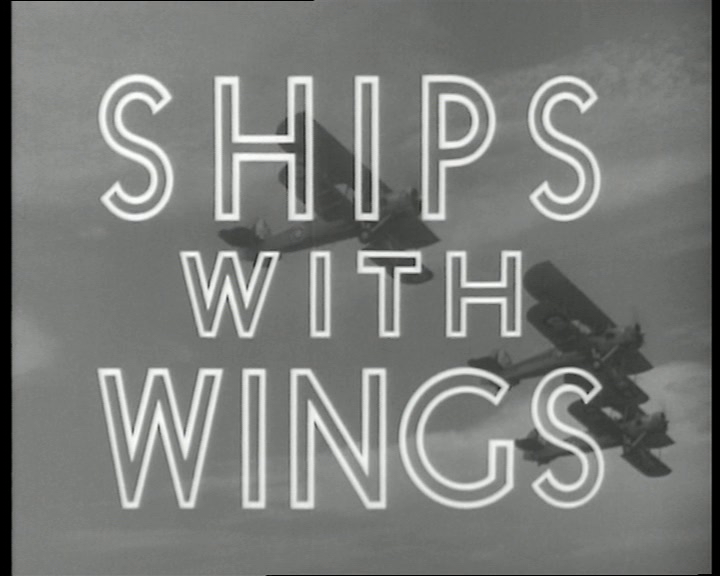 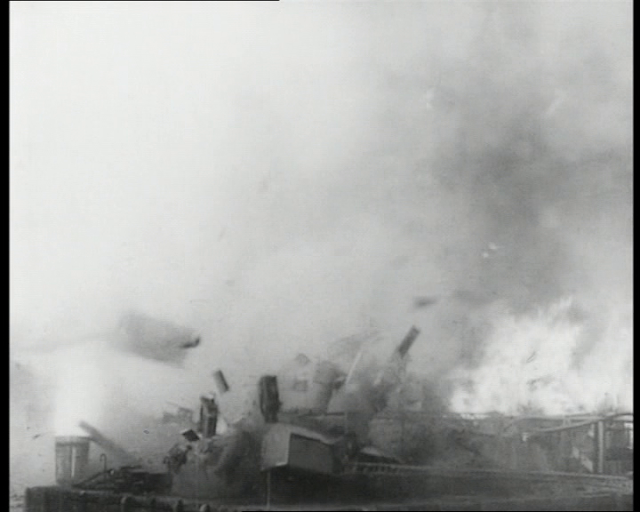 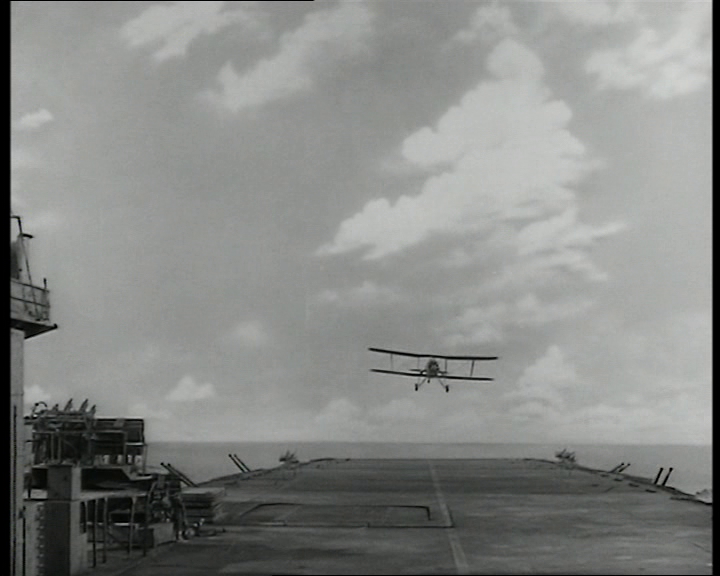 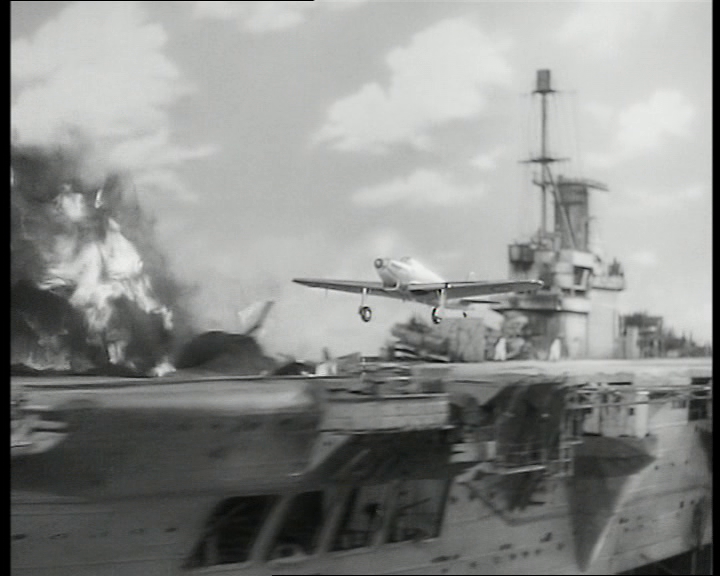 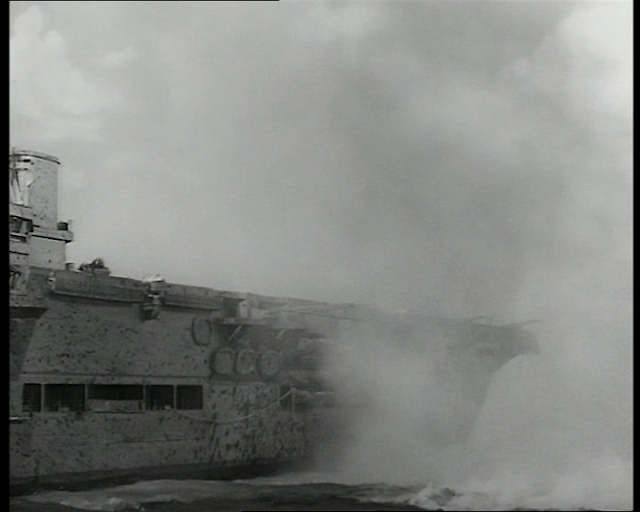 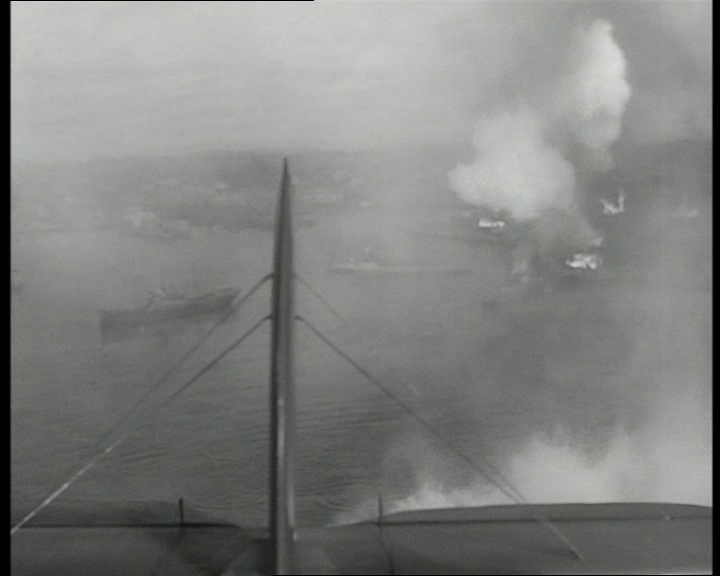 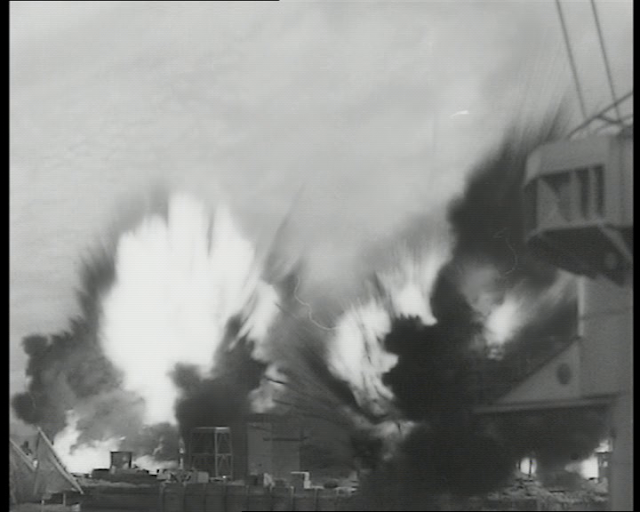 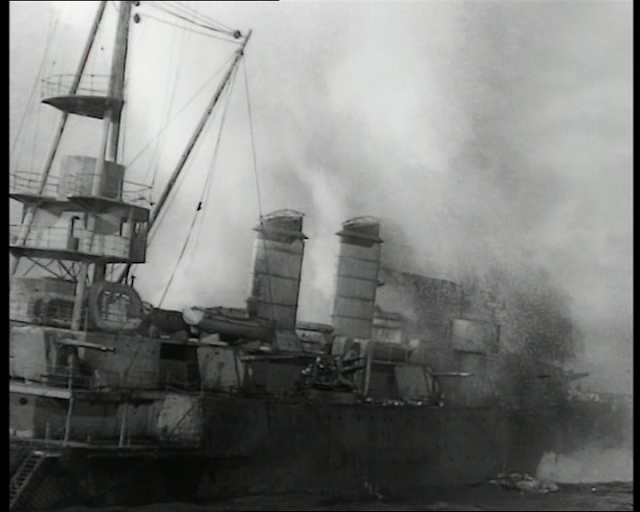 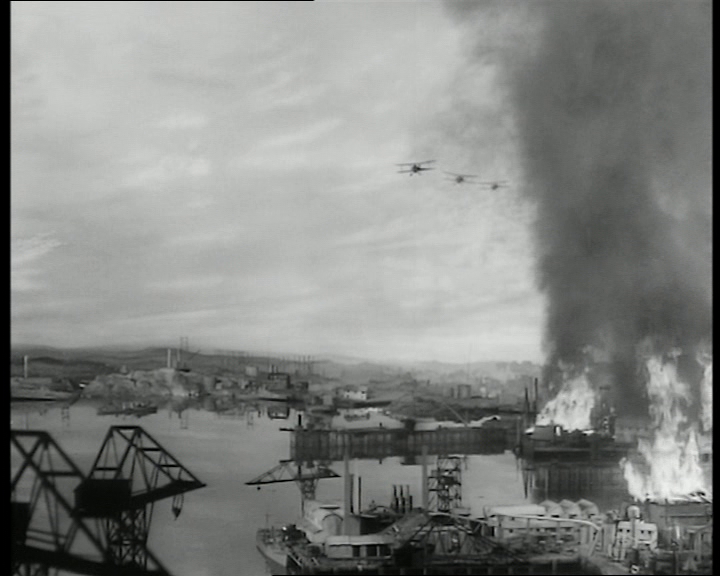 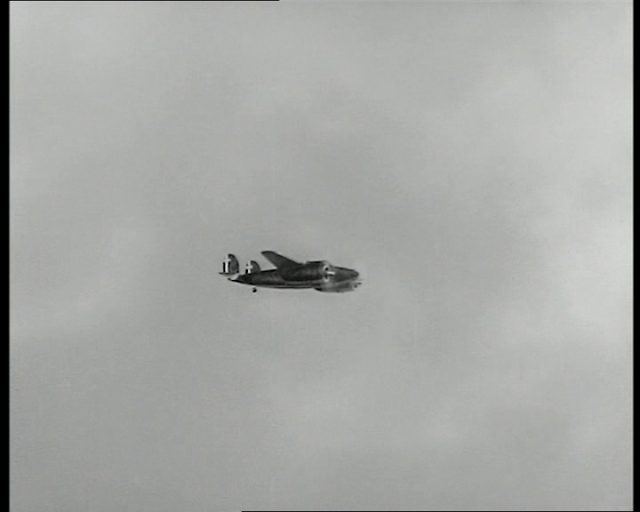 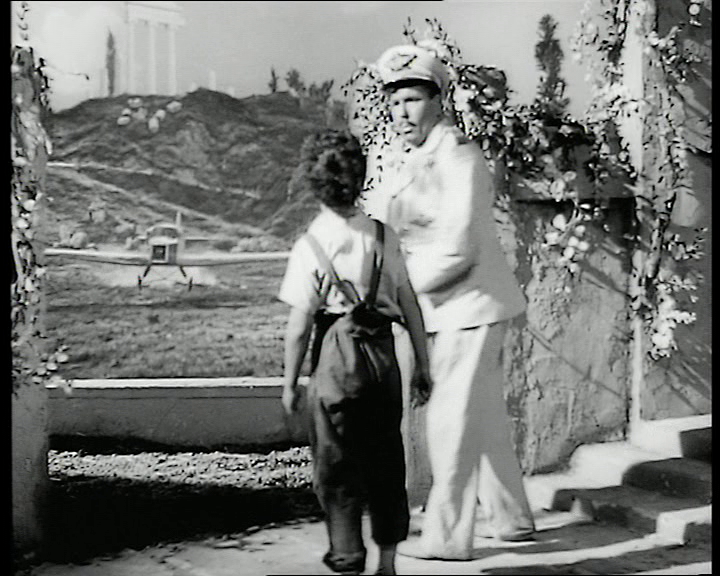 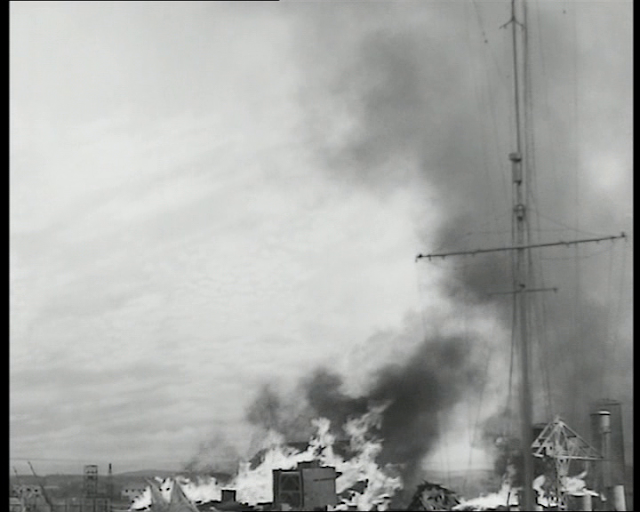 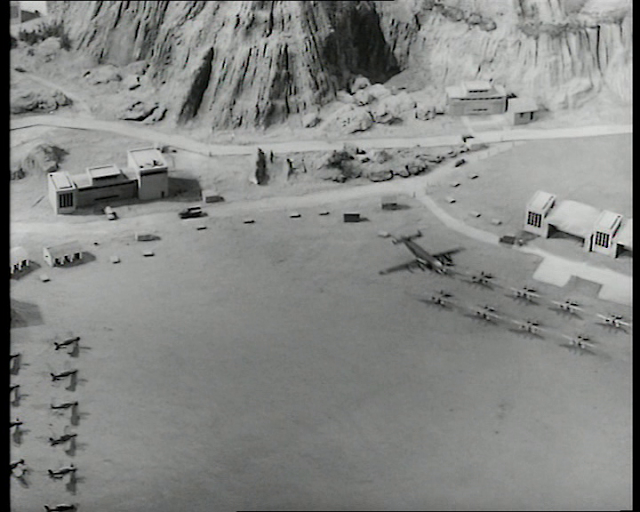 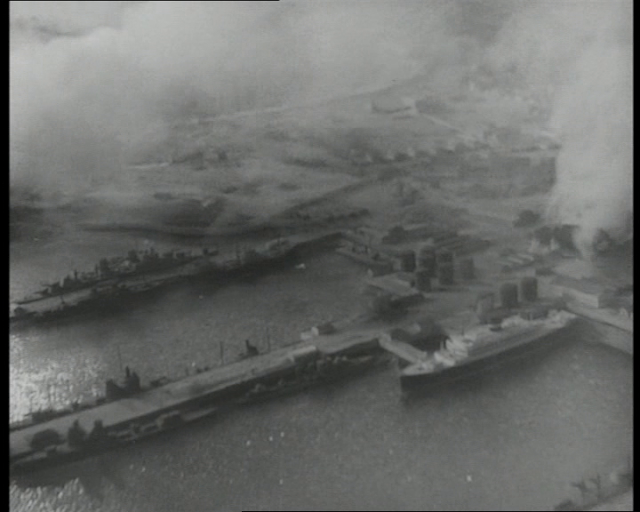 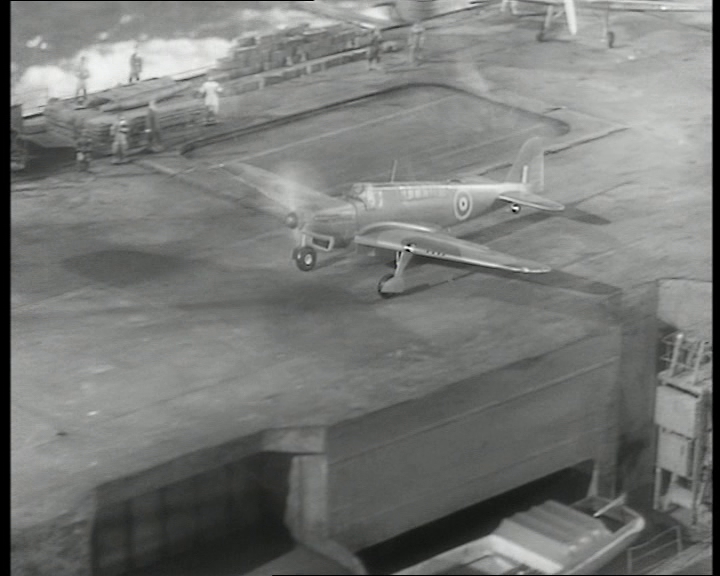 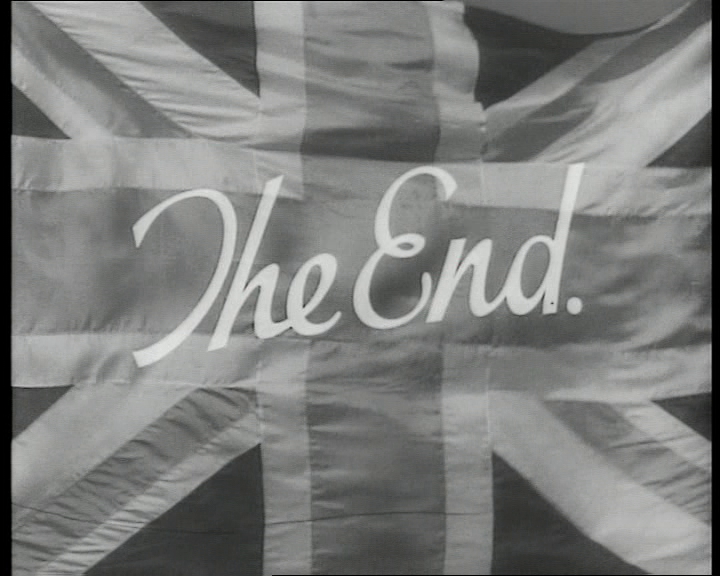 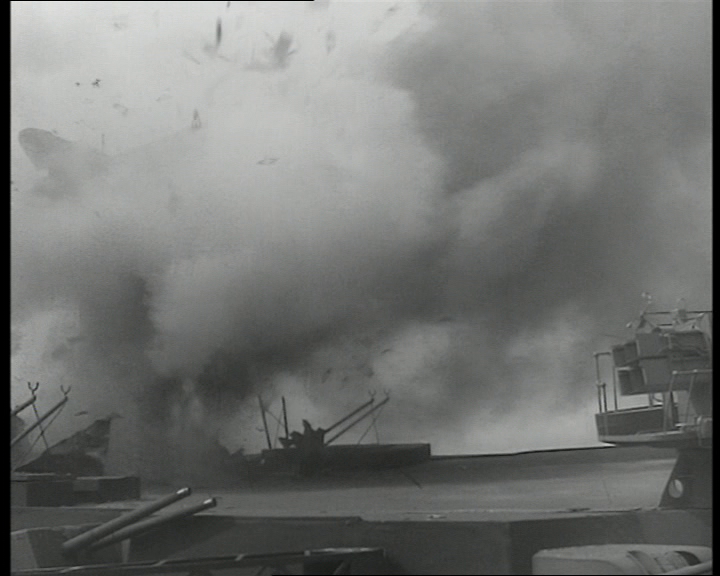 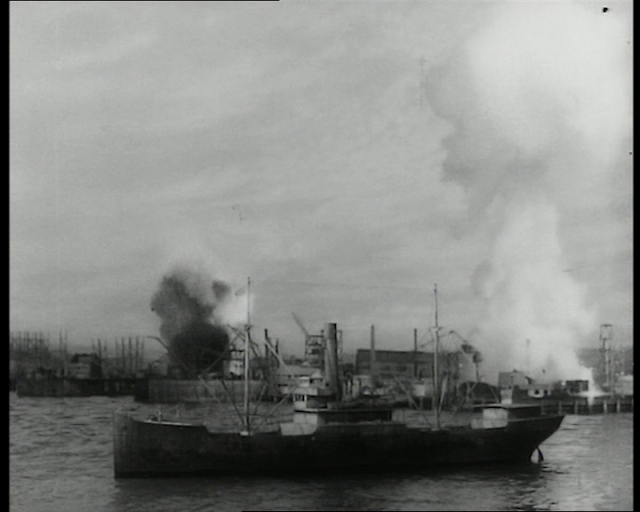 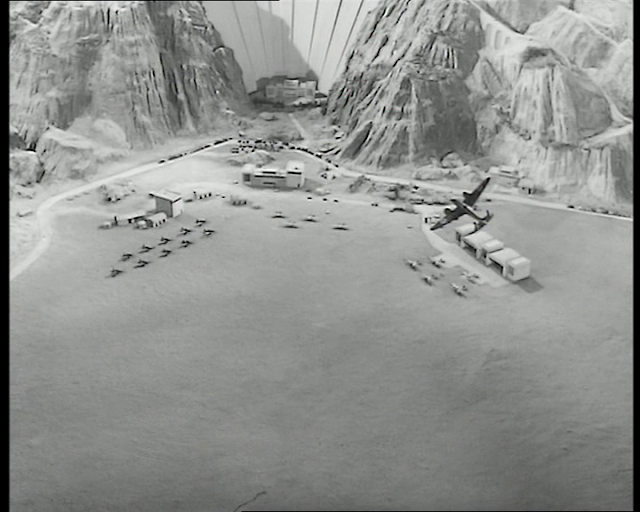 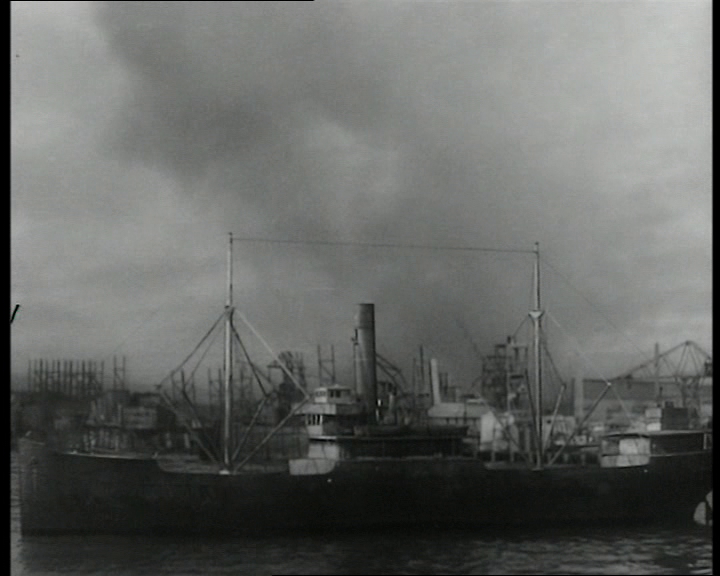 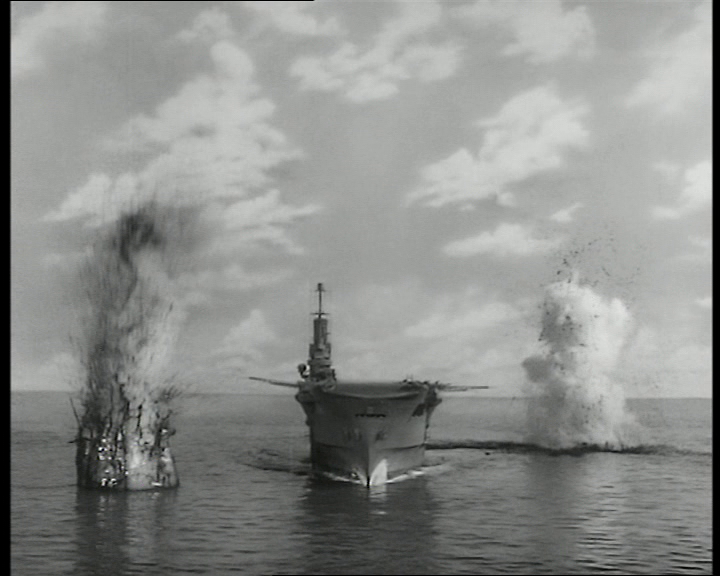 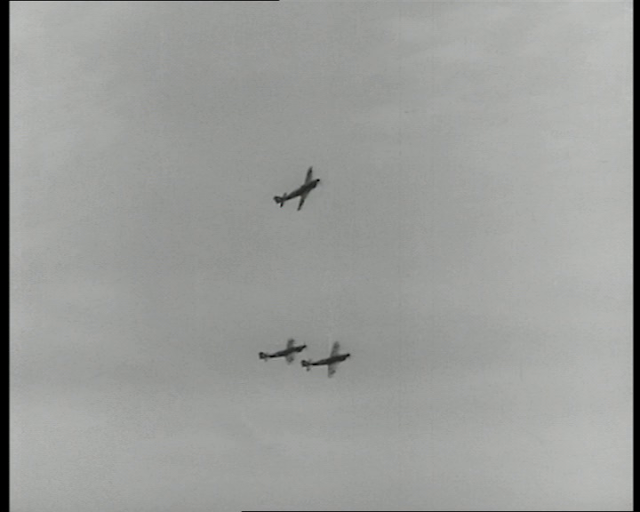 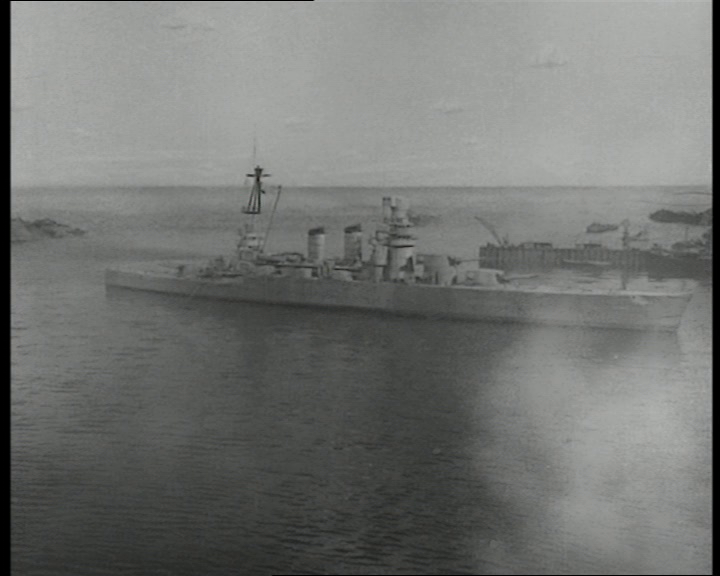 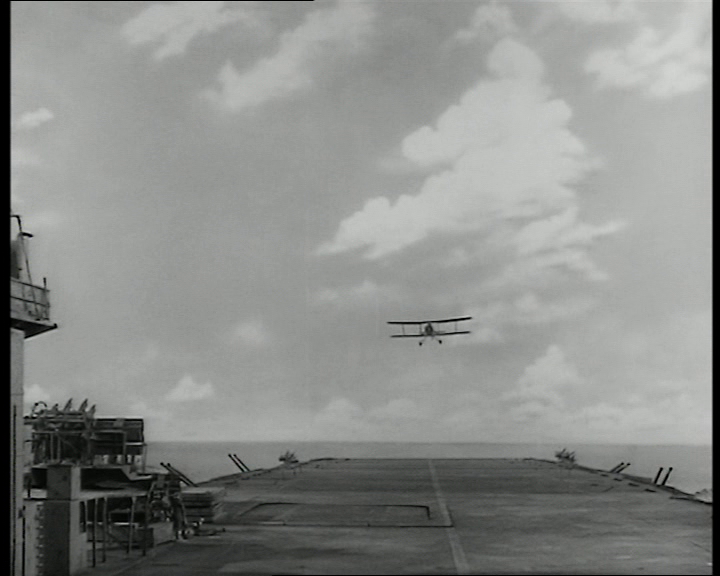 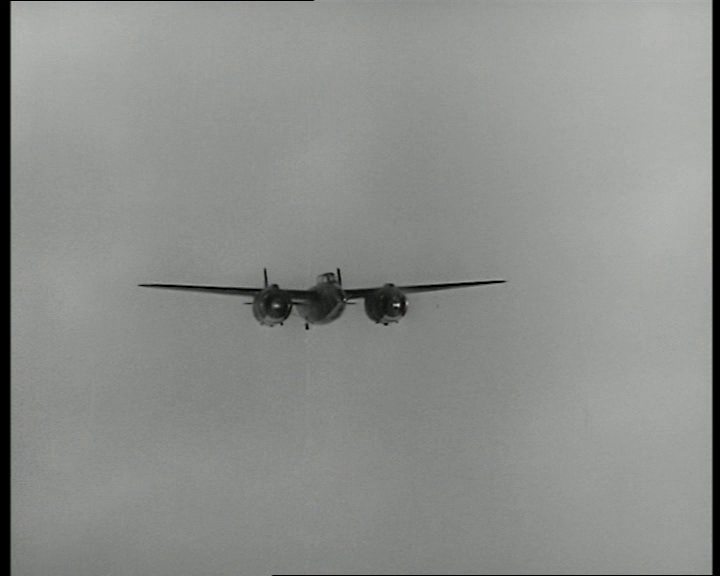 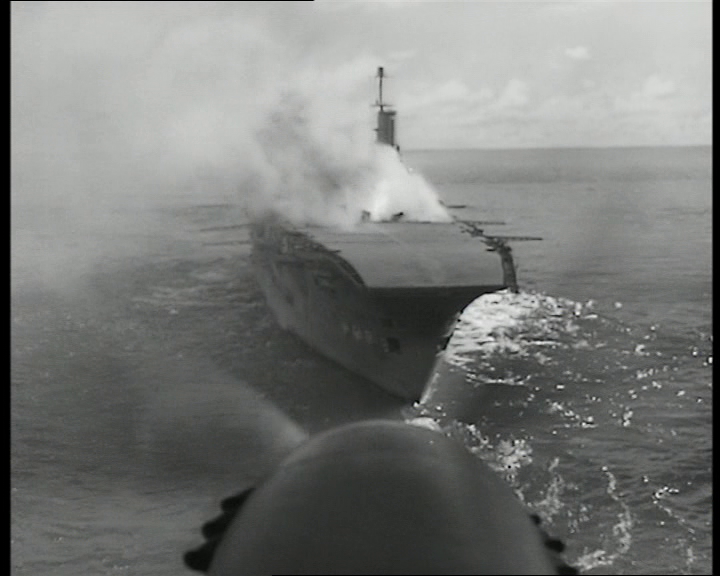 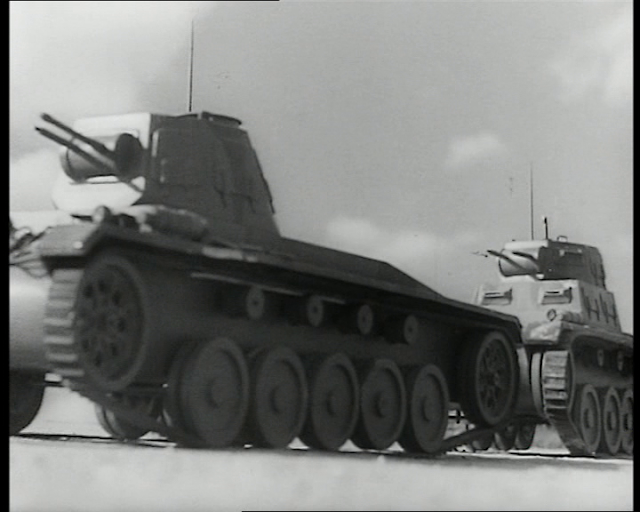 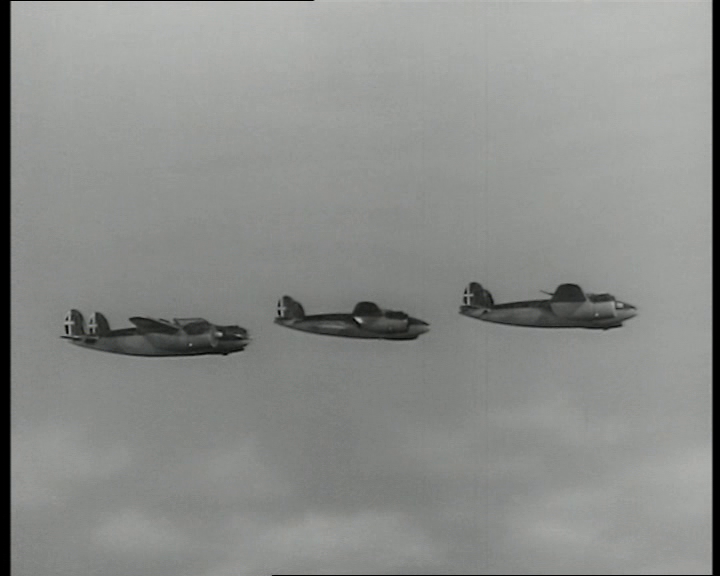 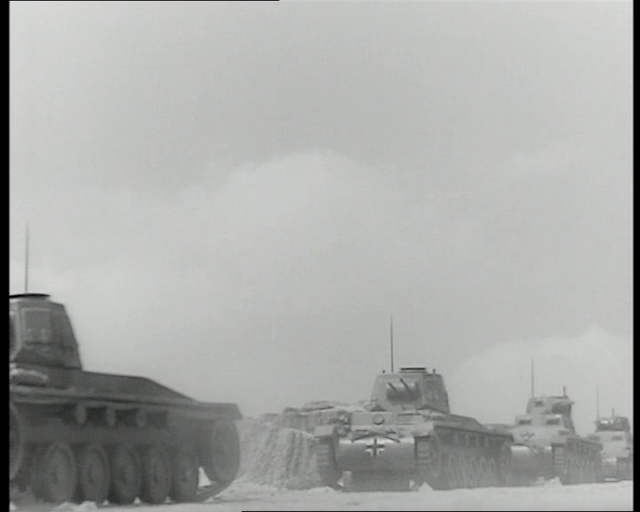 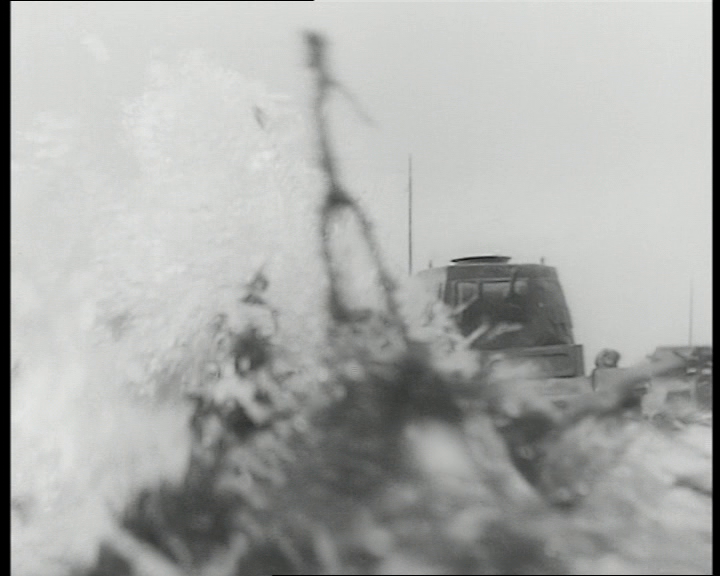 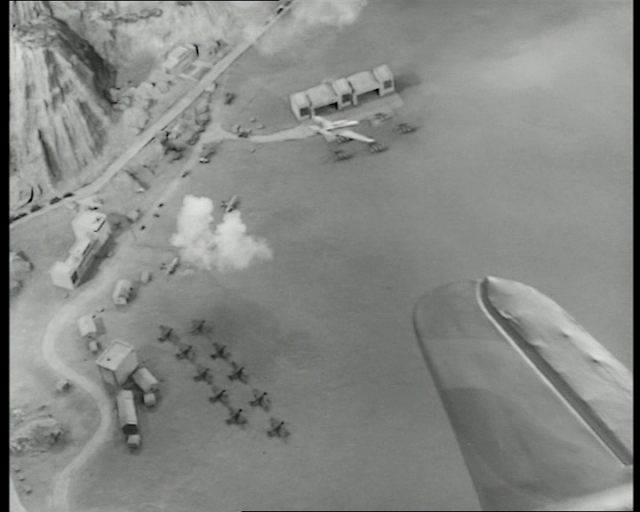 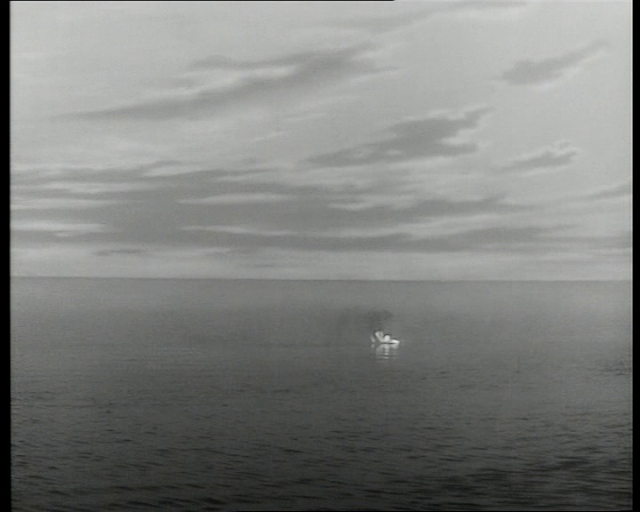 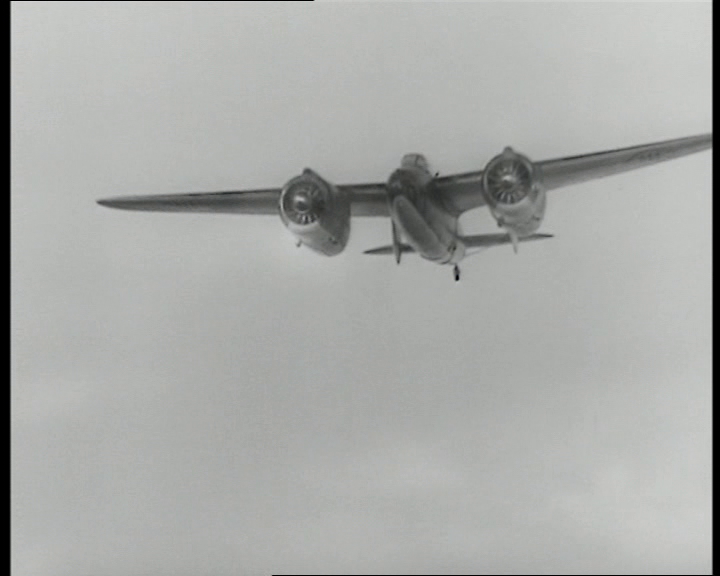 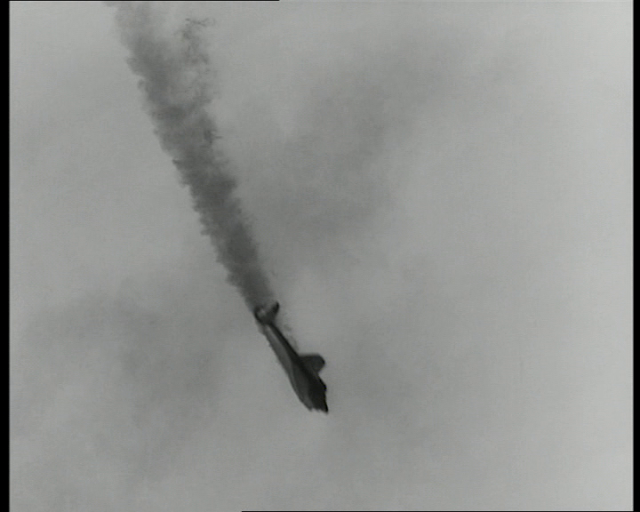 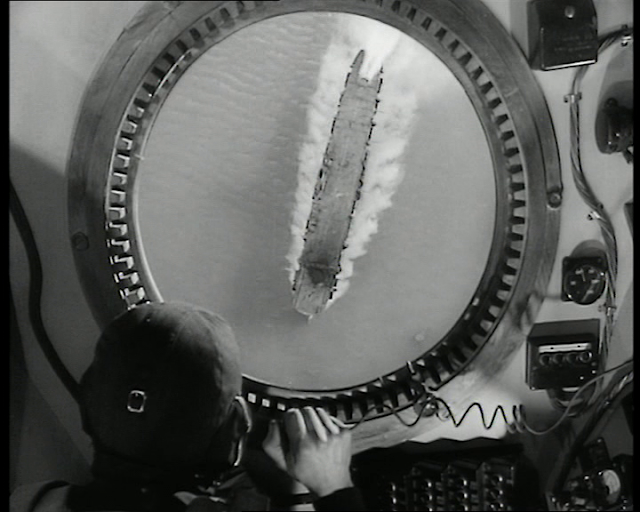 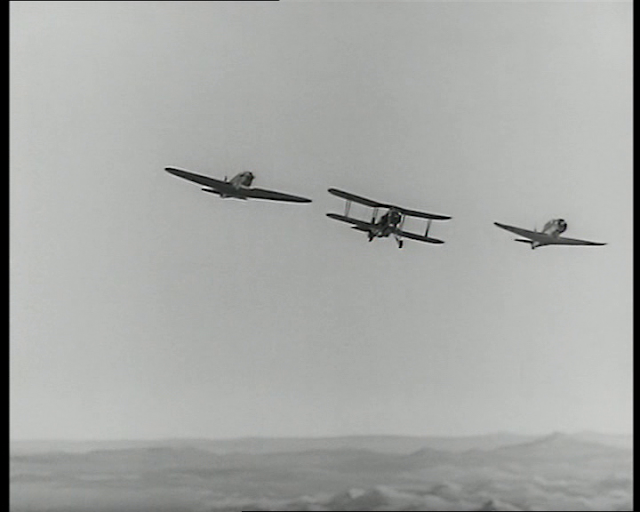 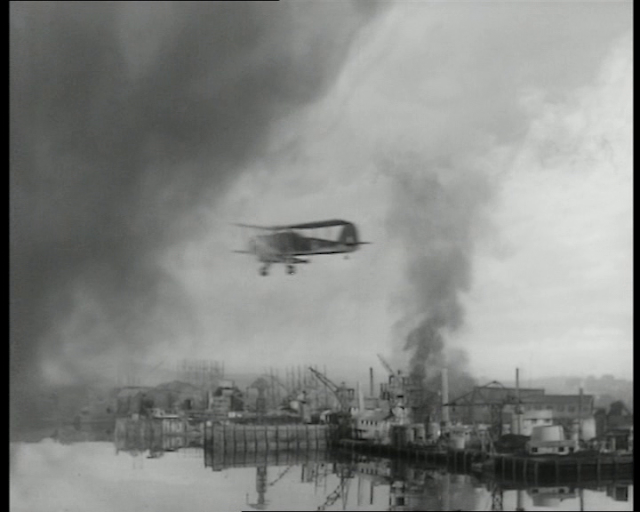 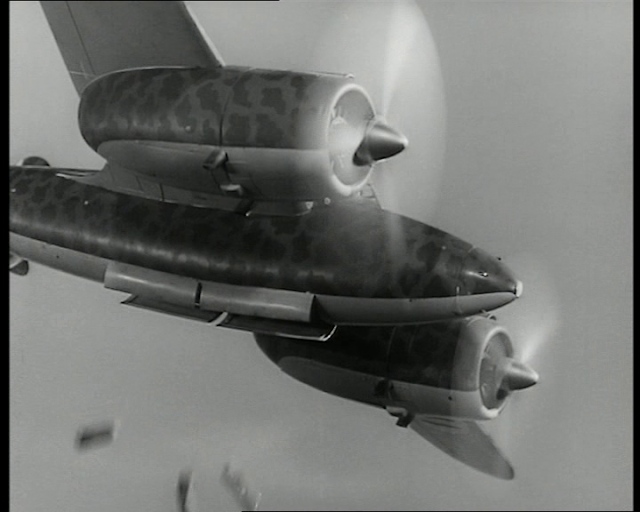 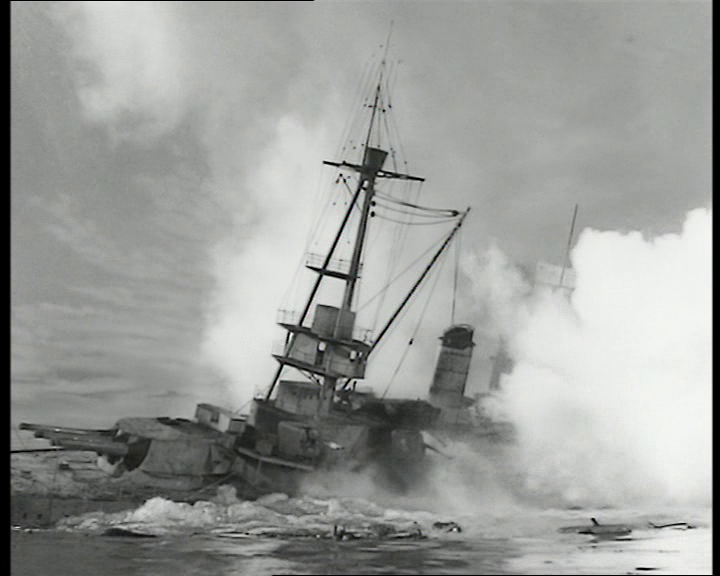 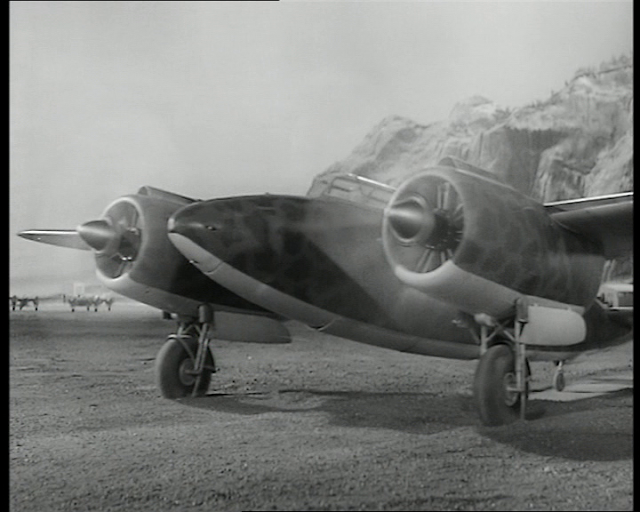 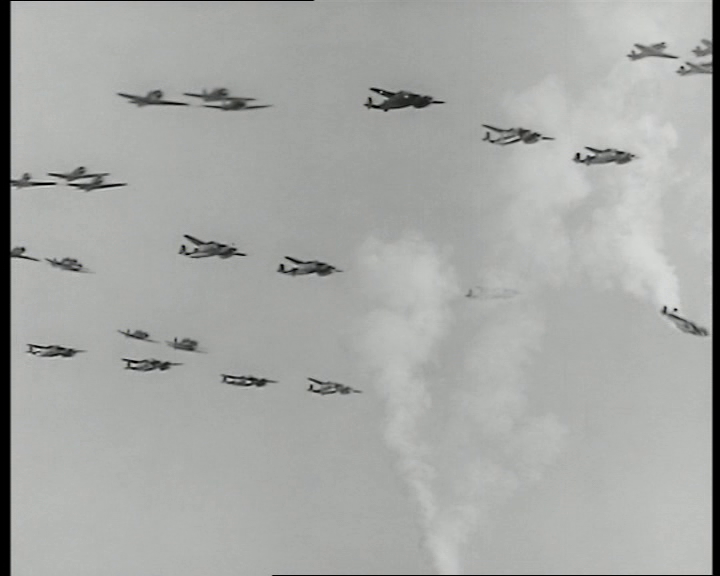 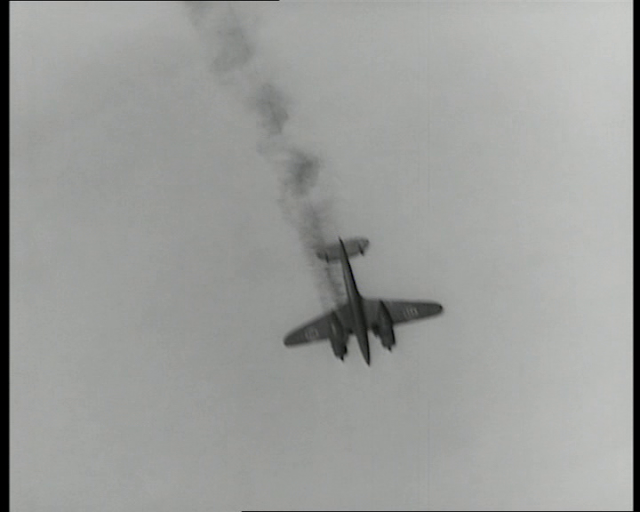 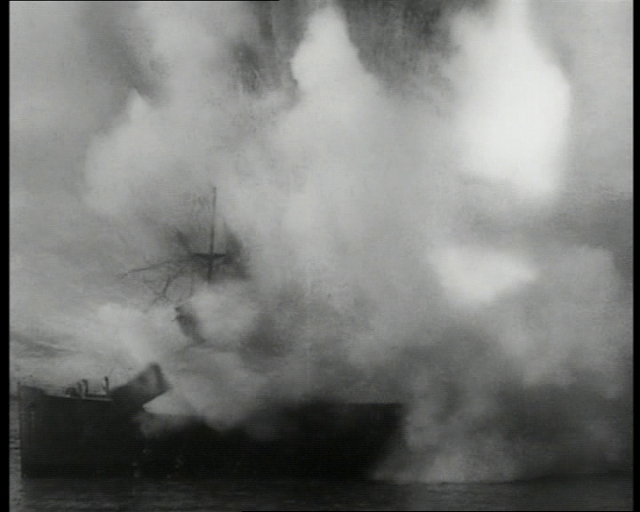 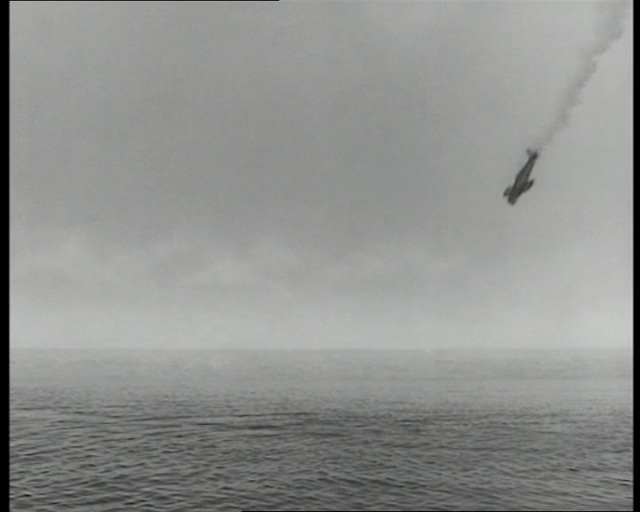 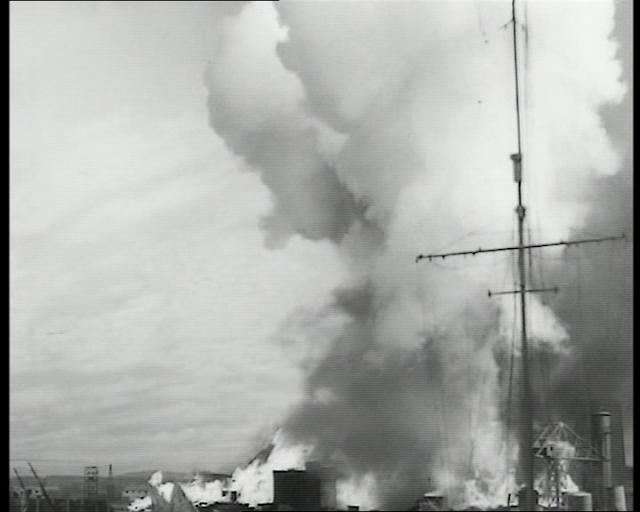 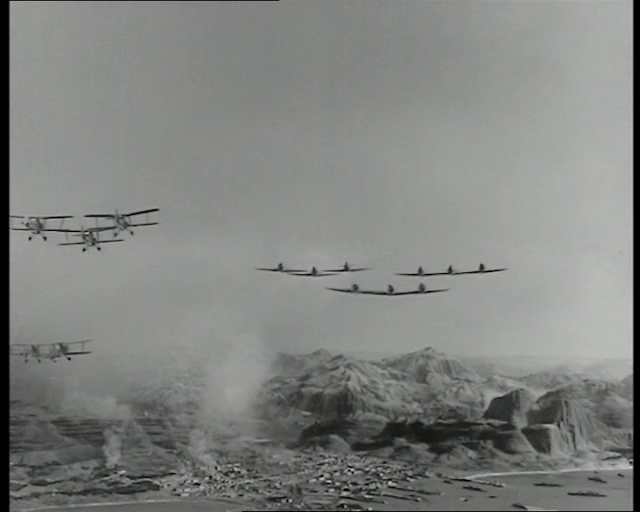 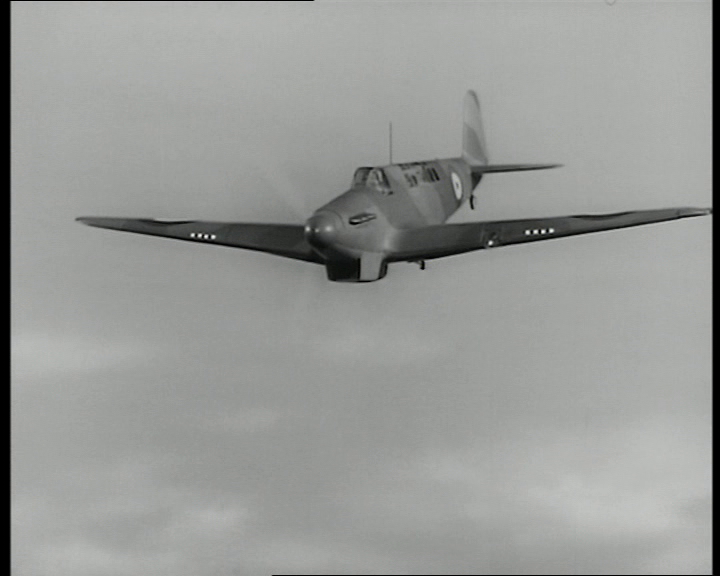 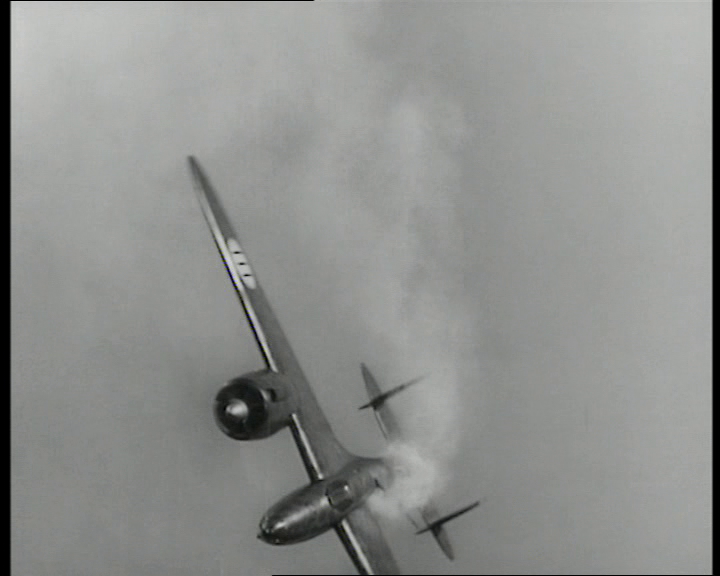 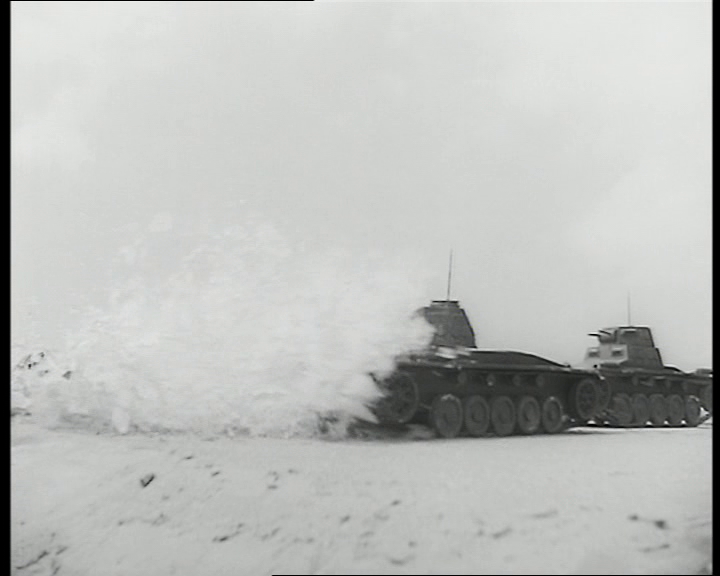 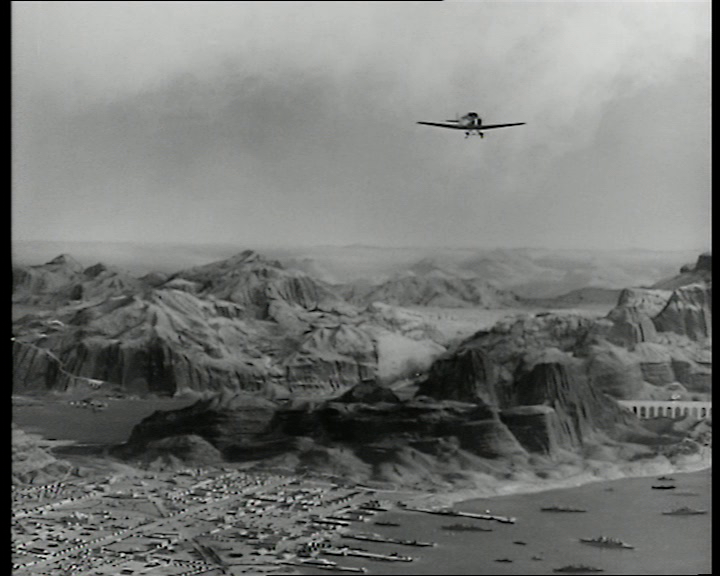 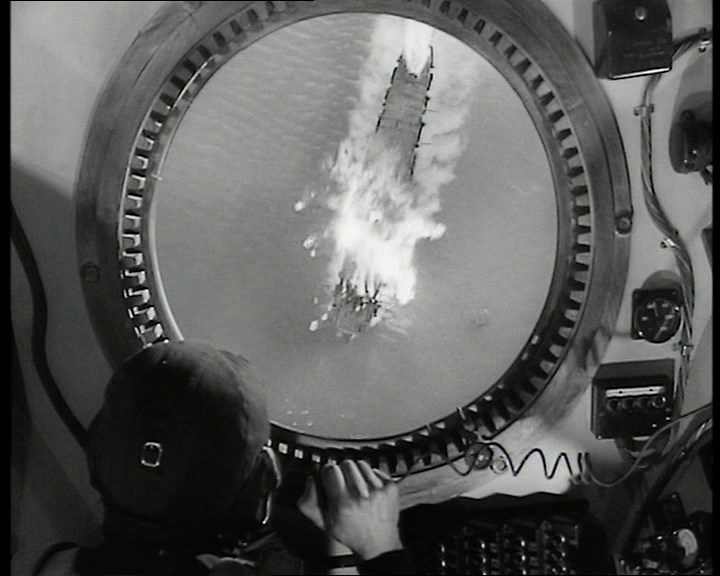 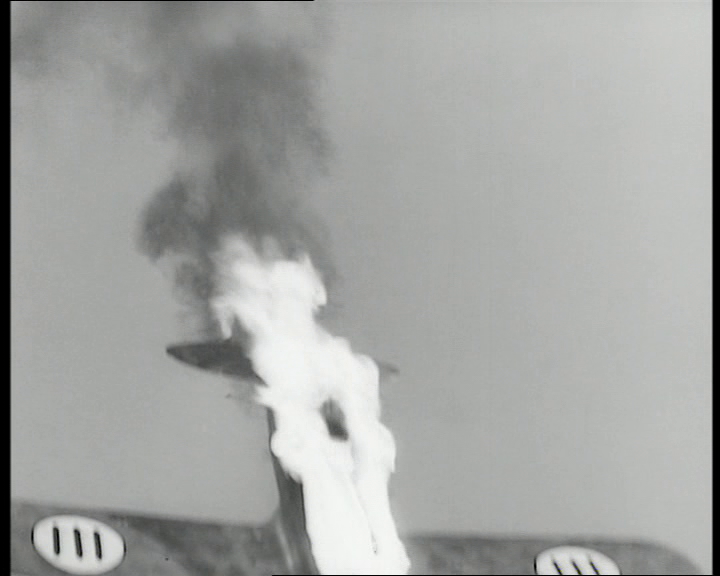 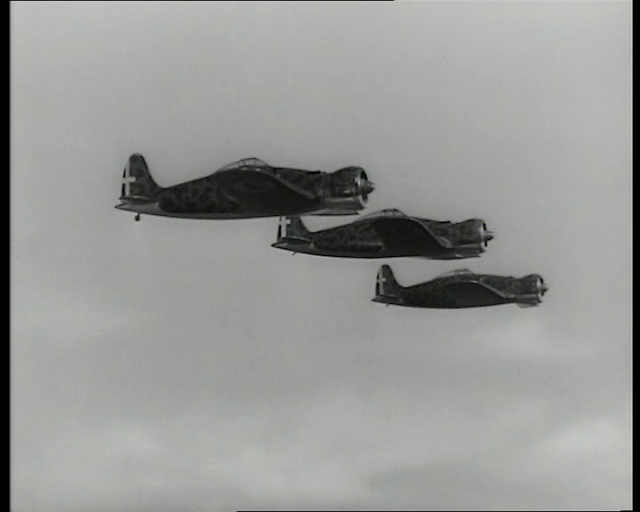 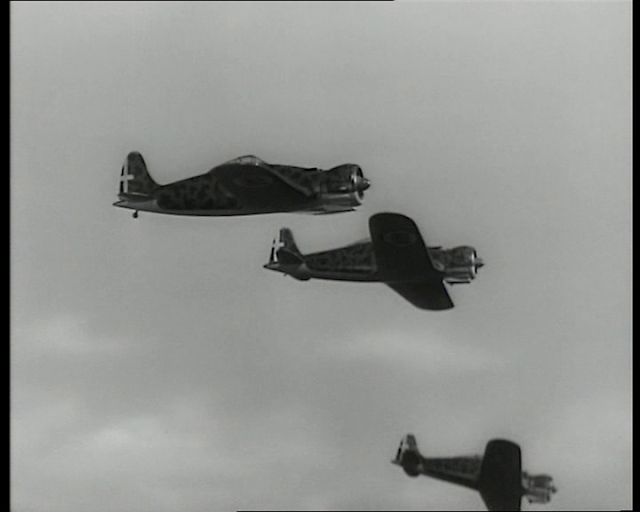 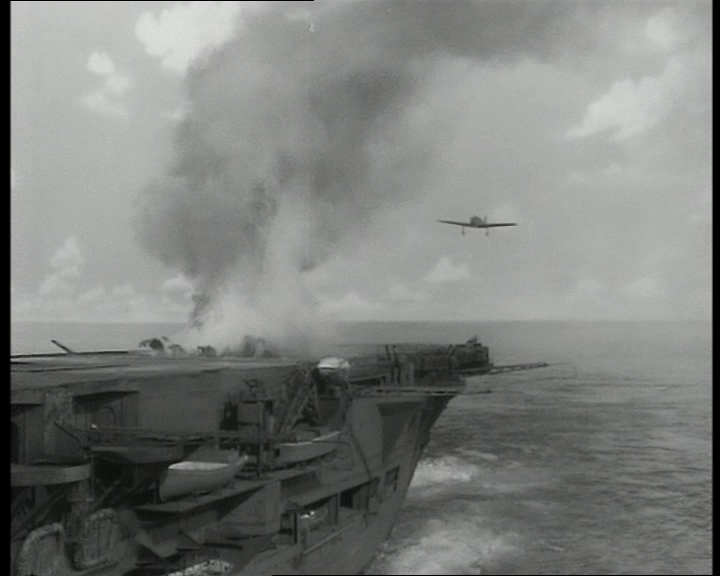 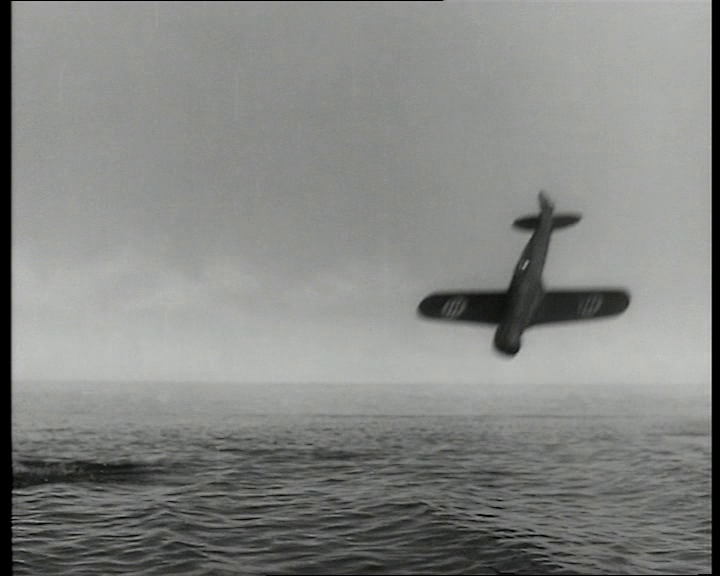 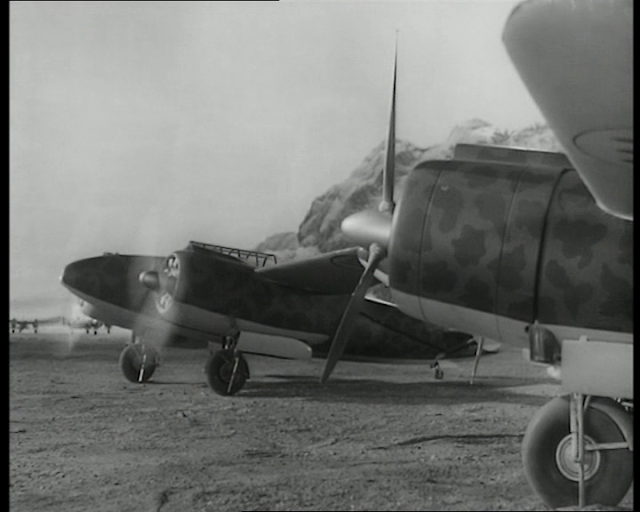 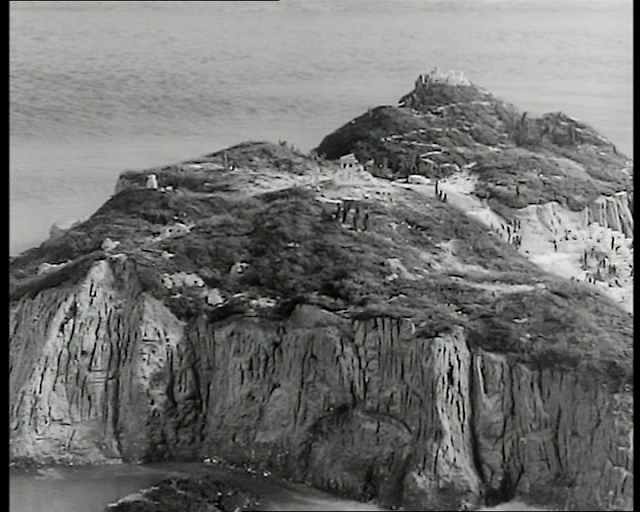 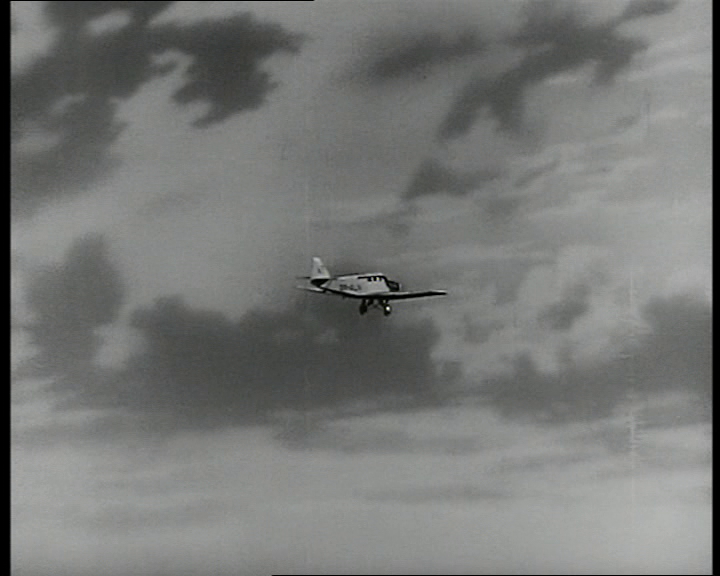 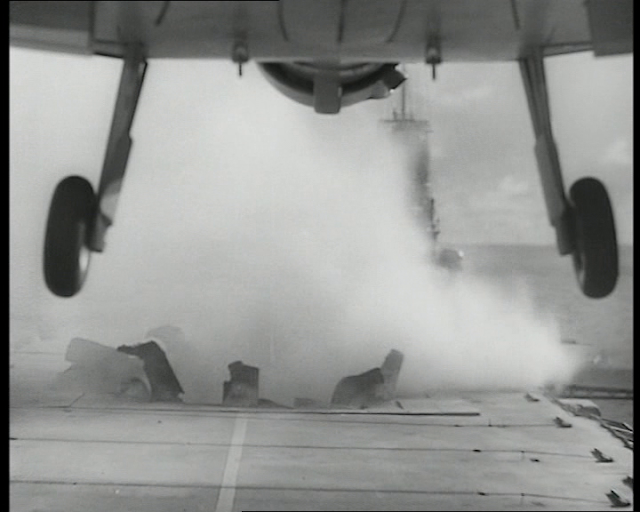 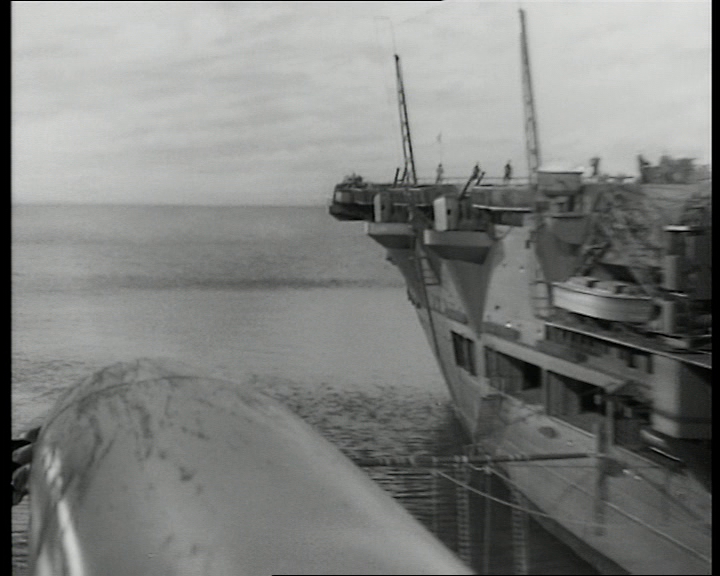 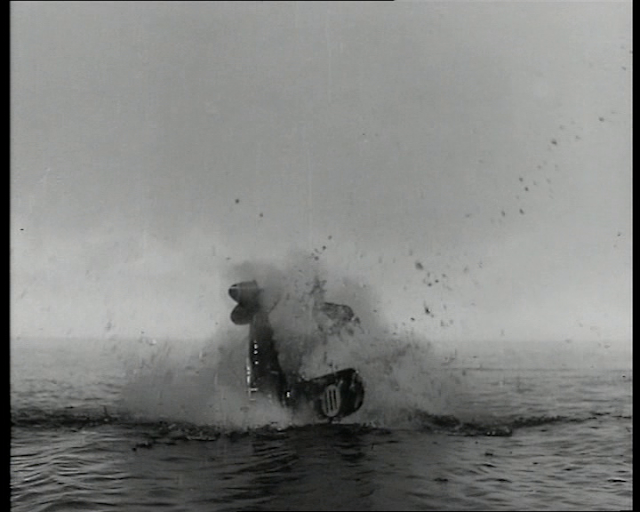 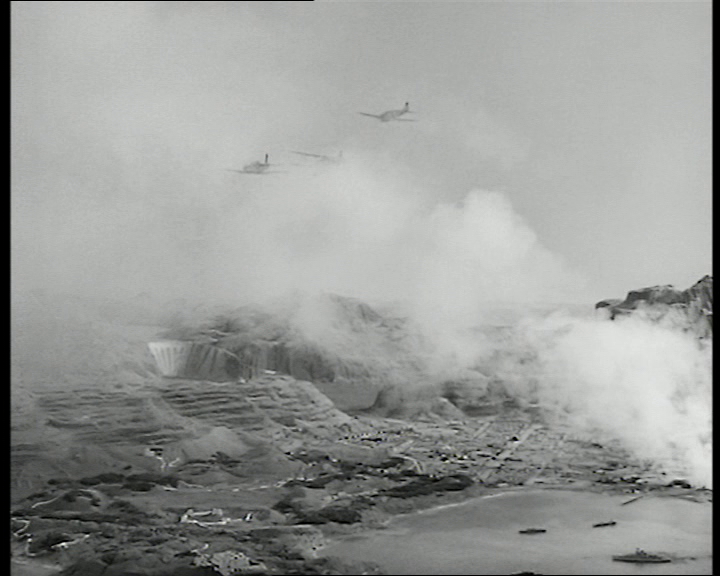 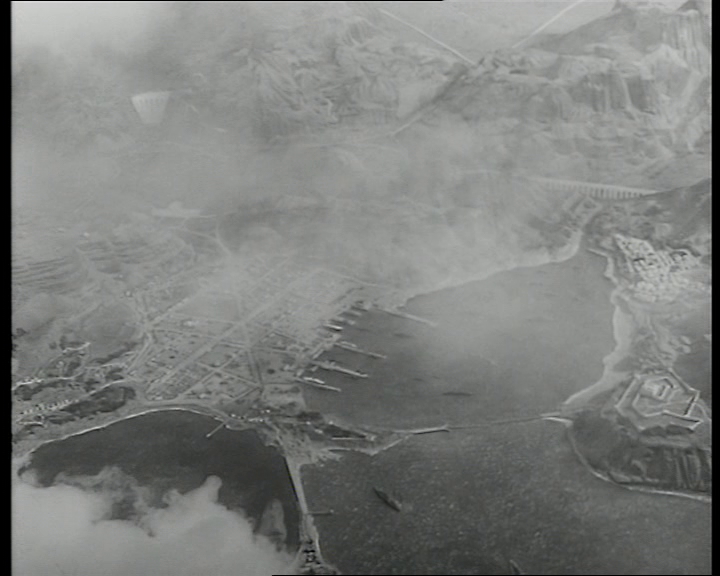 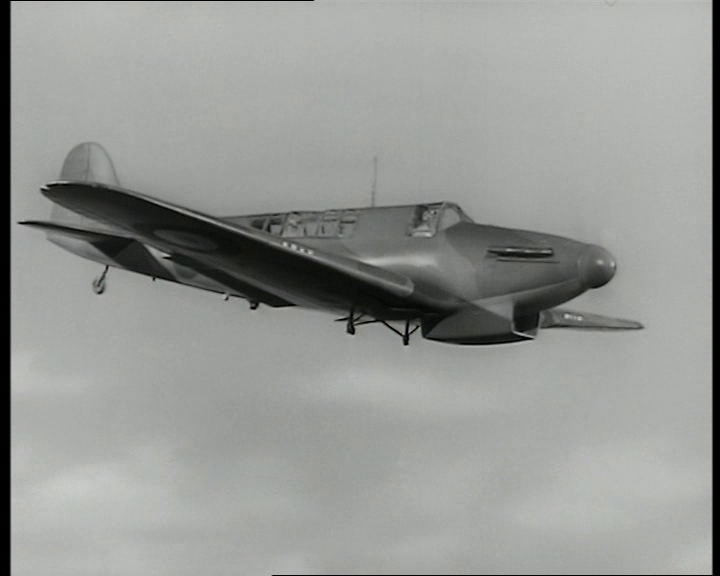 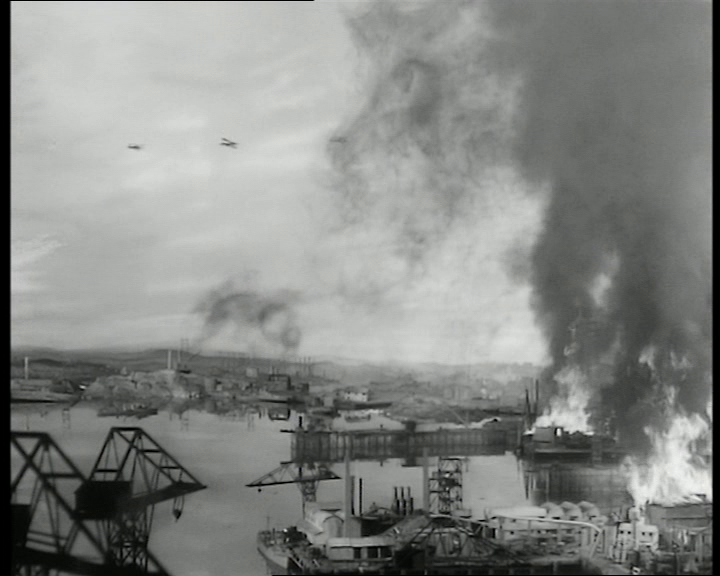 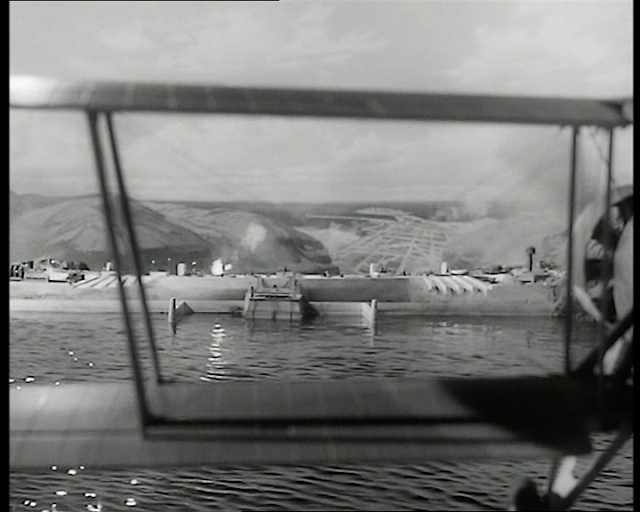 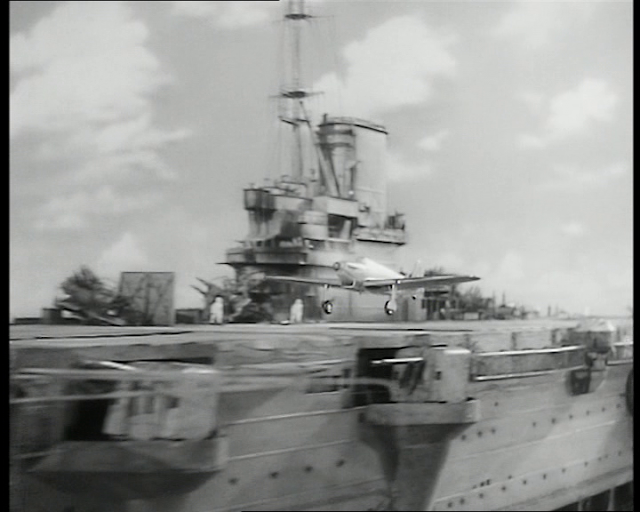 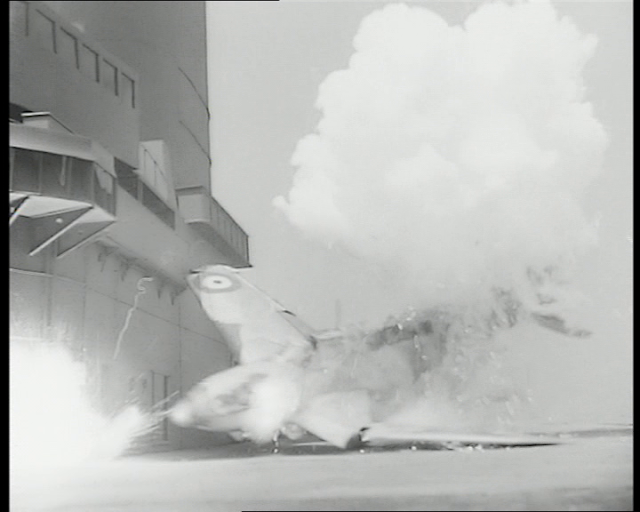 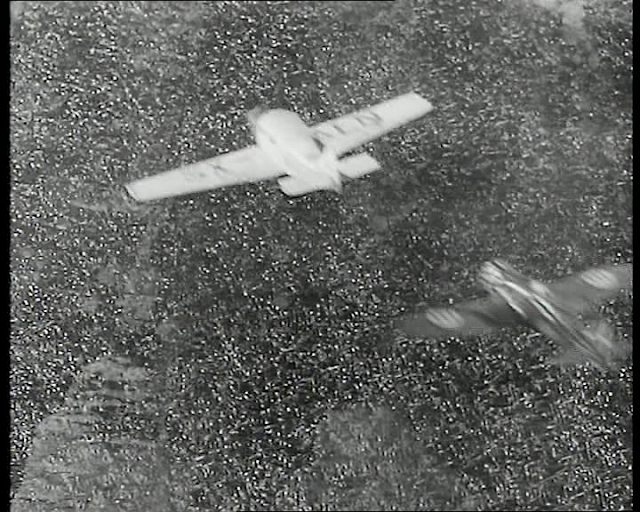 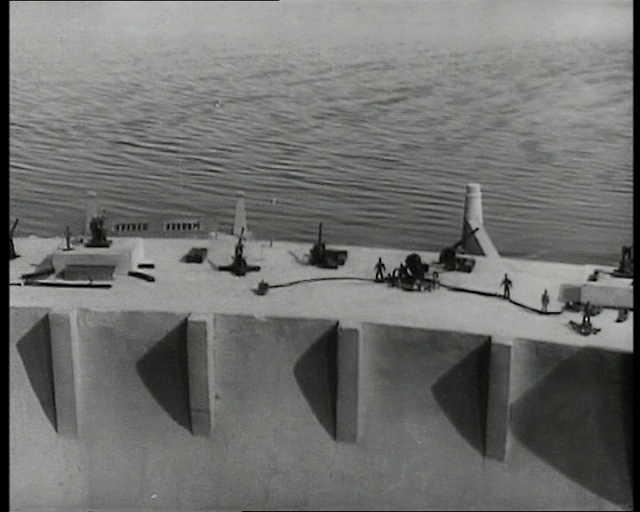 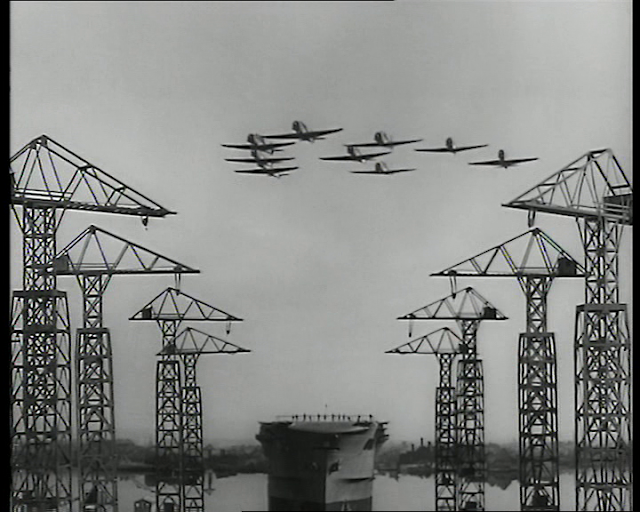 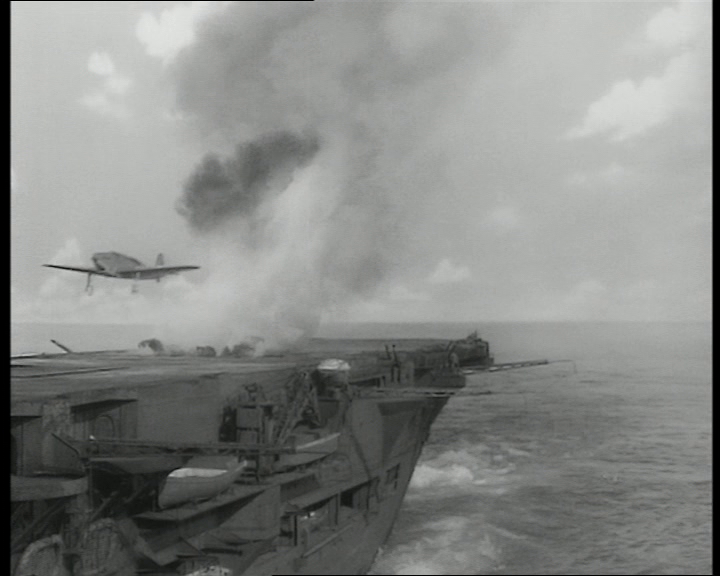 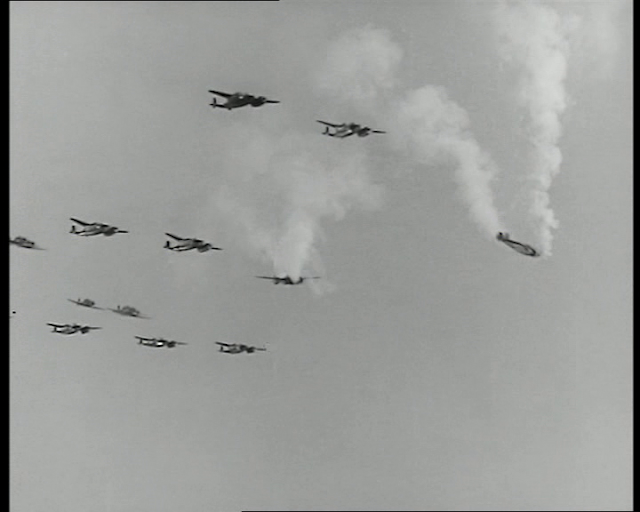 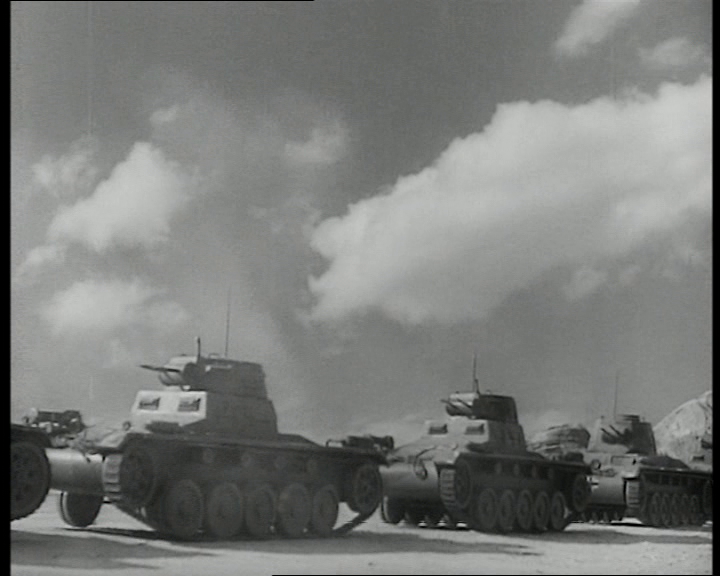 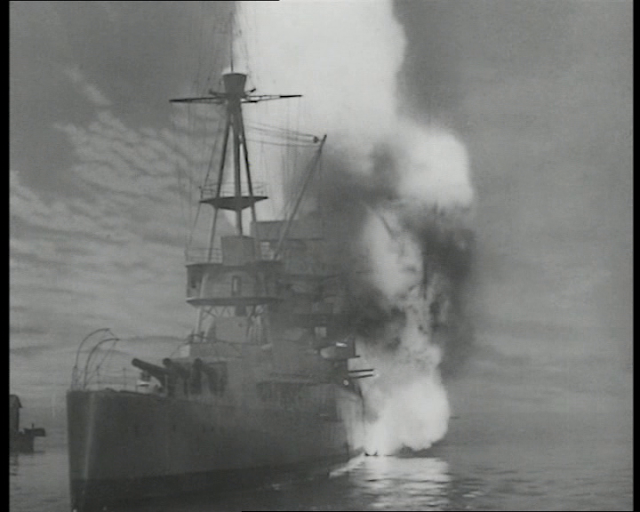 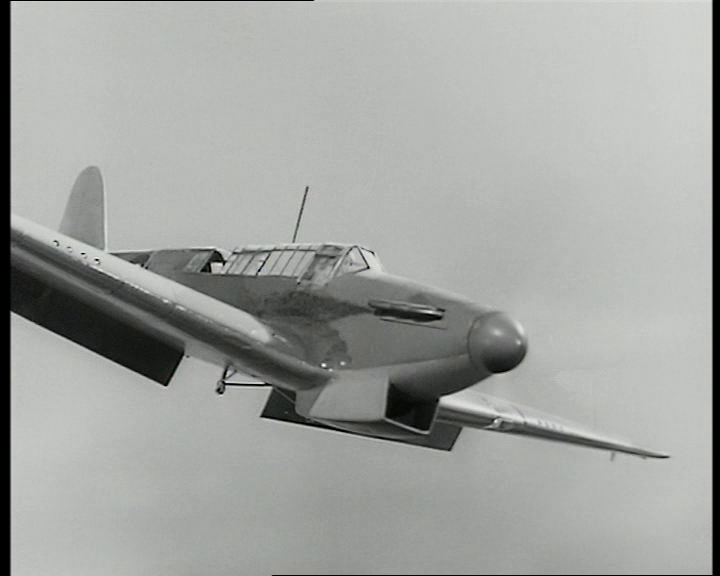 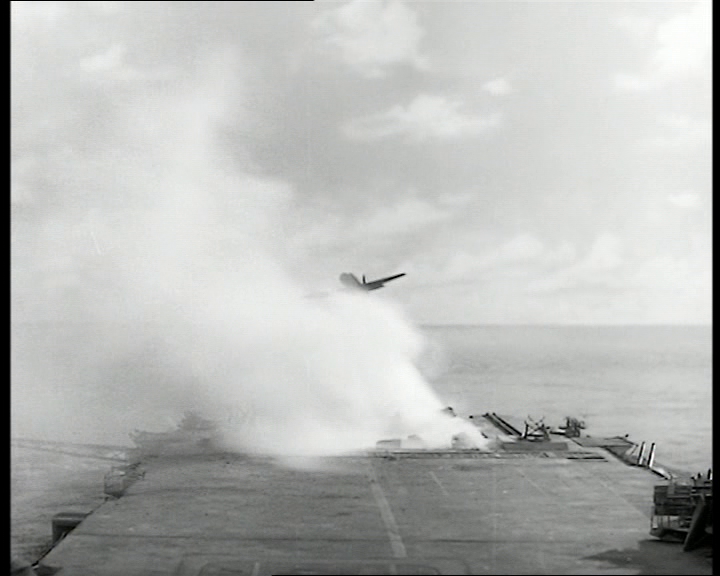 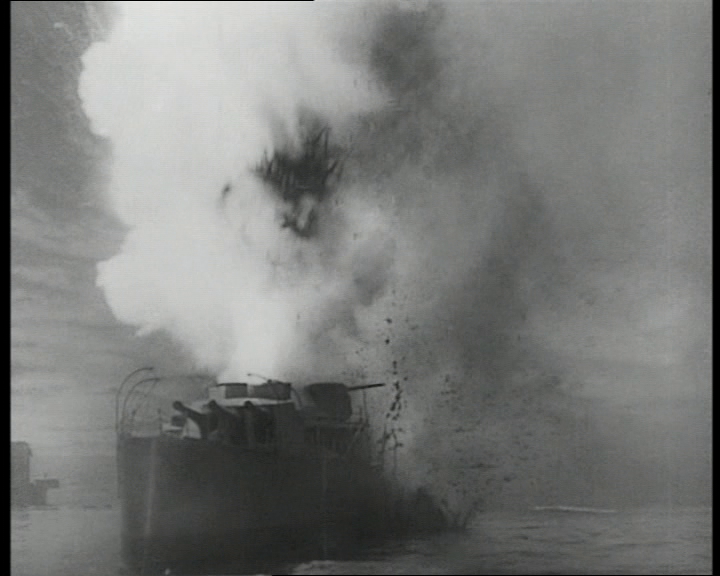 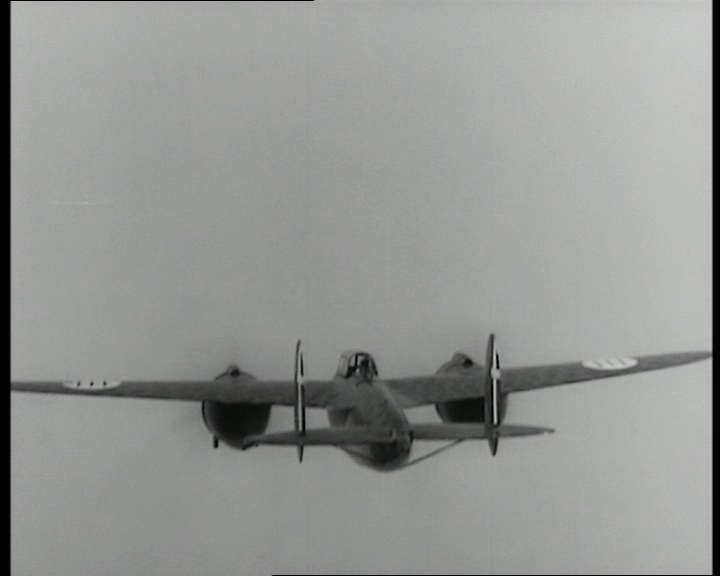 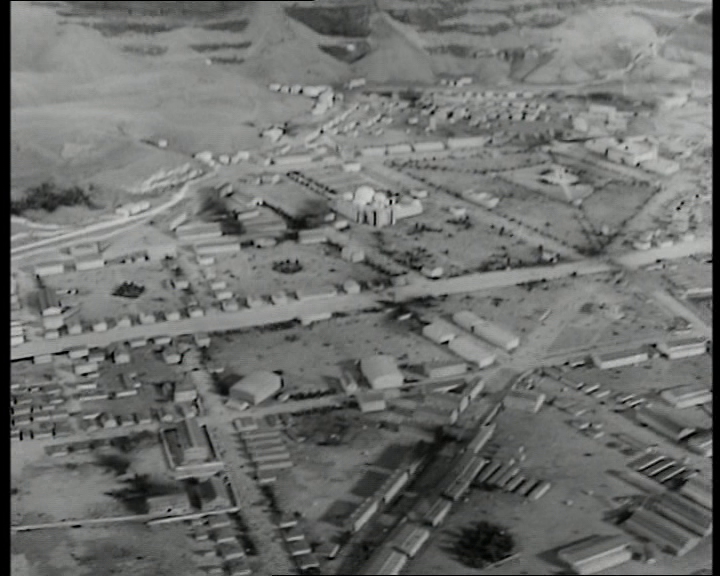 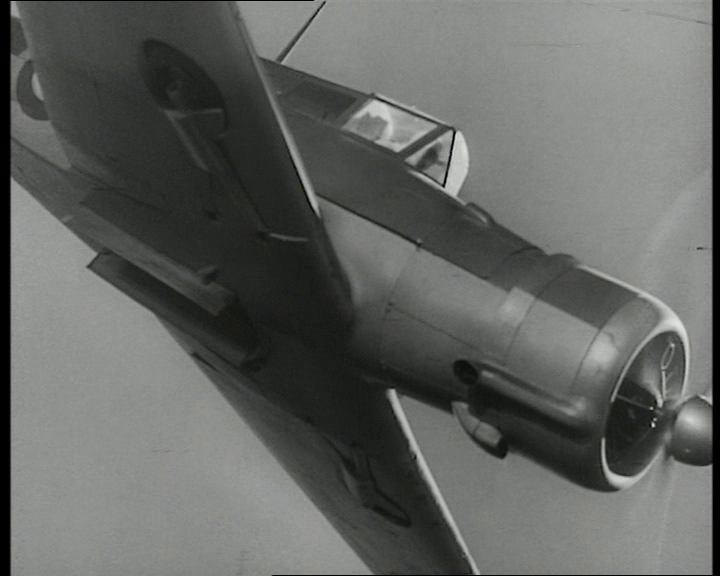 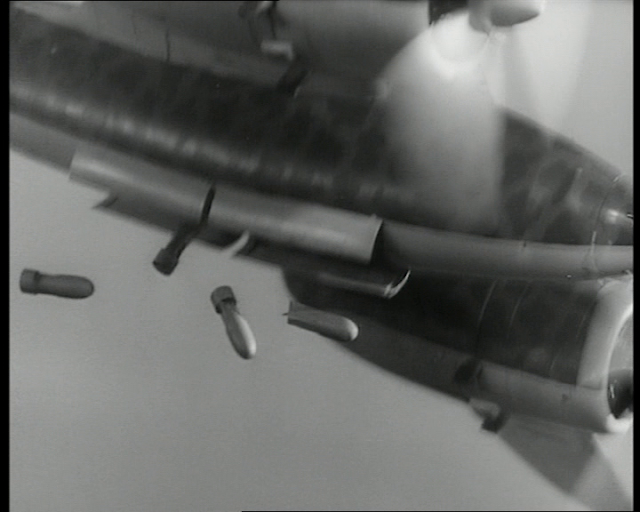 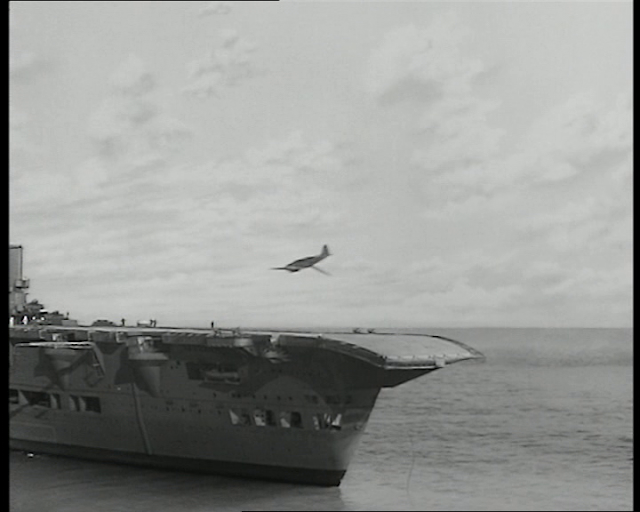 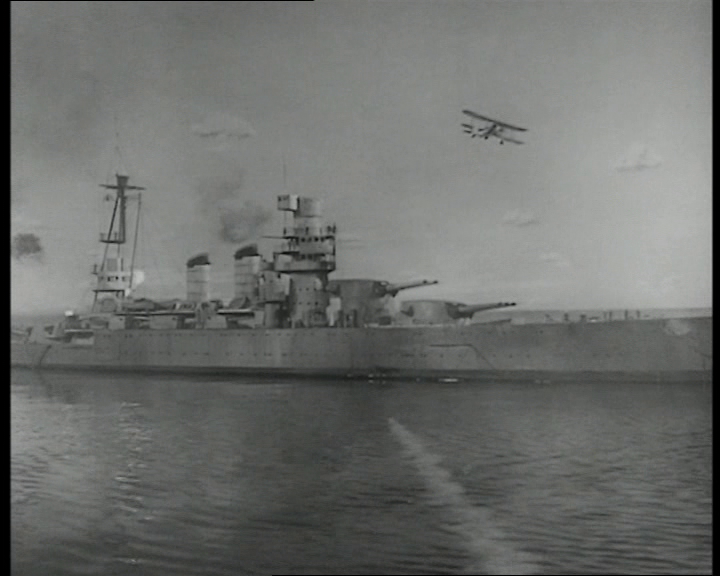 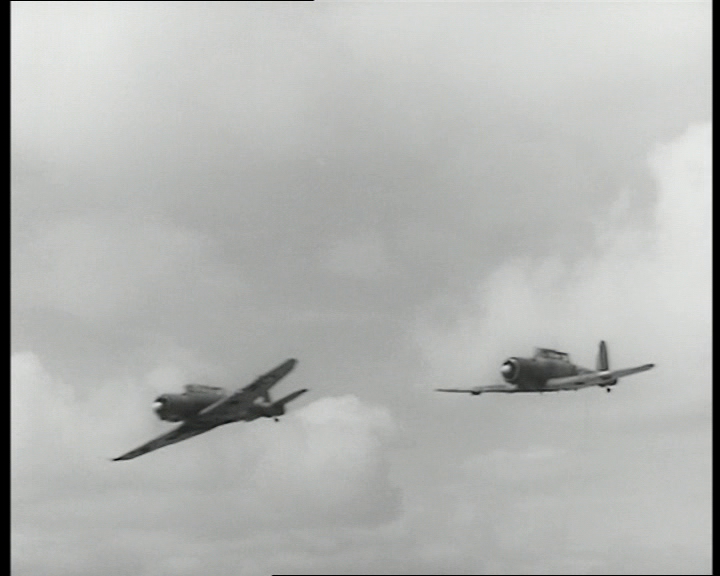 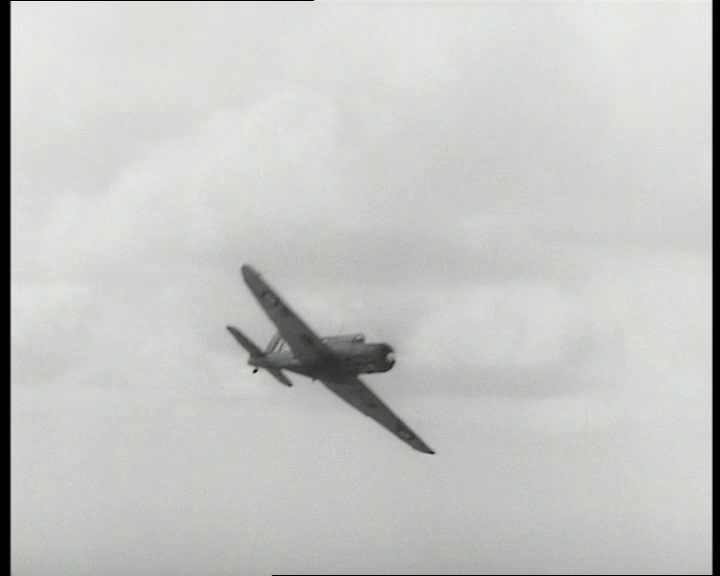 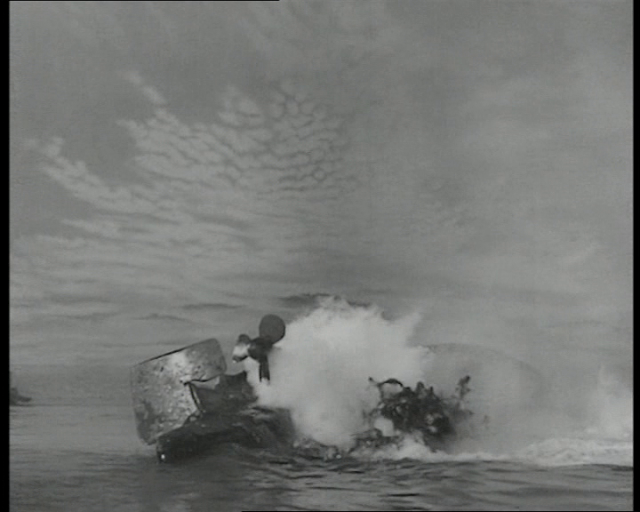 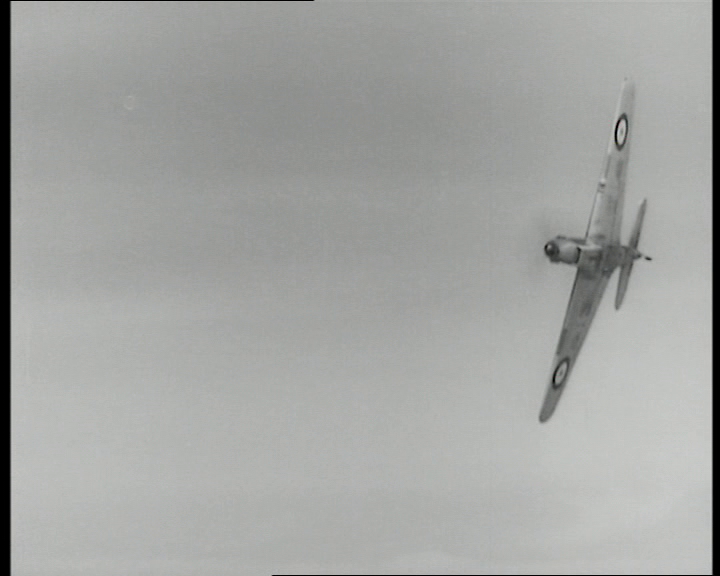 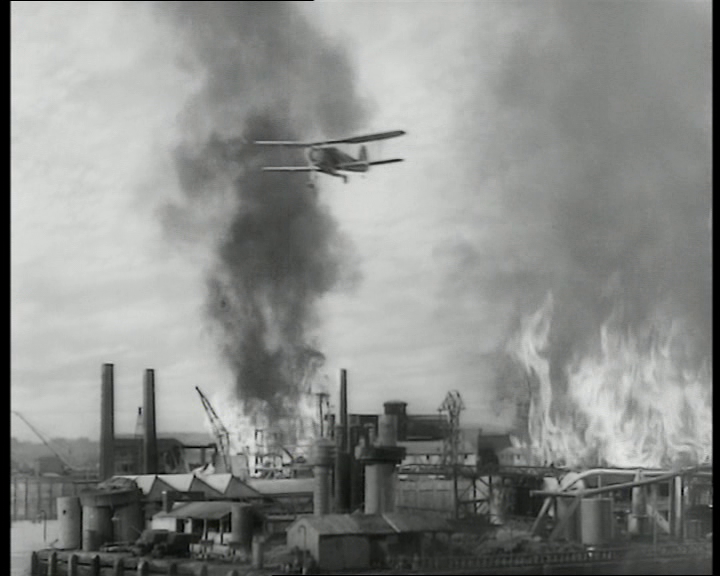 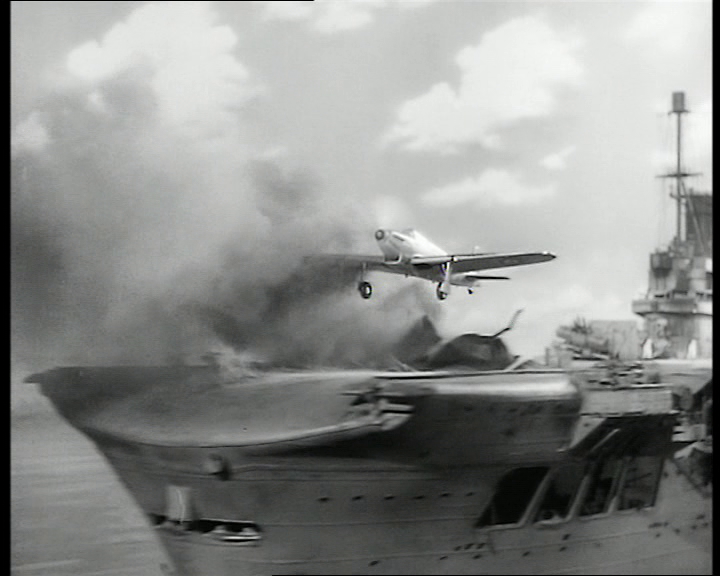 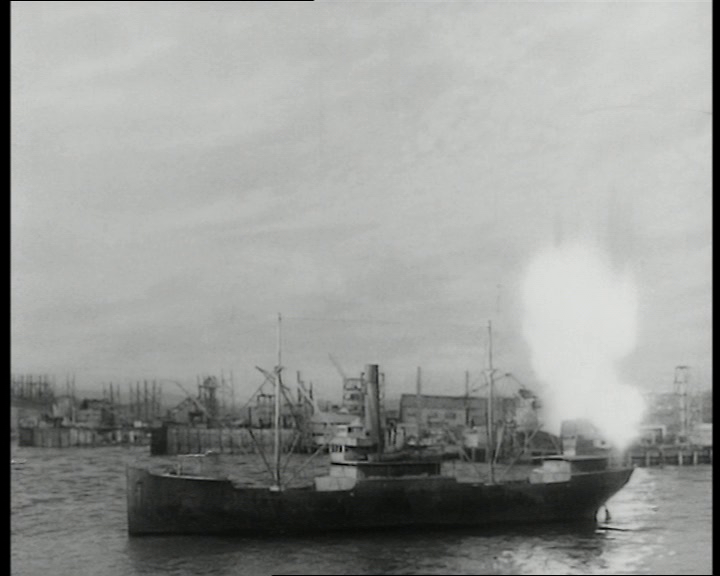 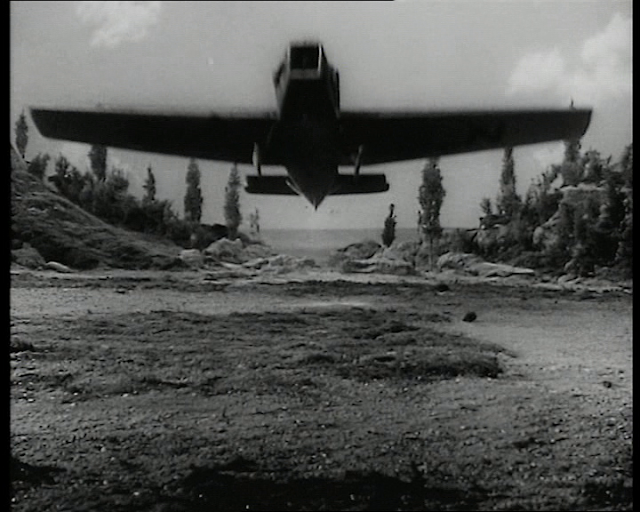 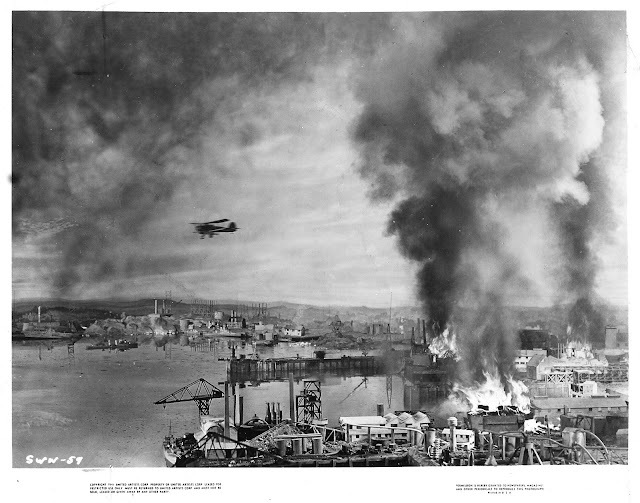 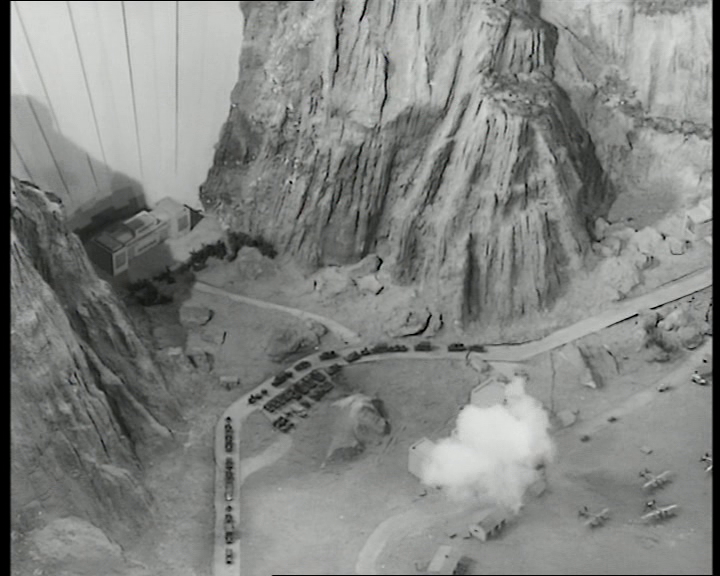 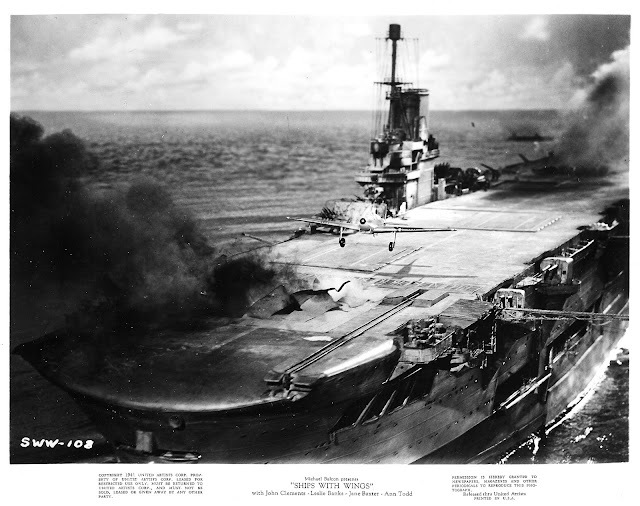 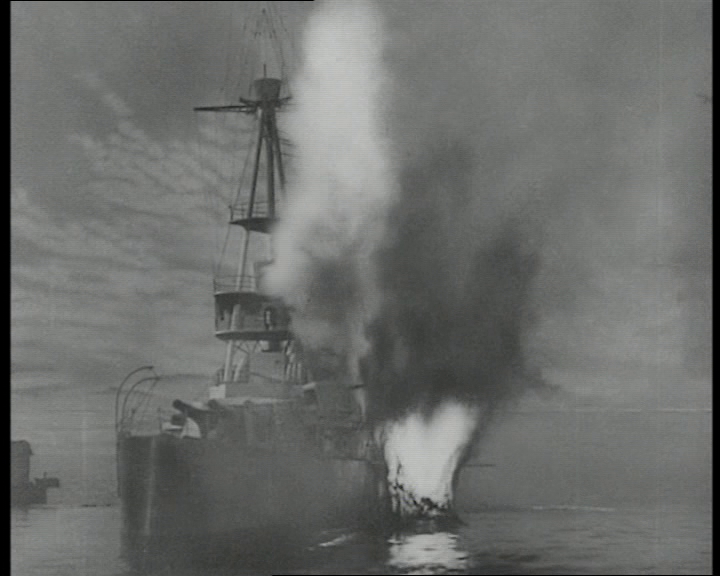 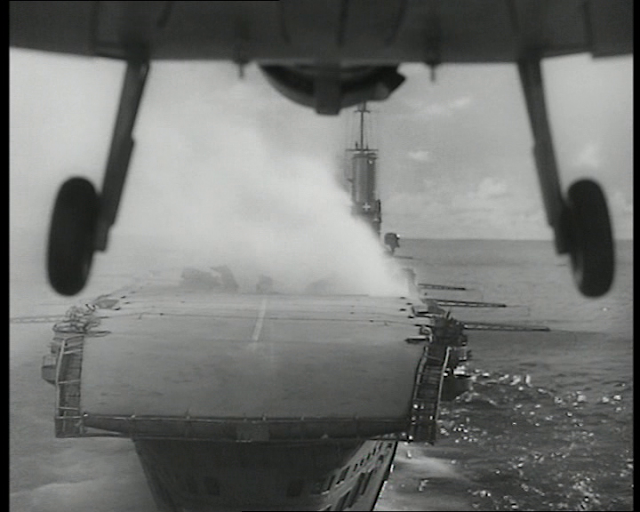 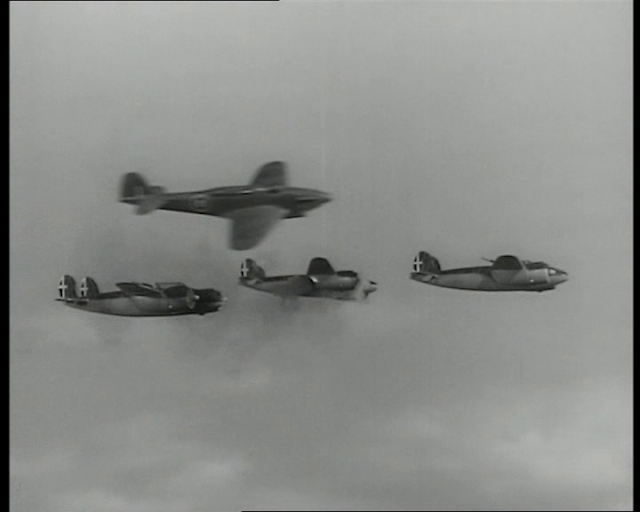 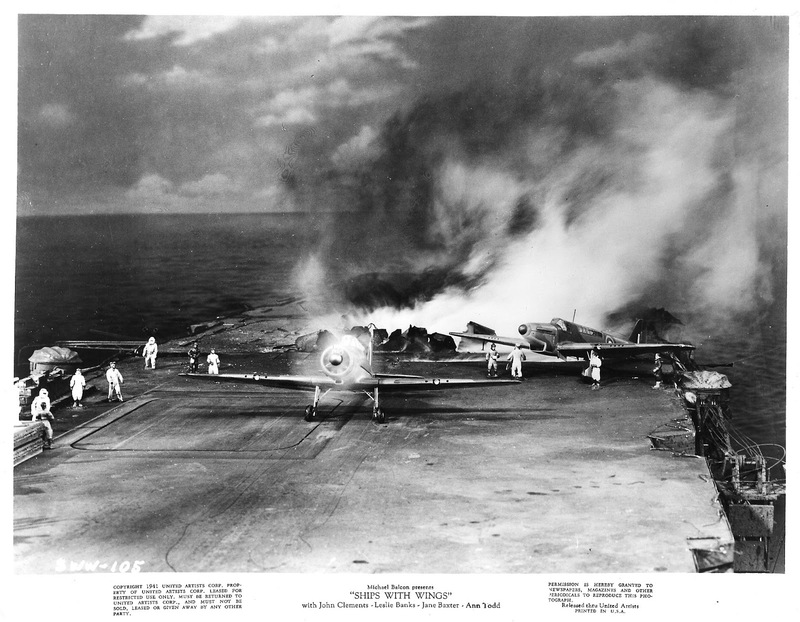 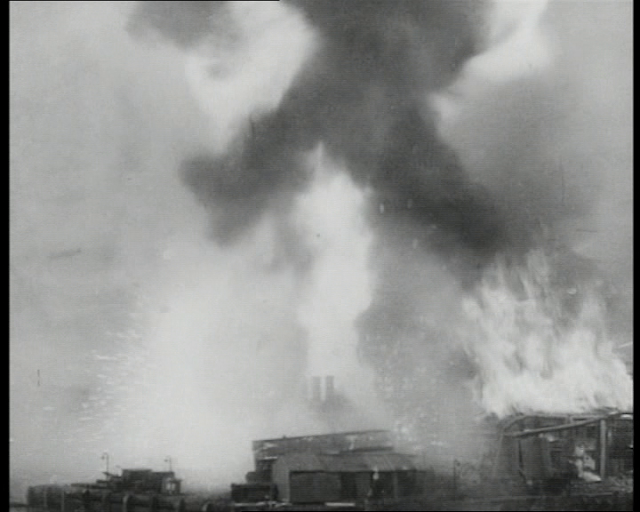 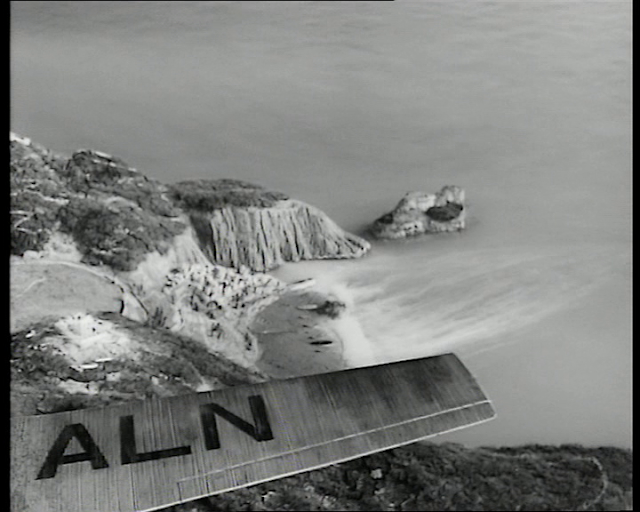 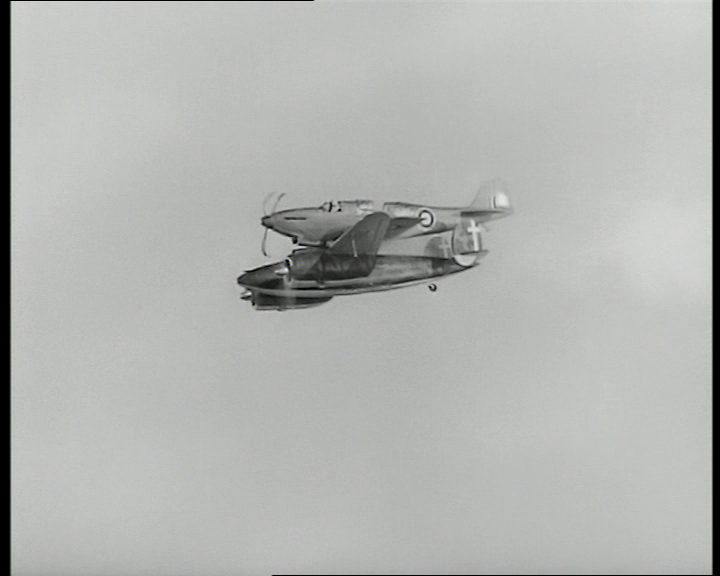 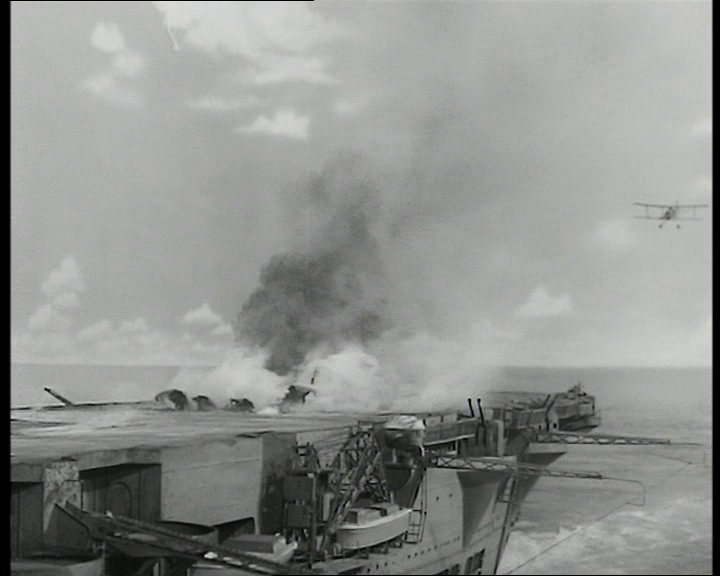 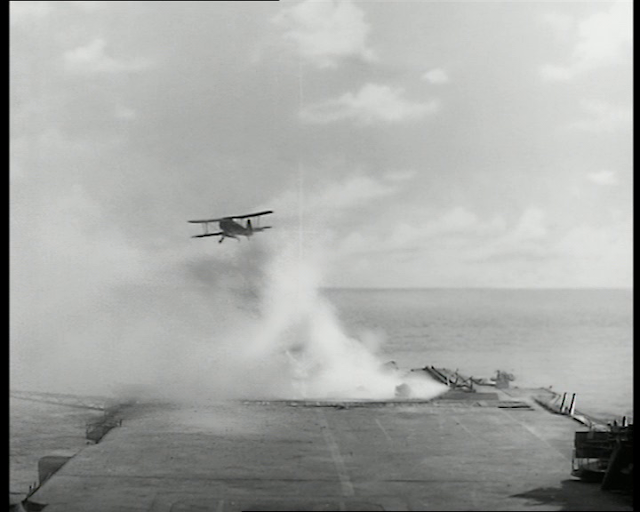 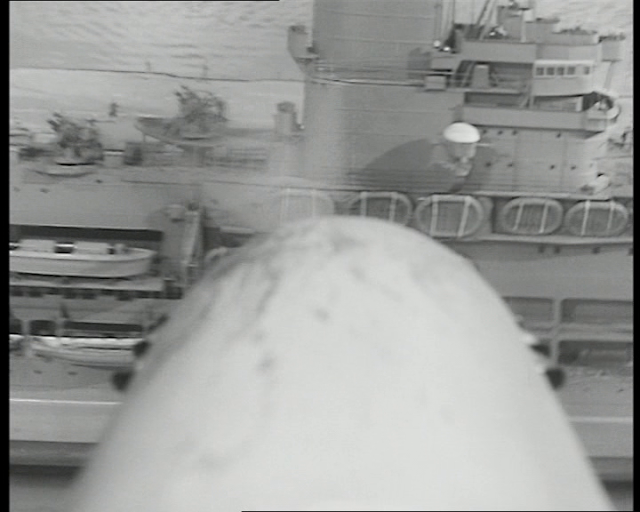 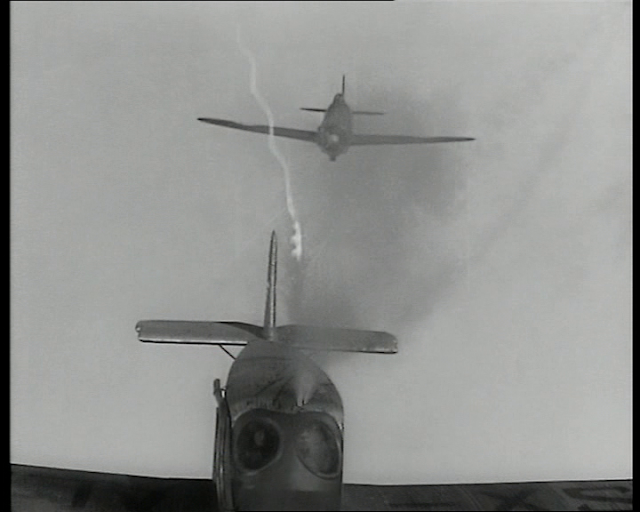 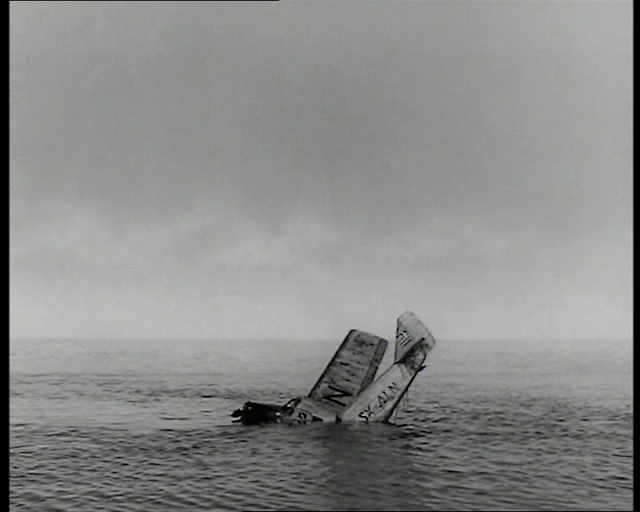 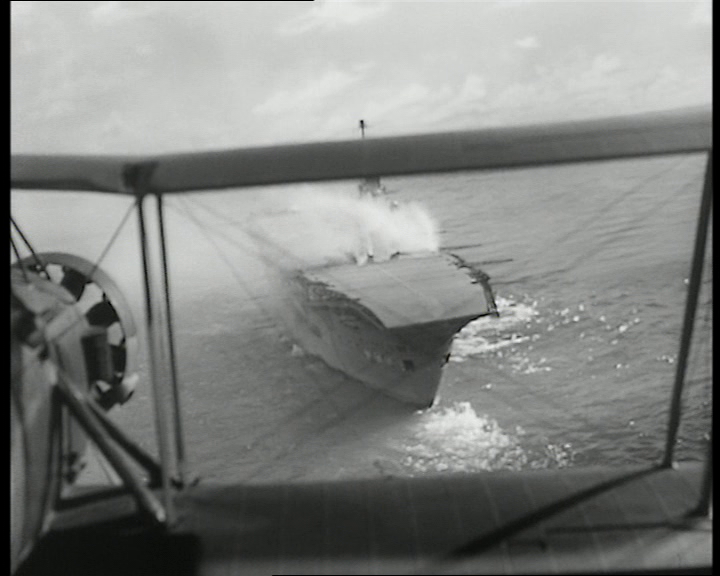 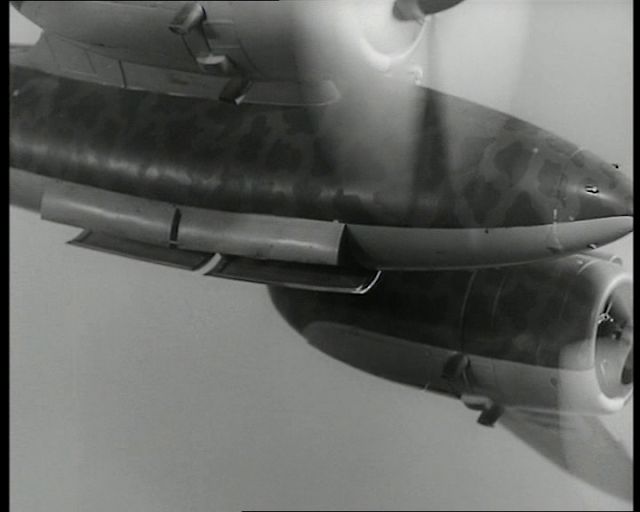 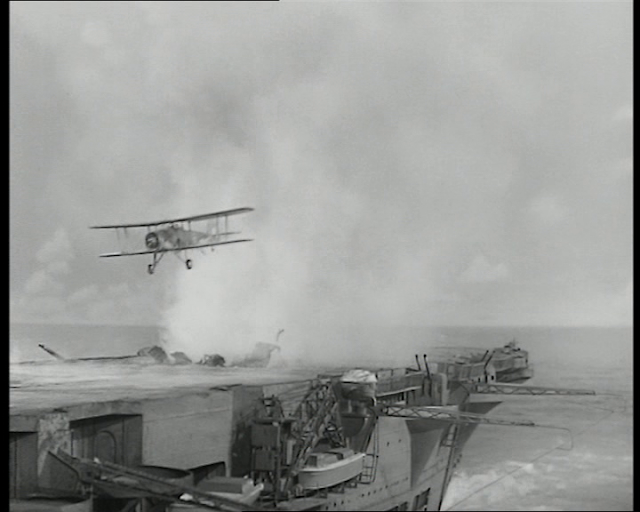 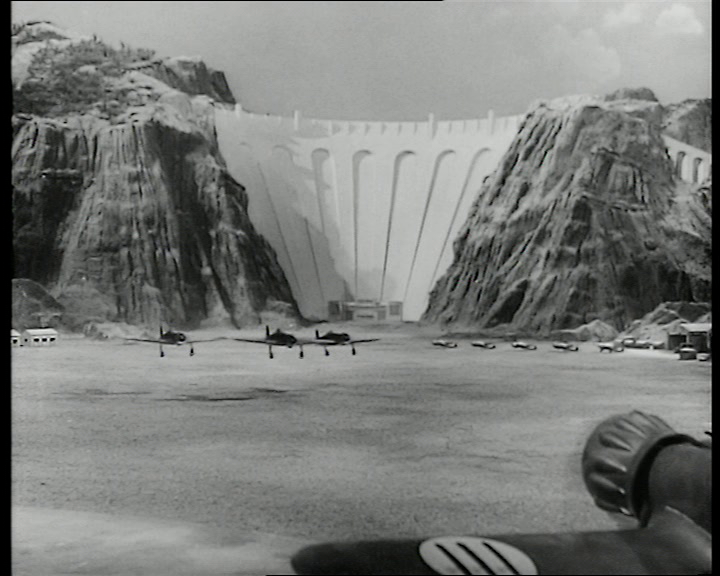 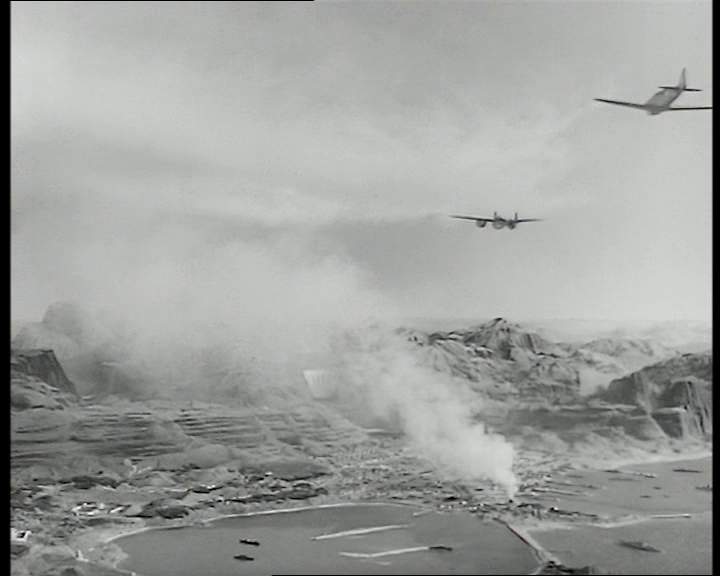 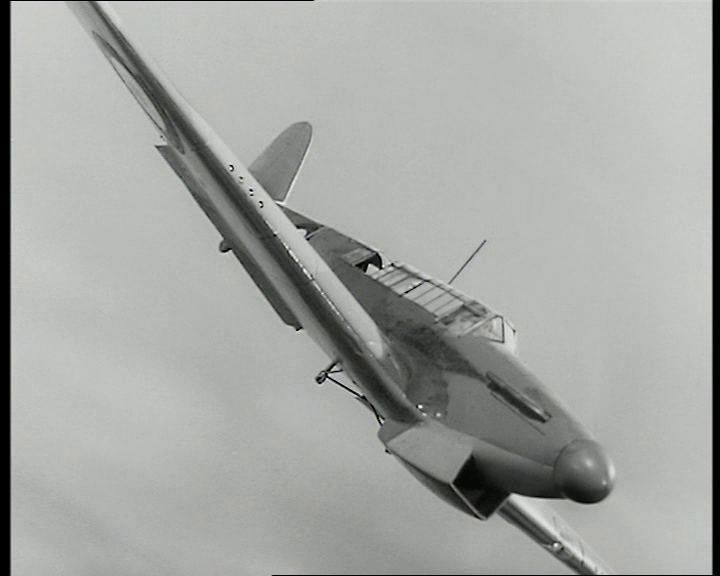 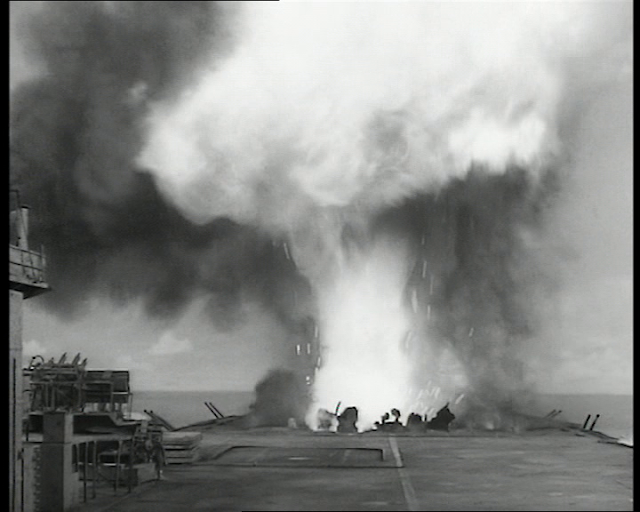 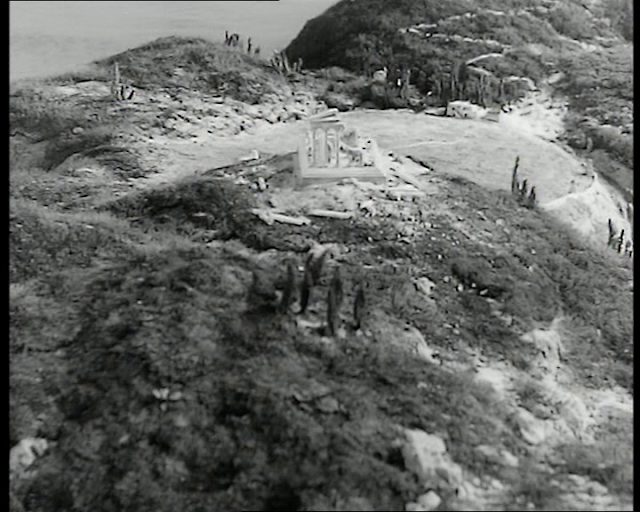 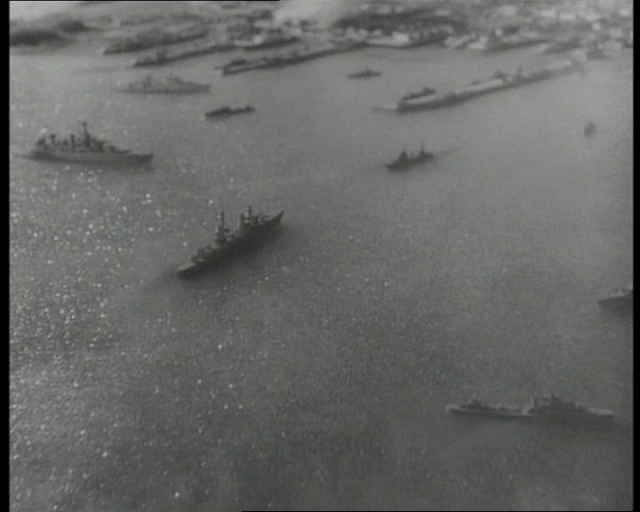 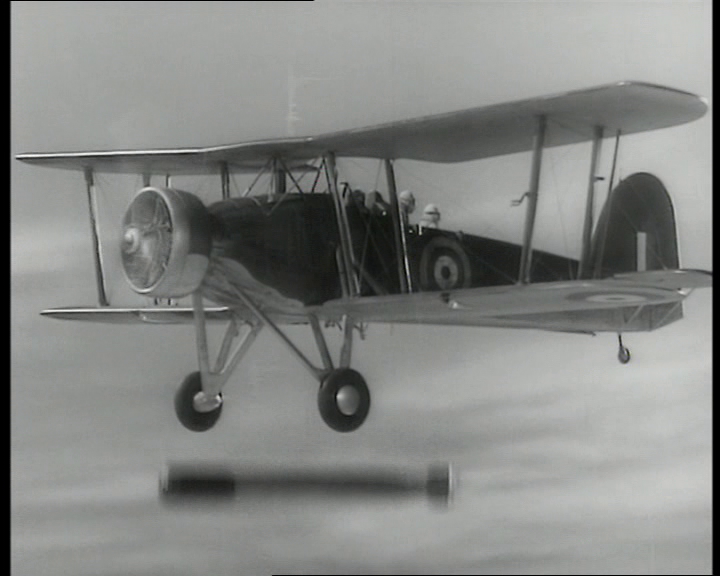 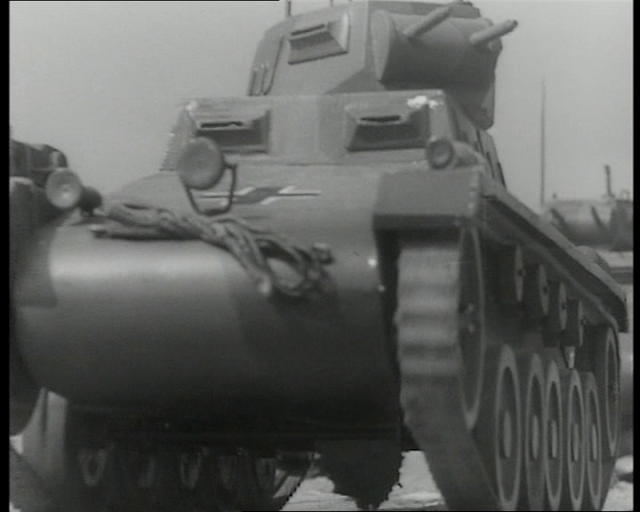 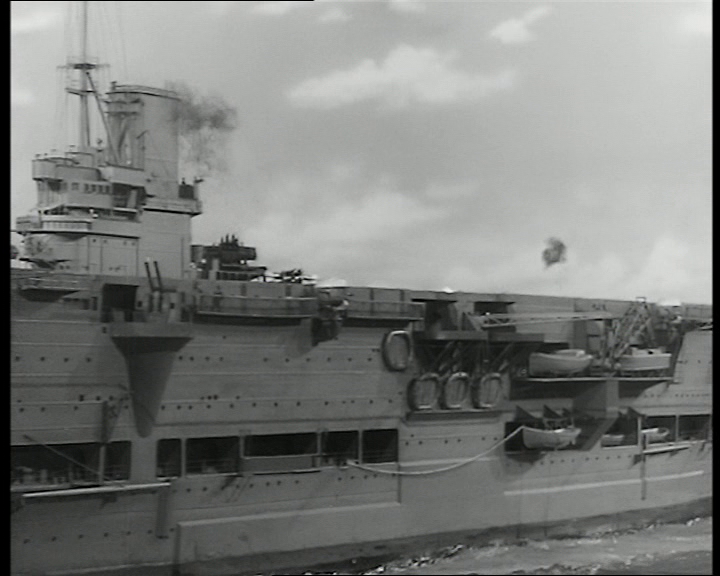 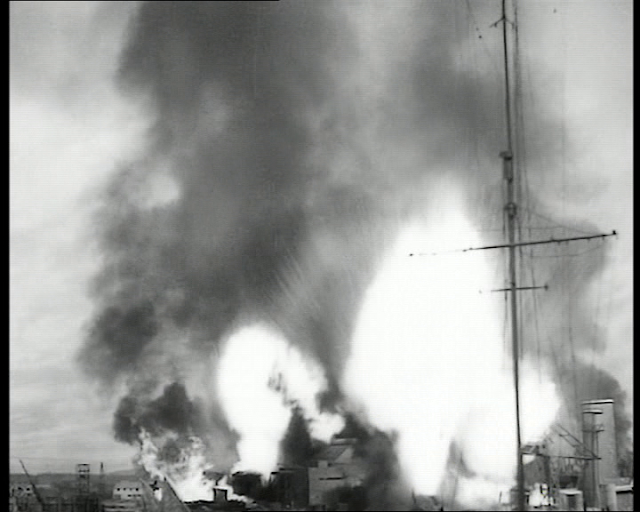 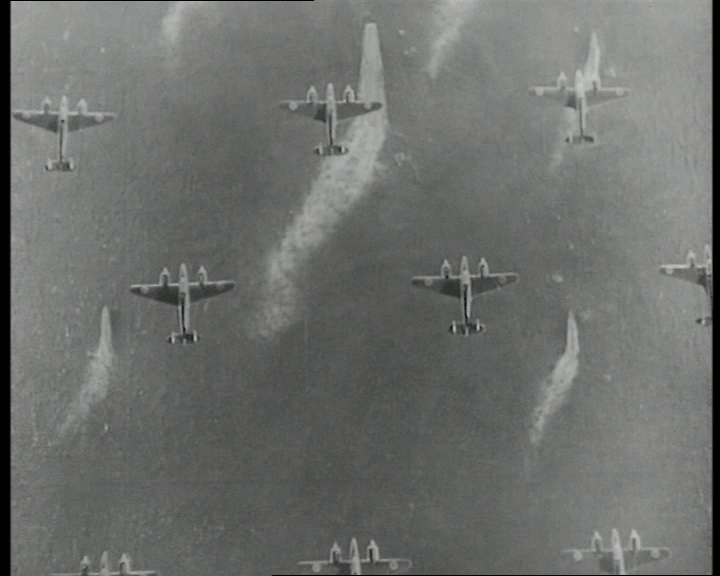 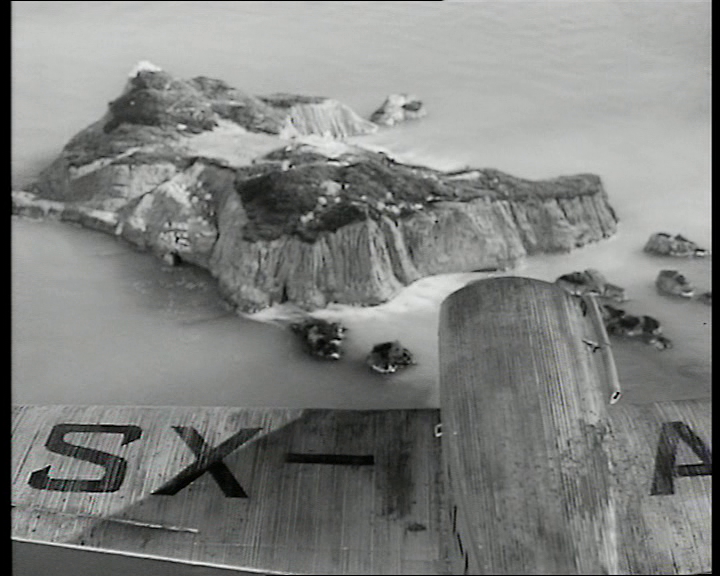 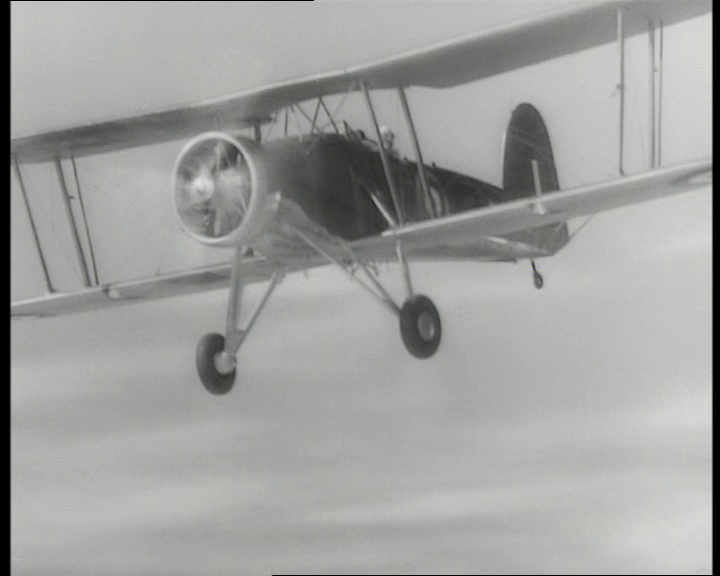 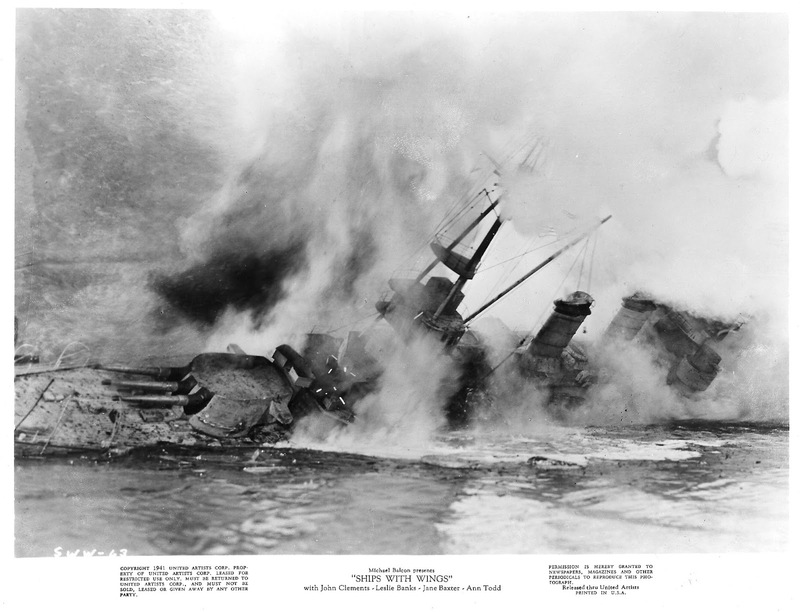 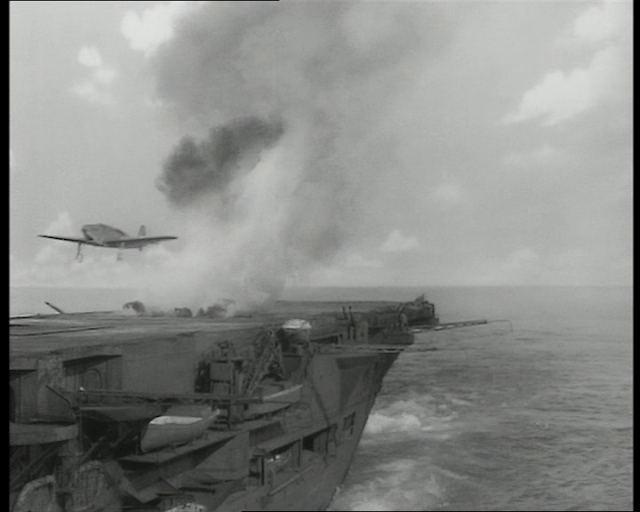 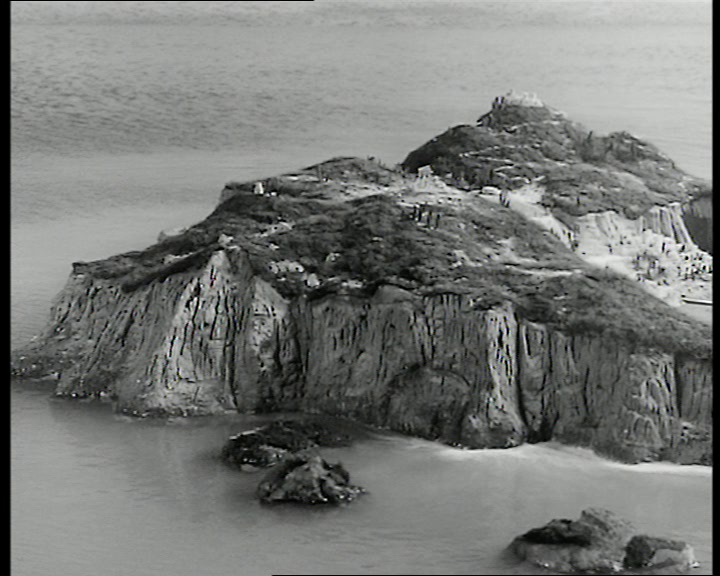 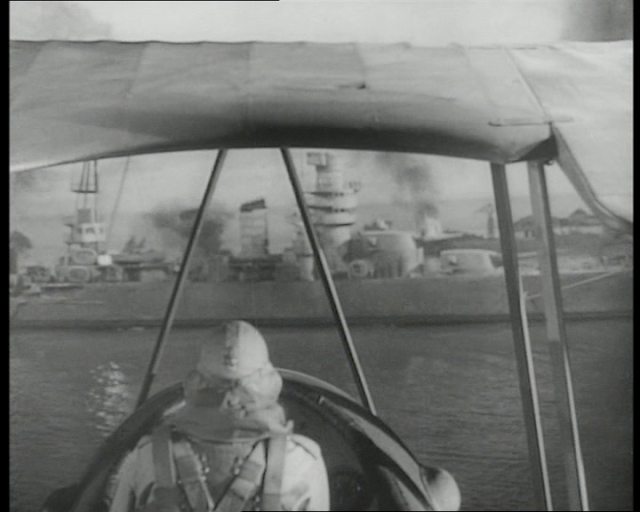 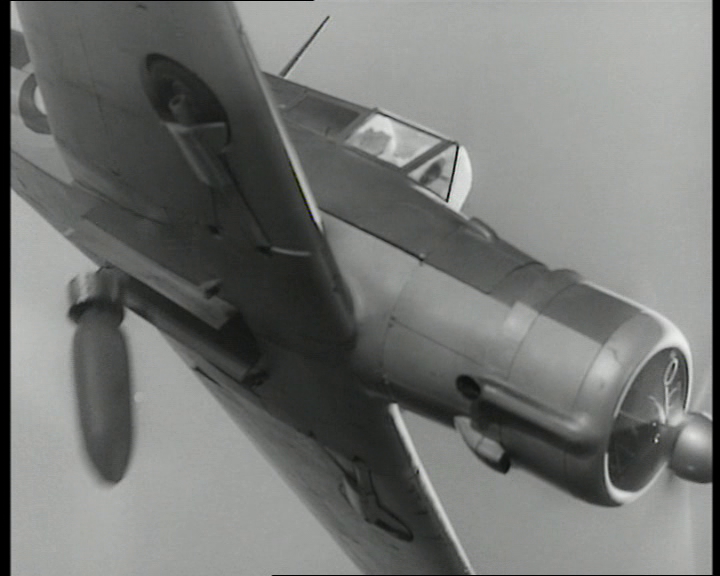 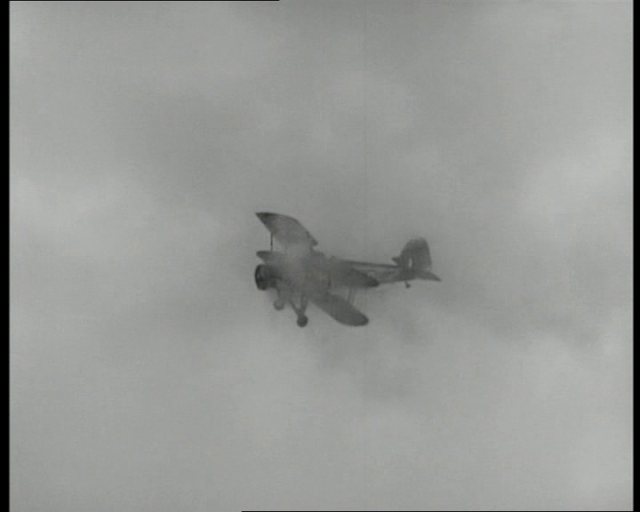 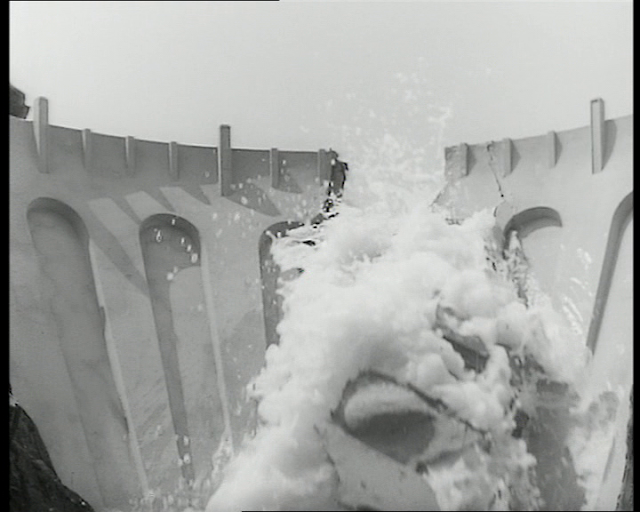 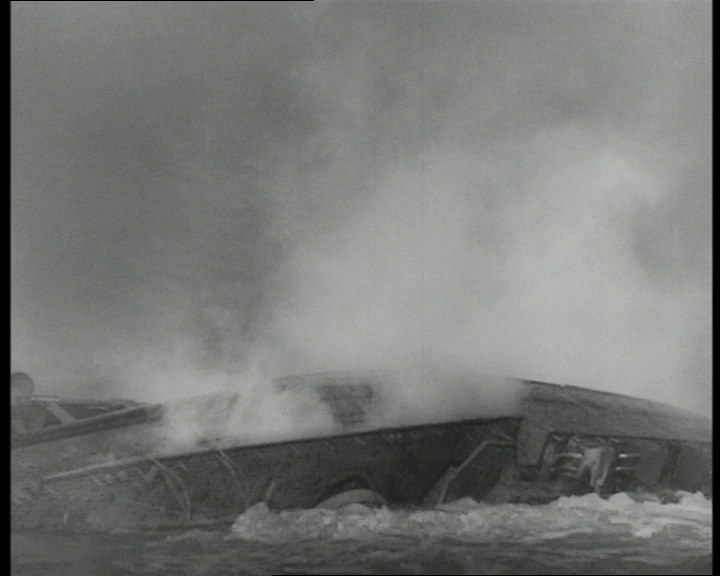 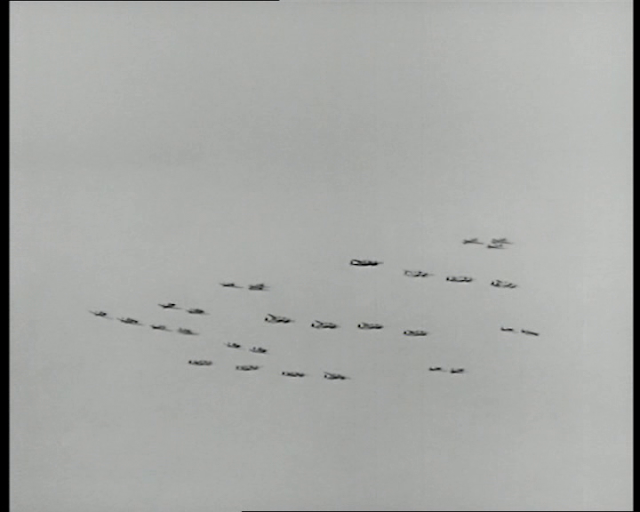 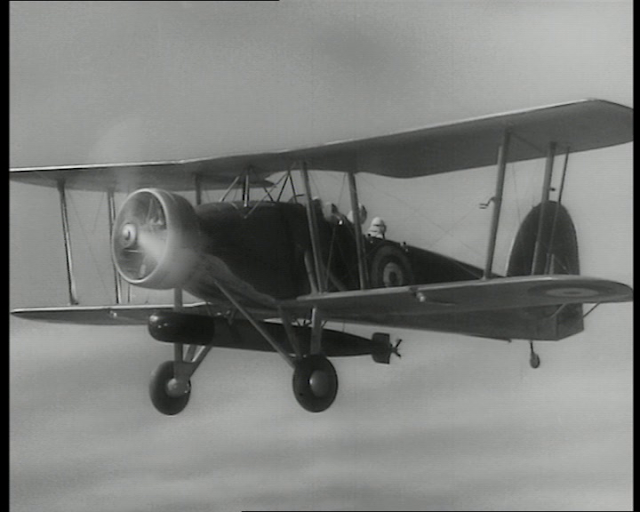 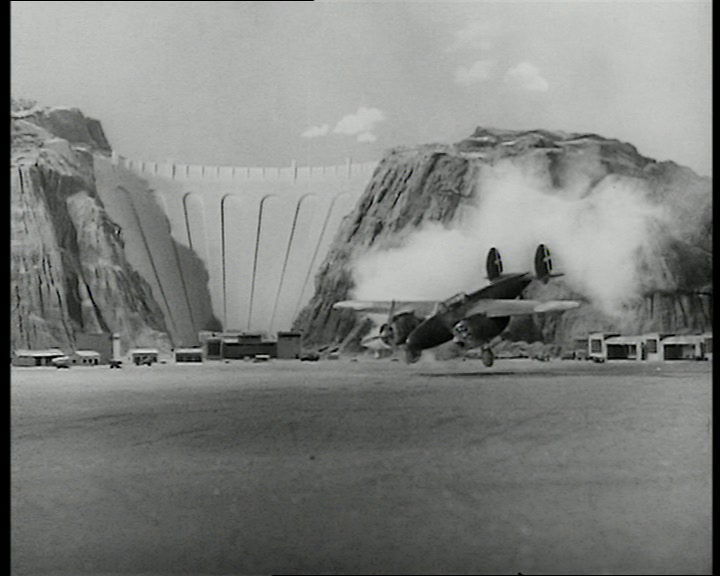 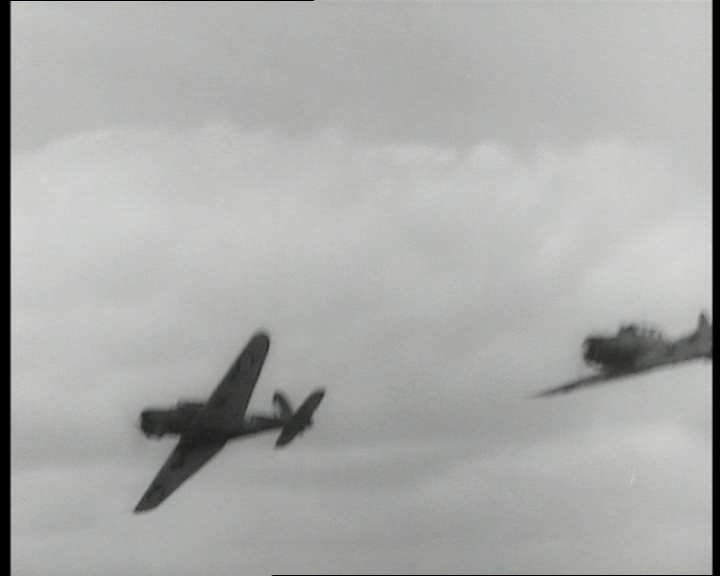 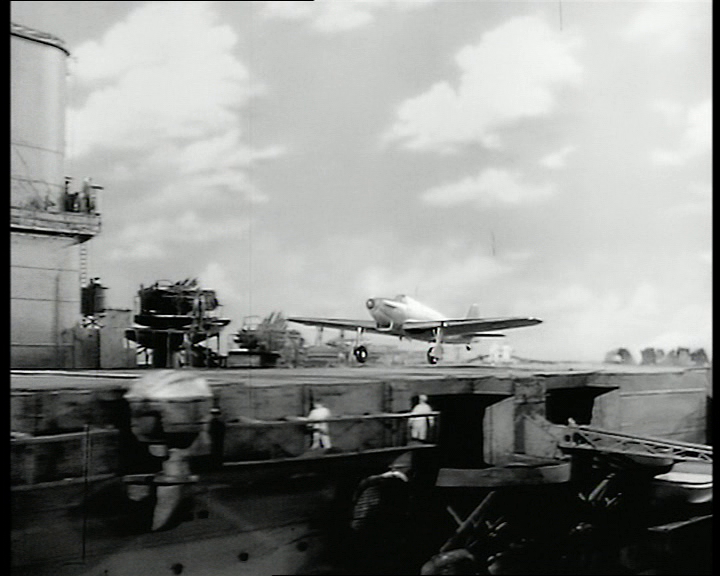 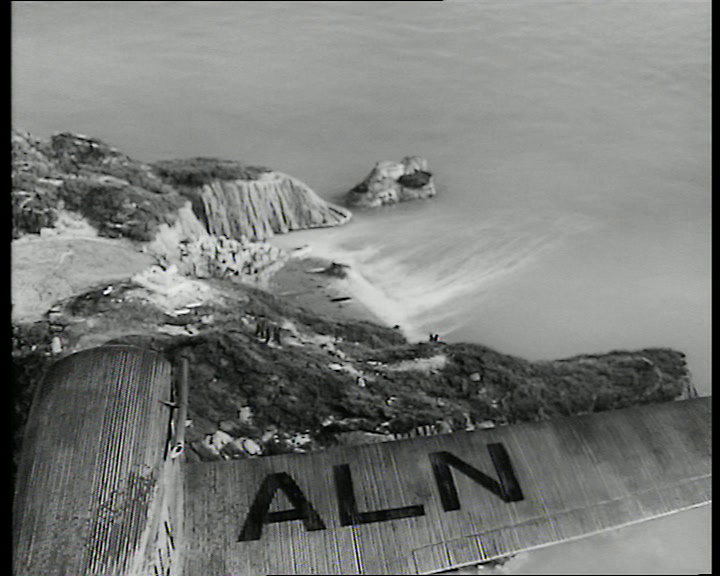 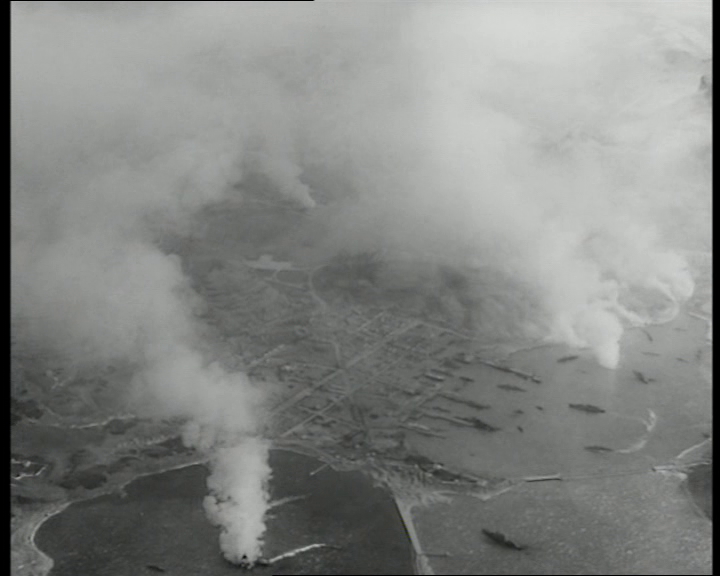 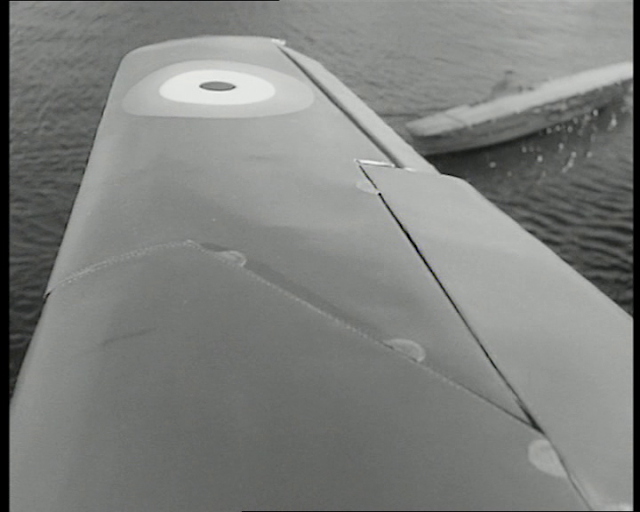 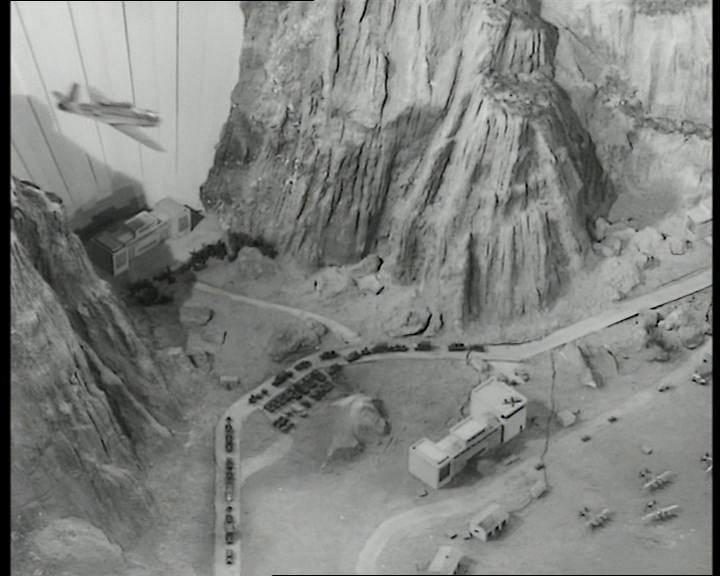 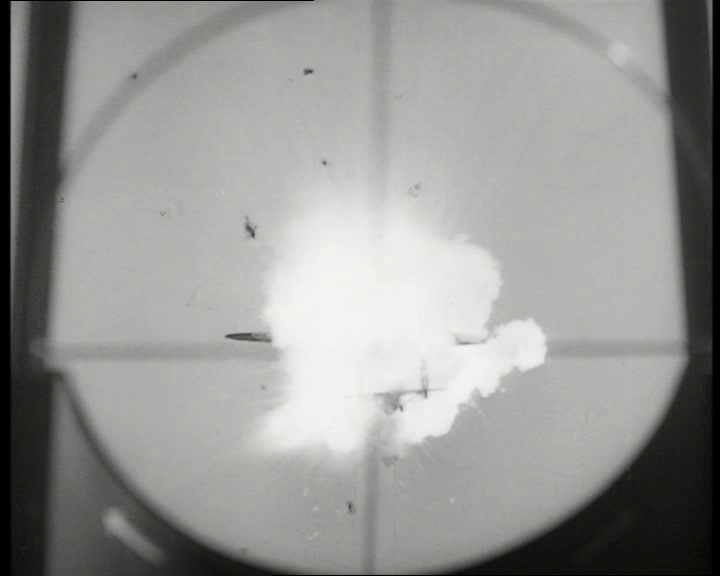 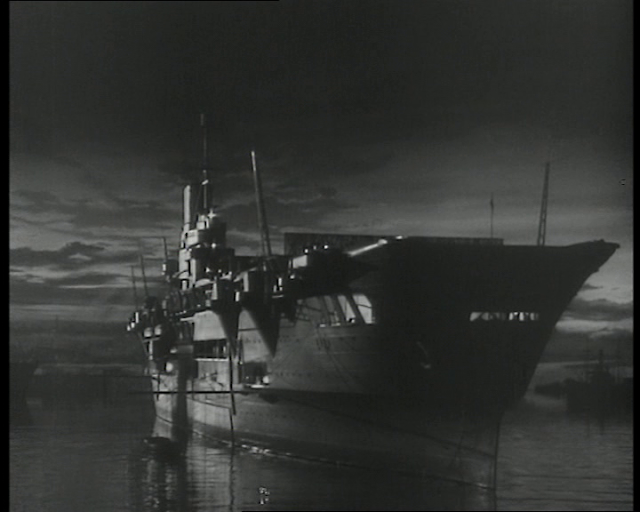 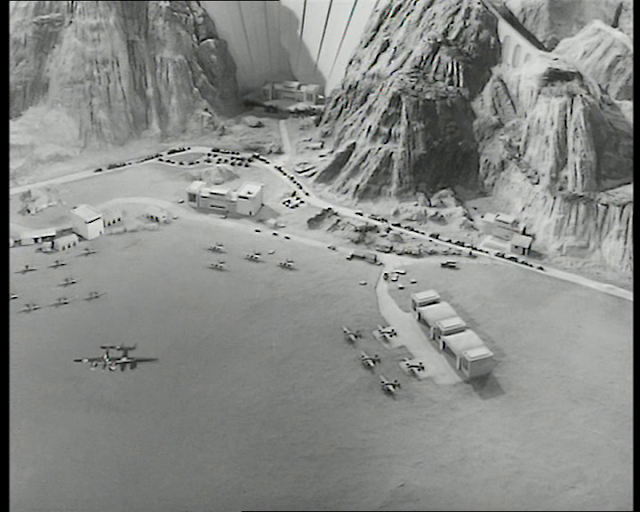 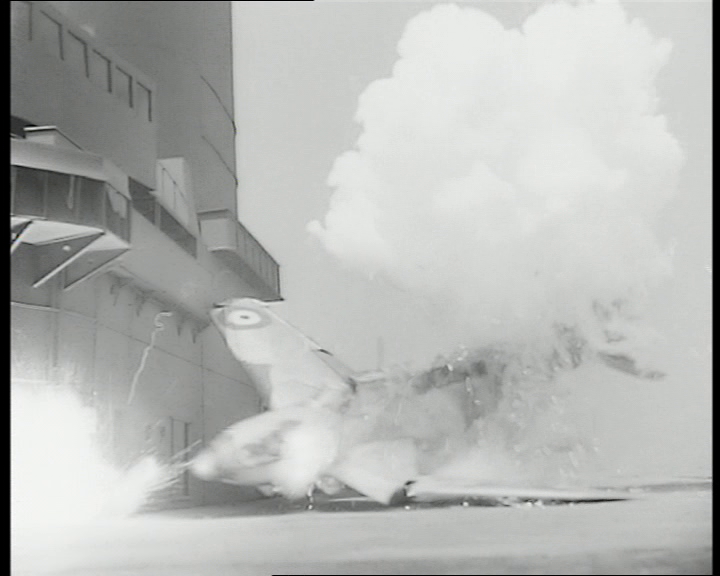 There are a couple of miniature sequences in this film, concerning the Royal Canadian Navy Corvette of the title and an aircraft attack as well as the sinking of a submarine and the subsequent surface attack of another. 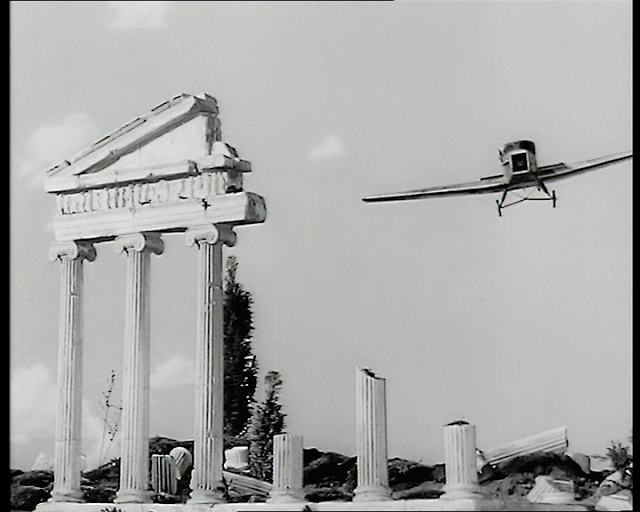 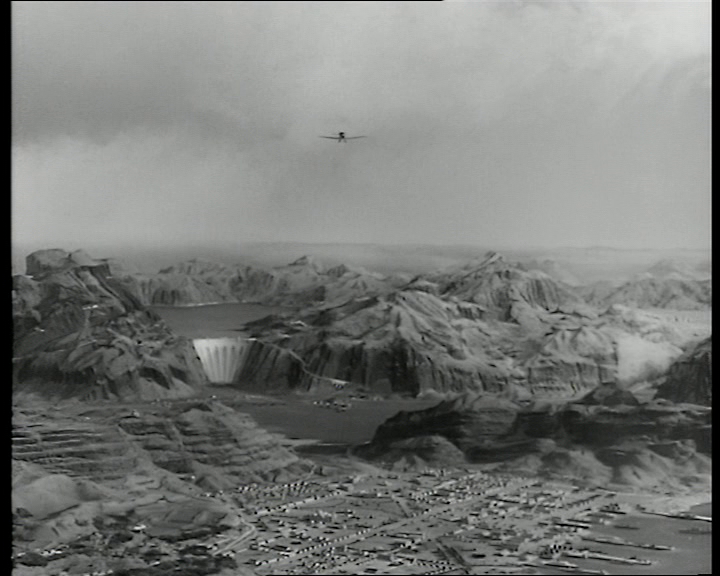 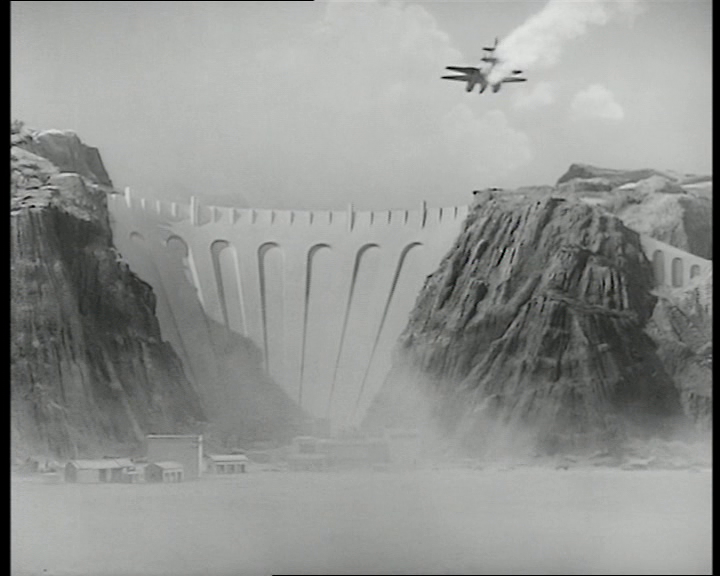 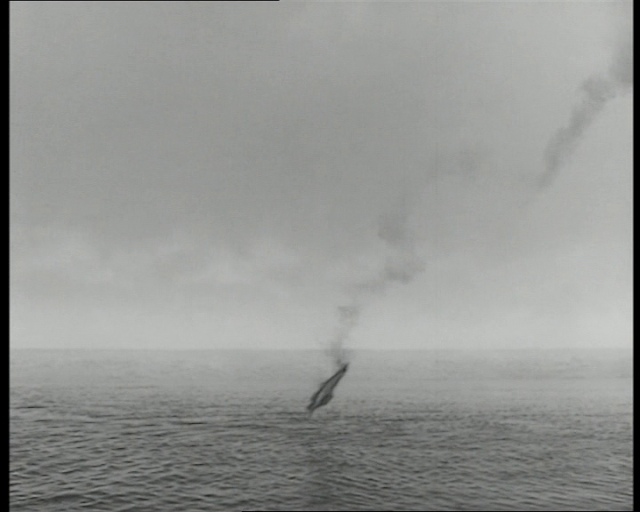 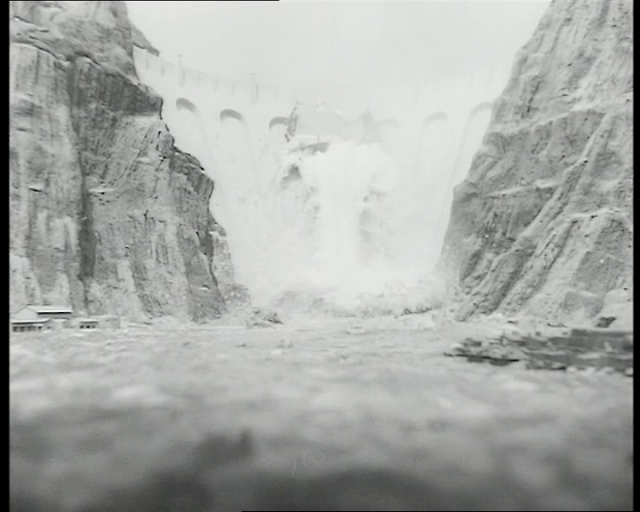 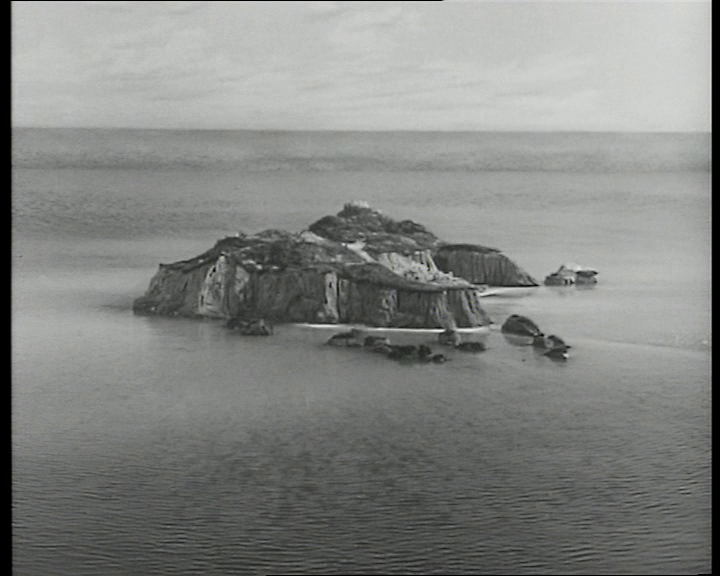 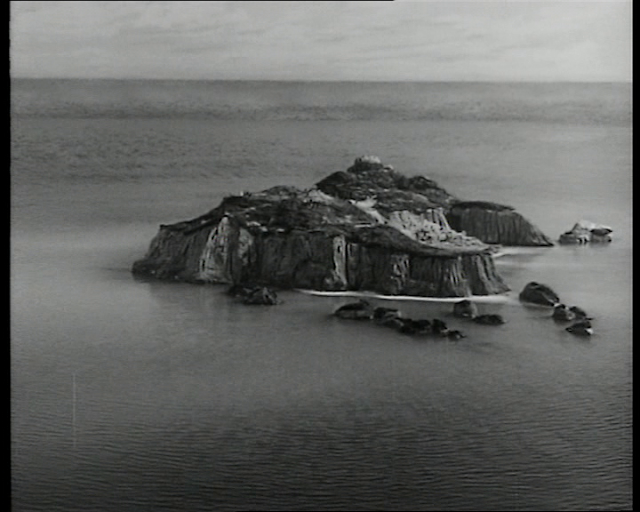 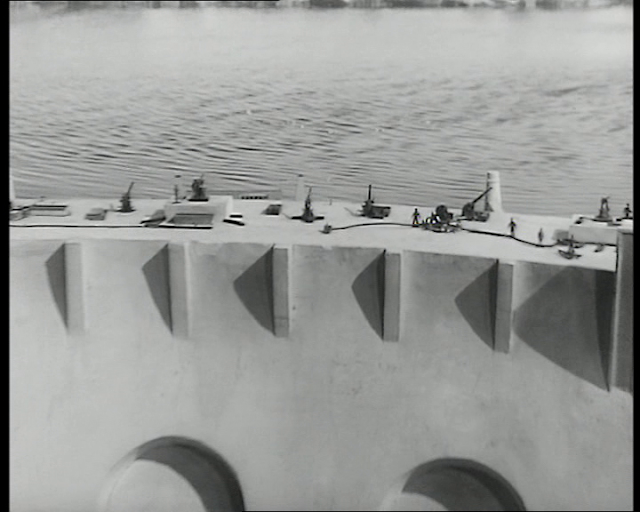 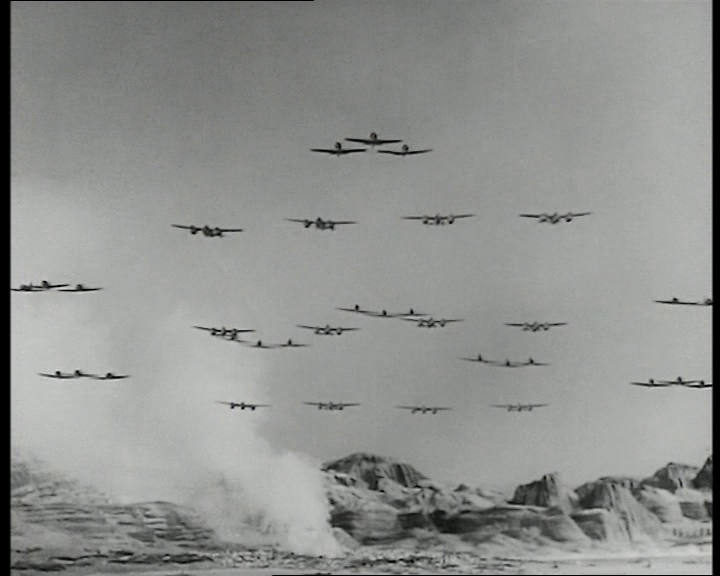 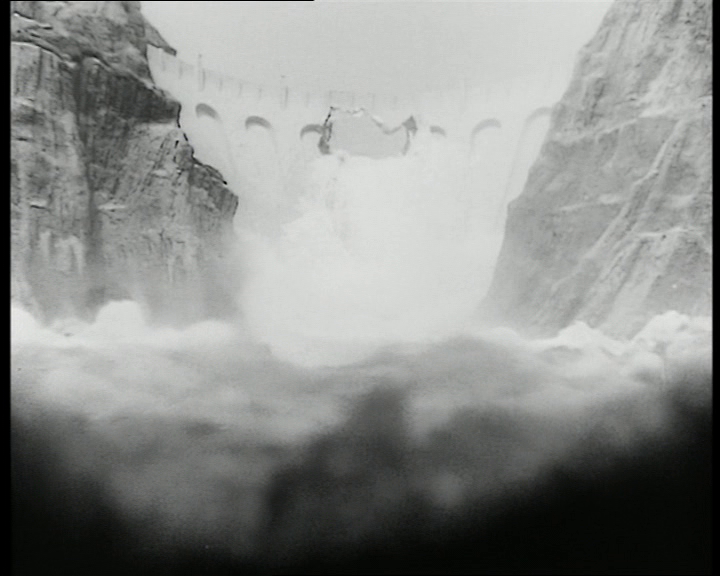 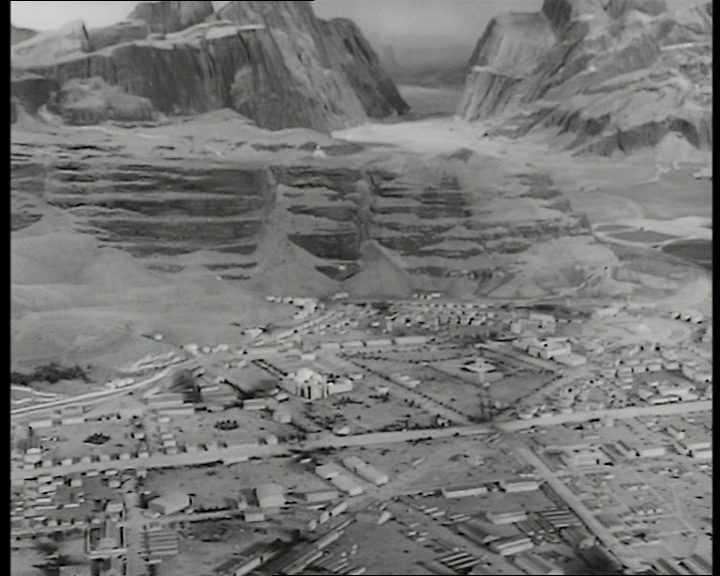 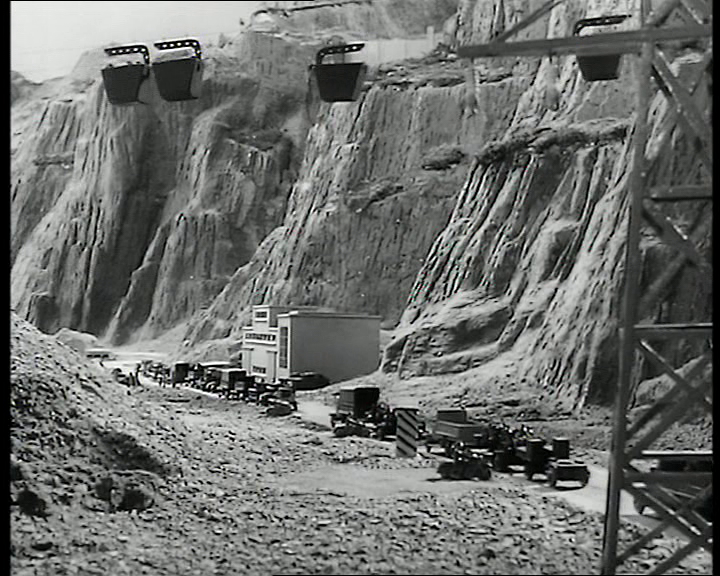 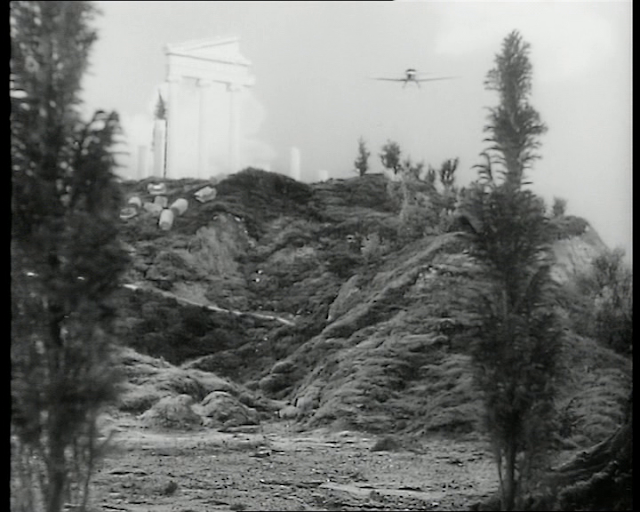 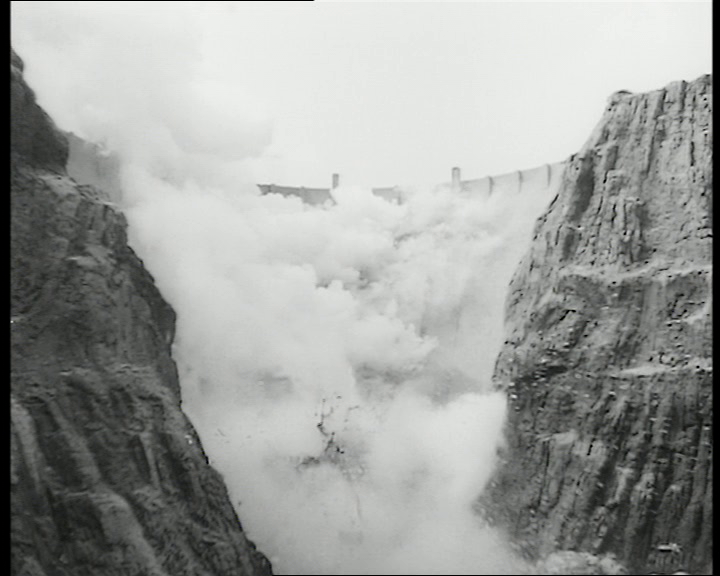 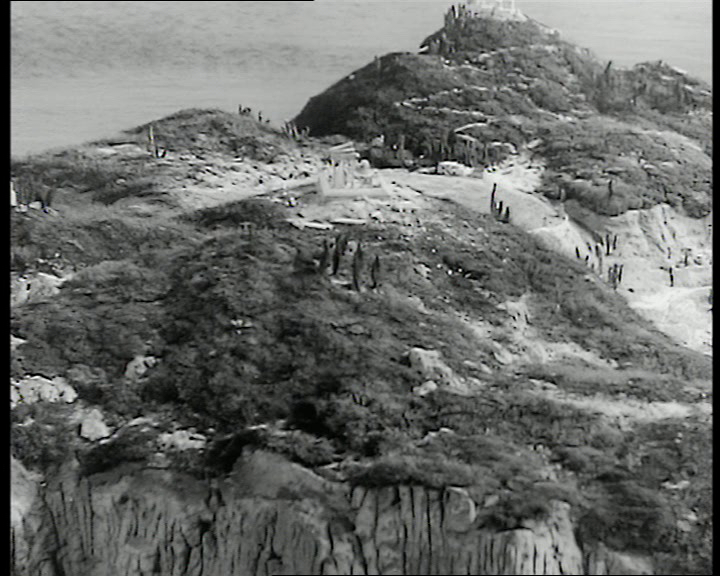 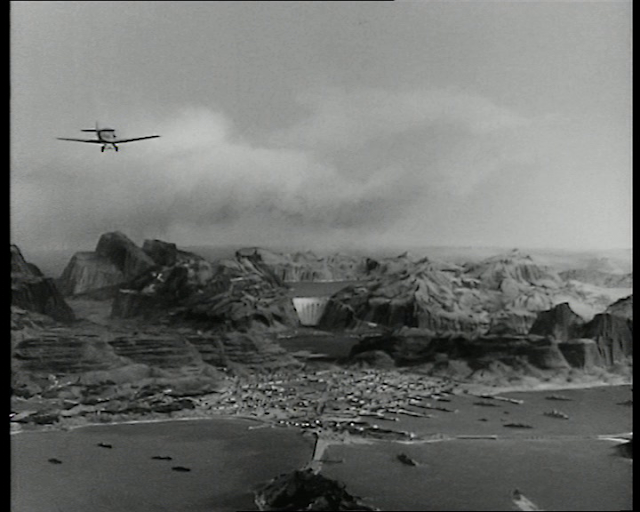 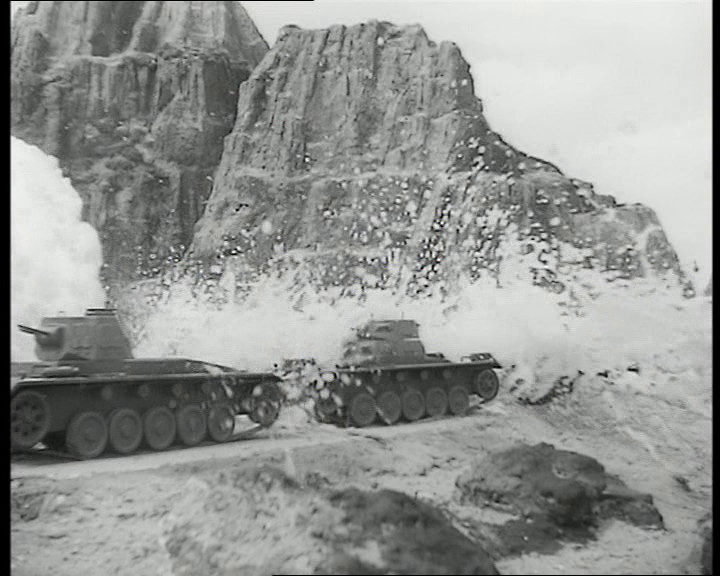 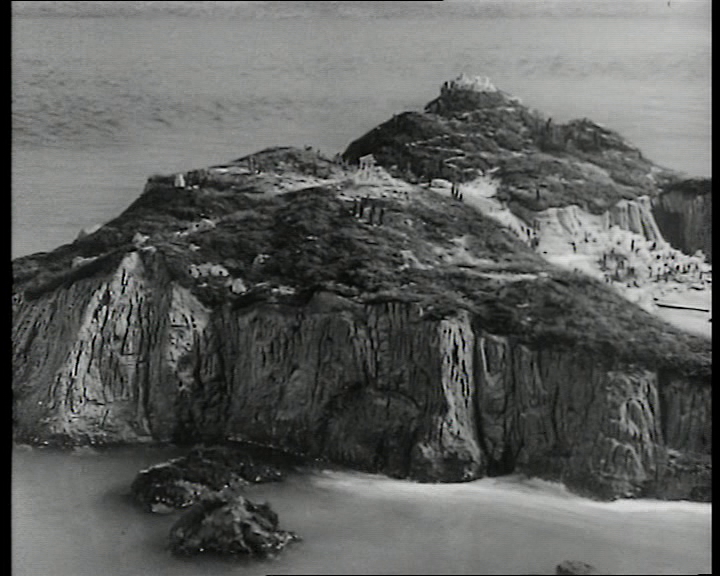 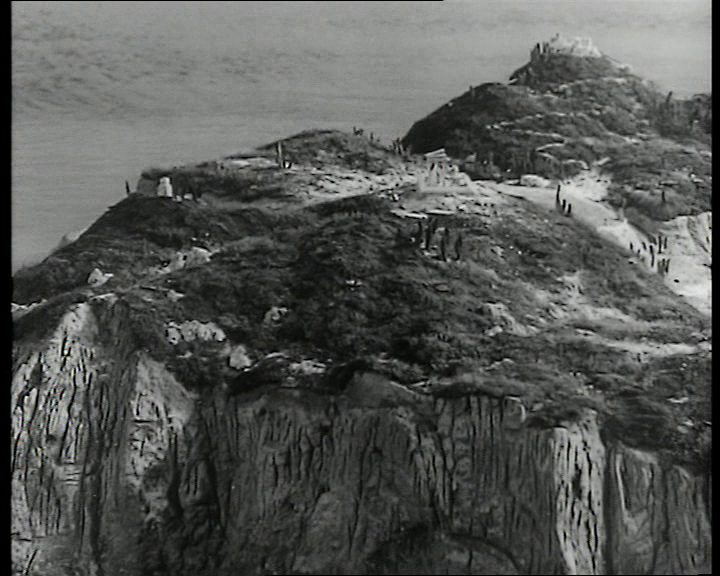 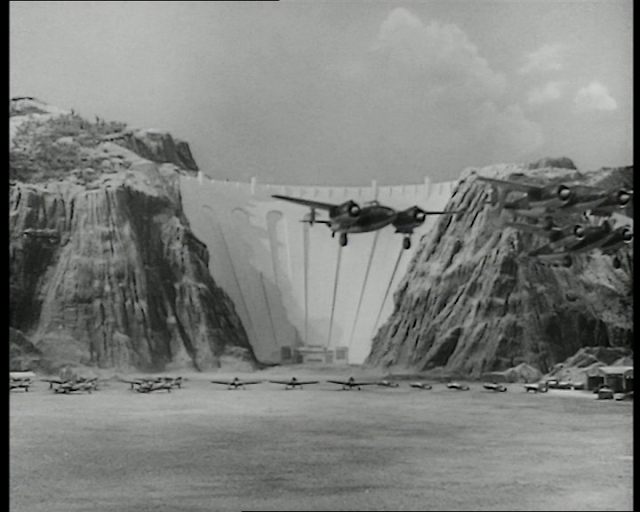 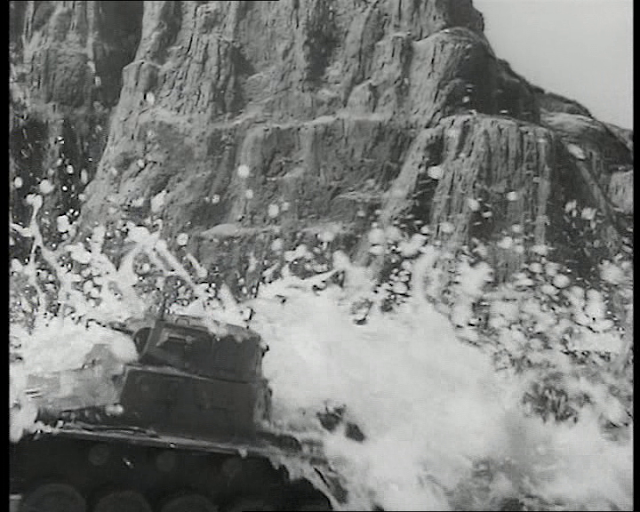 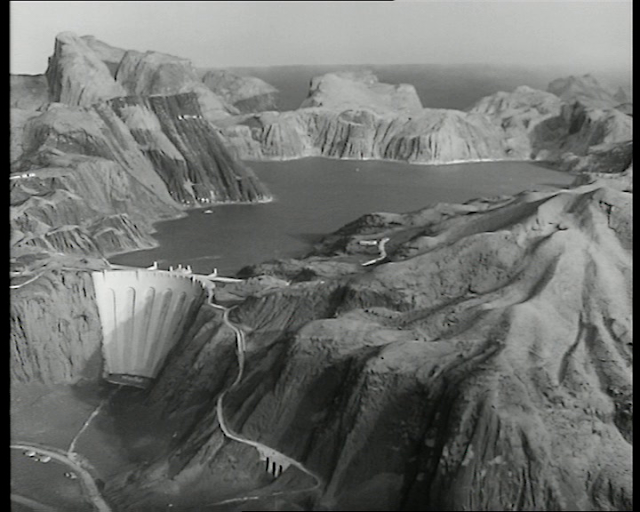 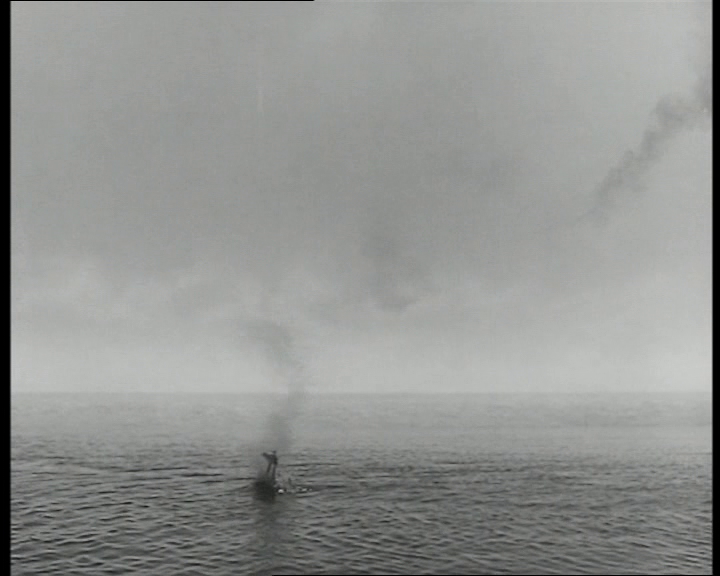 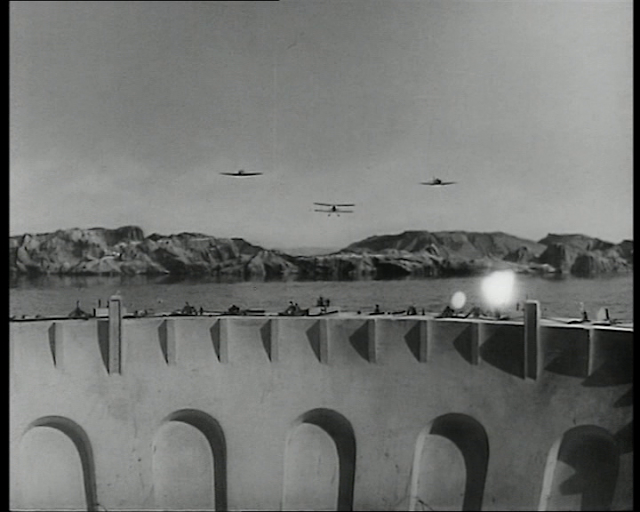 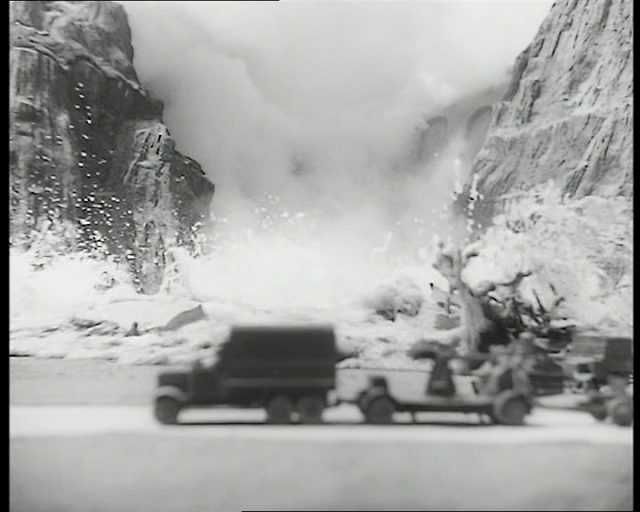 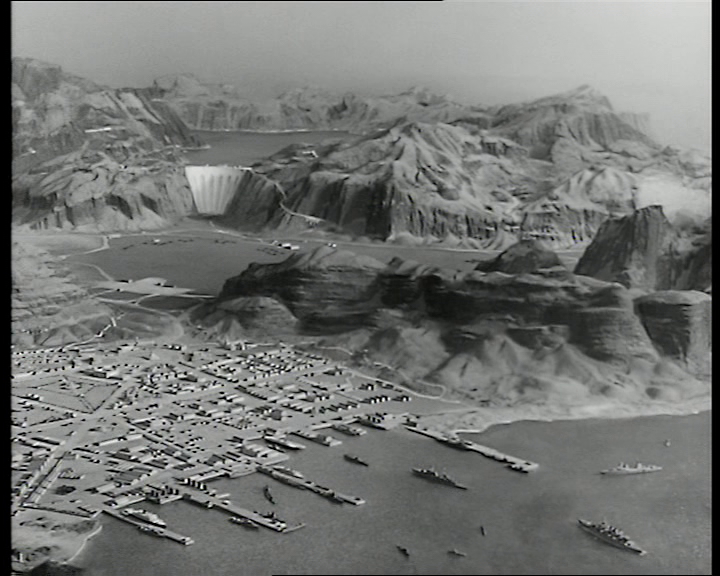 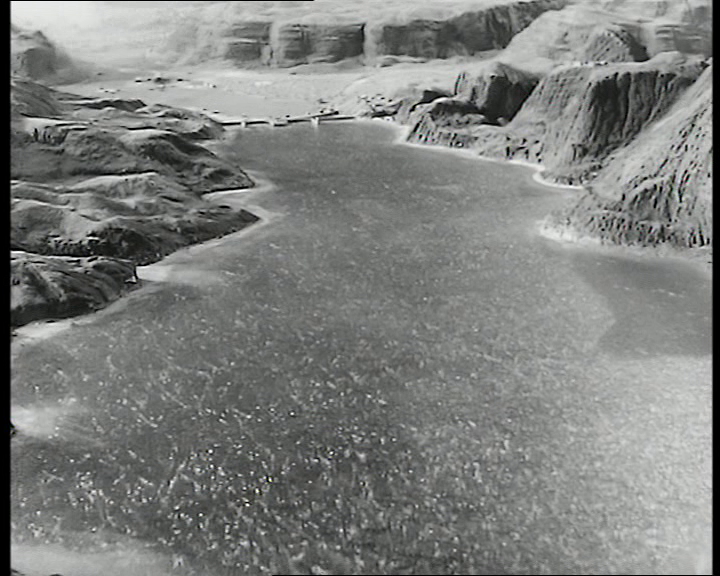 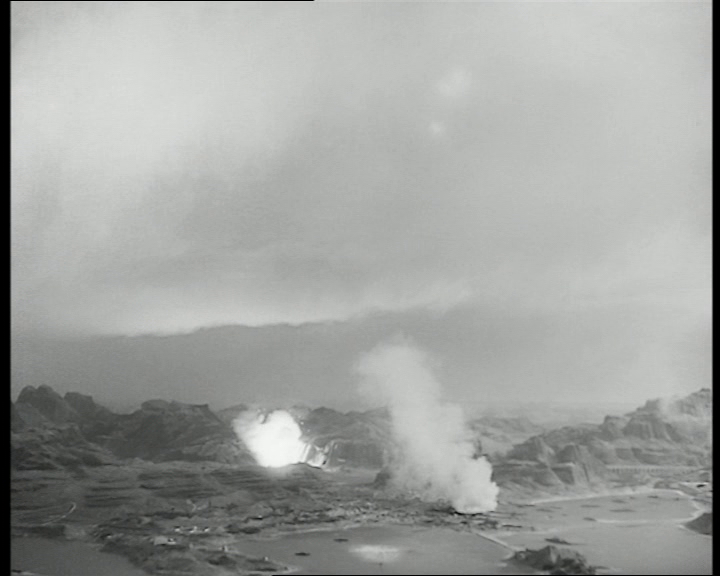 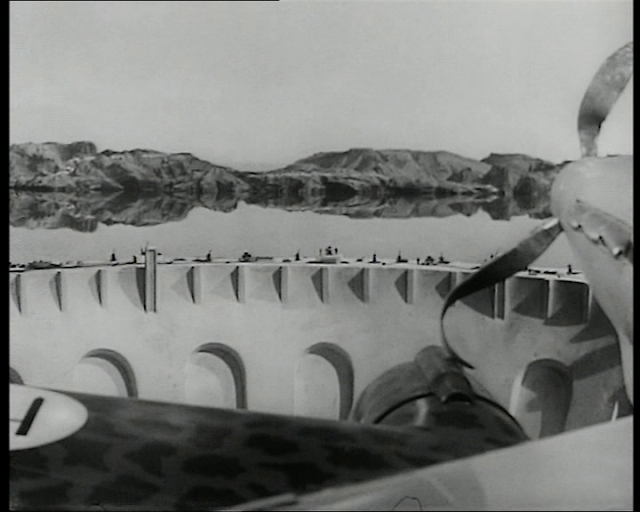 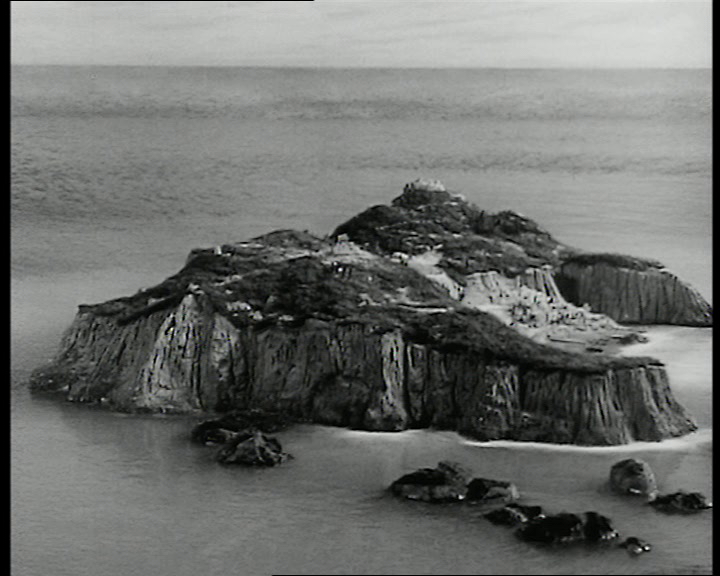 The visual effects were supervised by John P. Fulton, legendary for the depiction of the parting of the red sea for Cecil B. DeMilles's Ten Commandments. 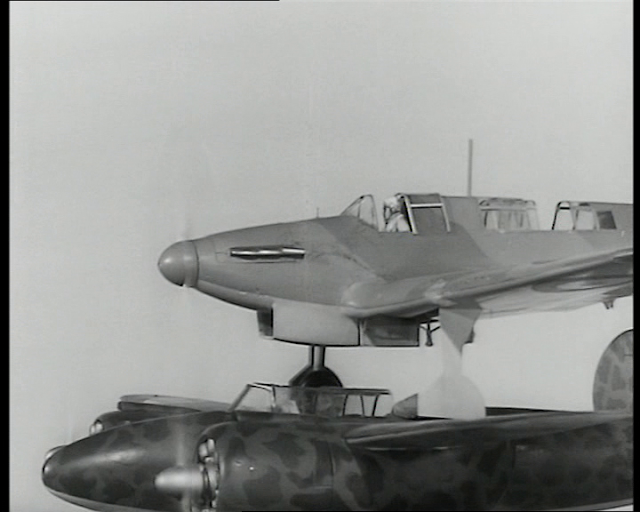 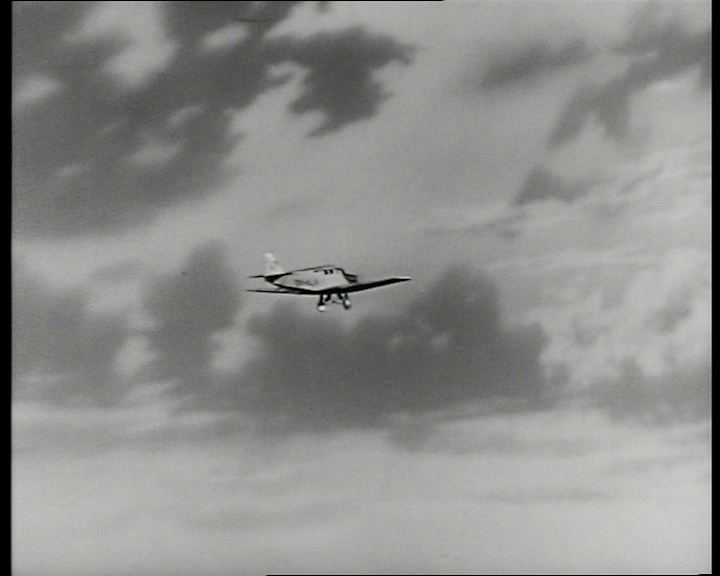 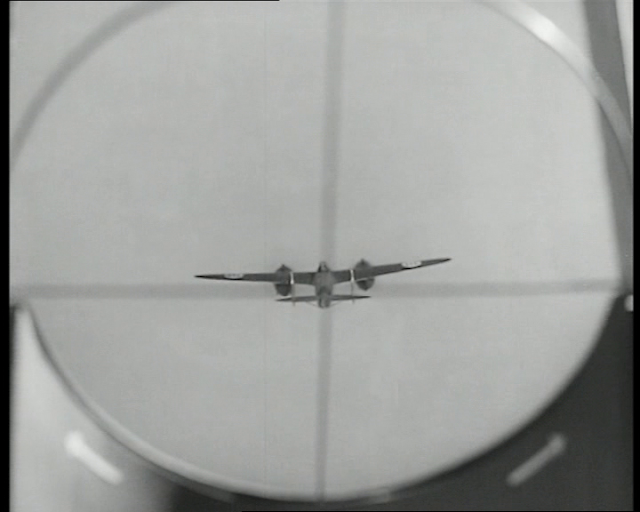 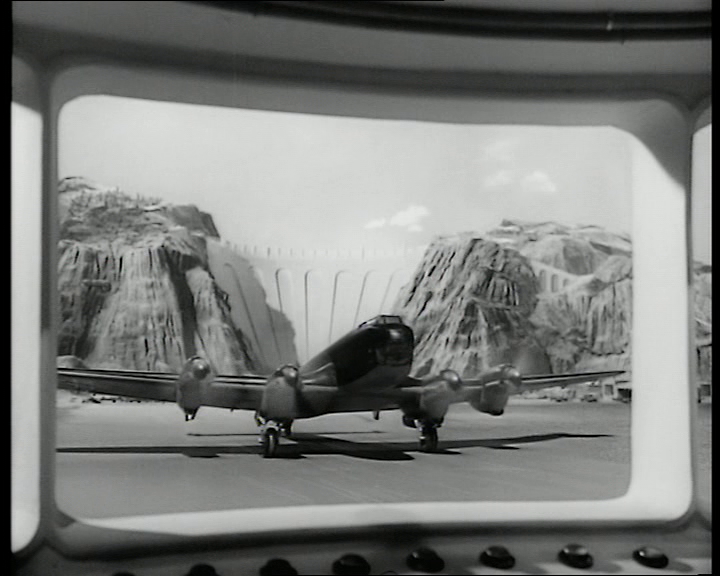 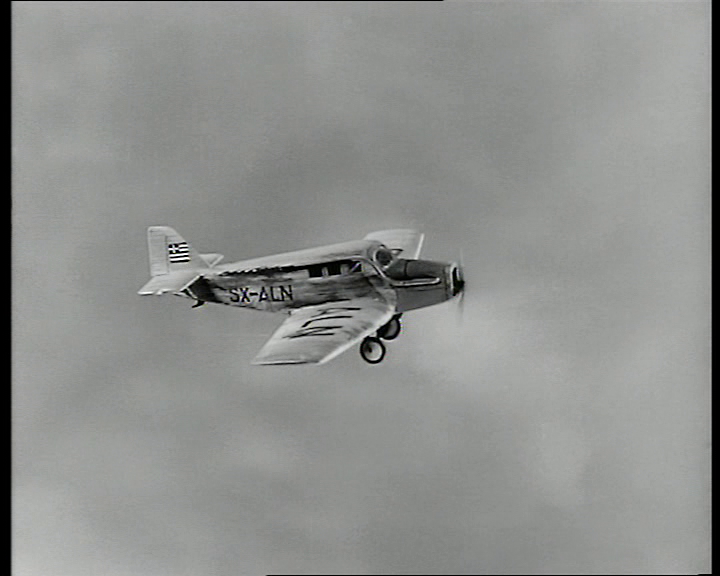 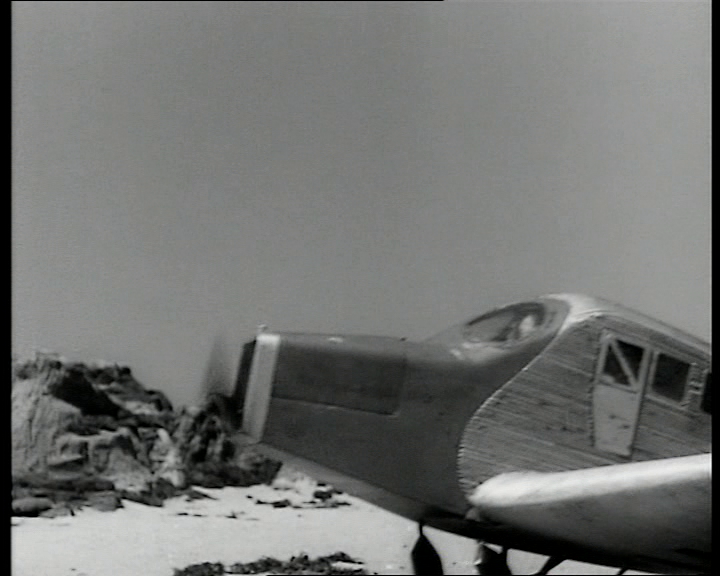 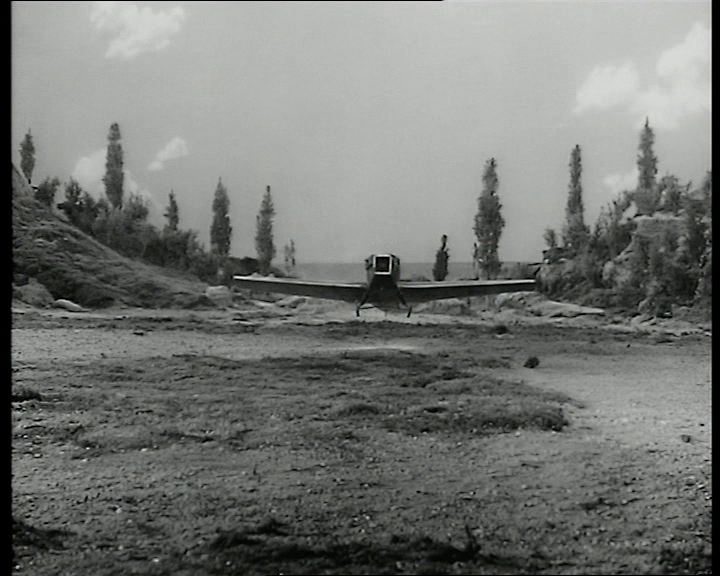 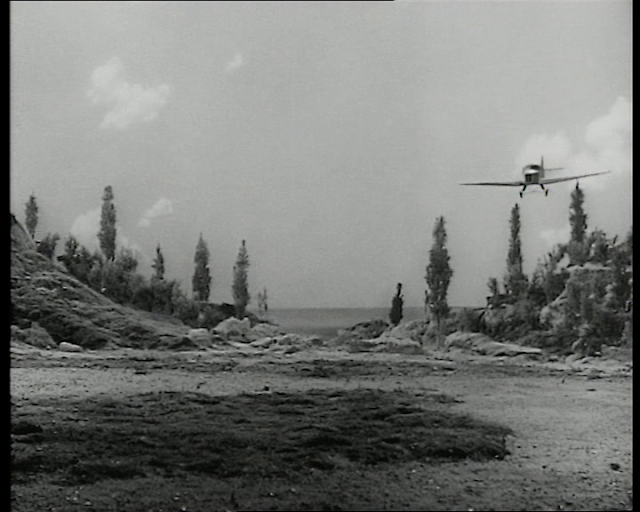 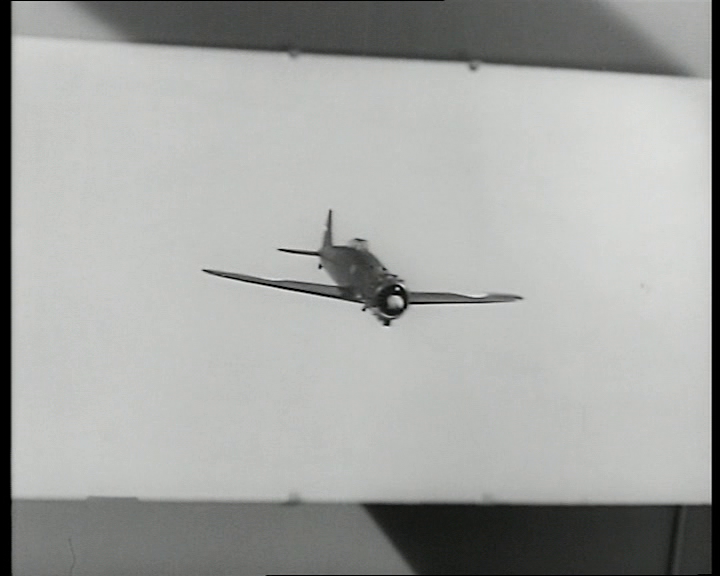 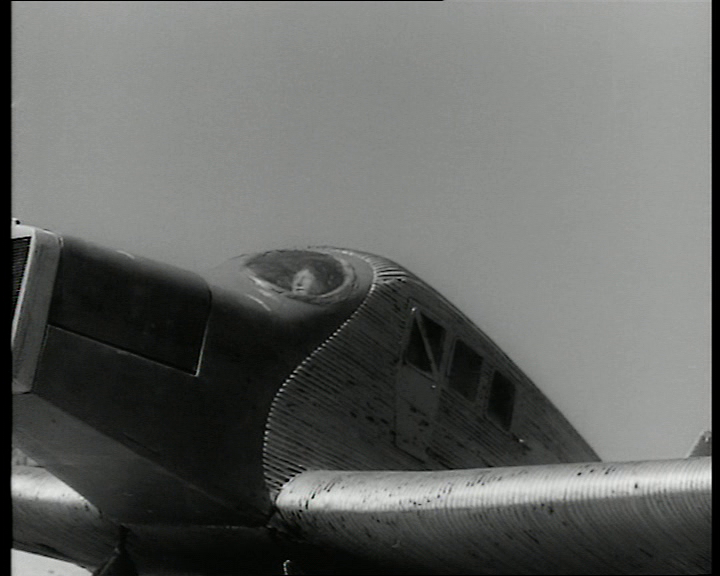 The model aircraft are shot against rear projected sky plates, which to my mind is never particularly successful. I much prefer the results the Lydecker brothers achieved shooting their models outdoors in sunlight against a real sky. 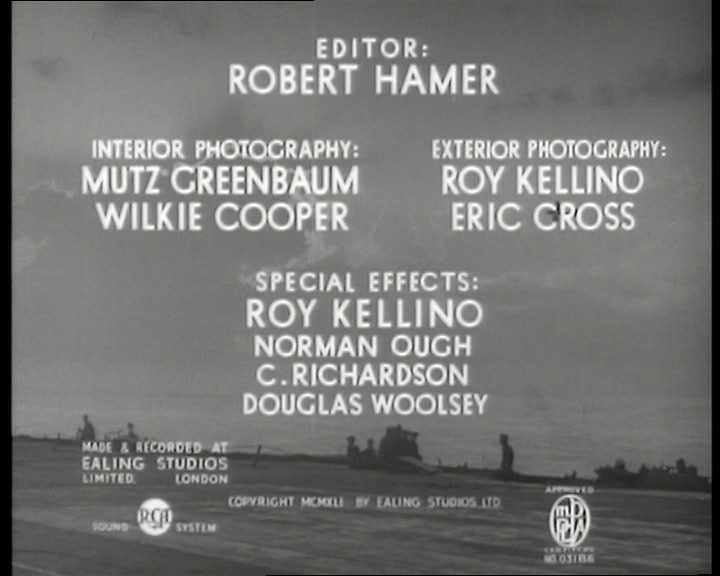 This was a difficult film to track down and unfortunately the copy I have is pretty poor (found in a dvd market stall) and you can barely see anything ( the night shots don't help) let alone the quality of the miniature effects, however there is a marginally better, less murky version viewable online at the link below and from which I have taken the screen grabs.